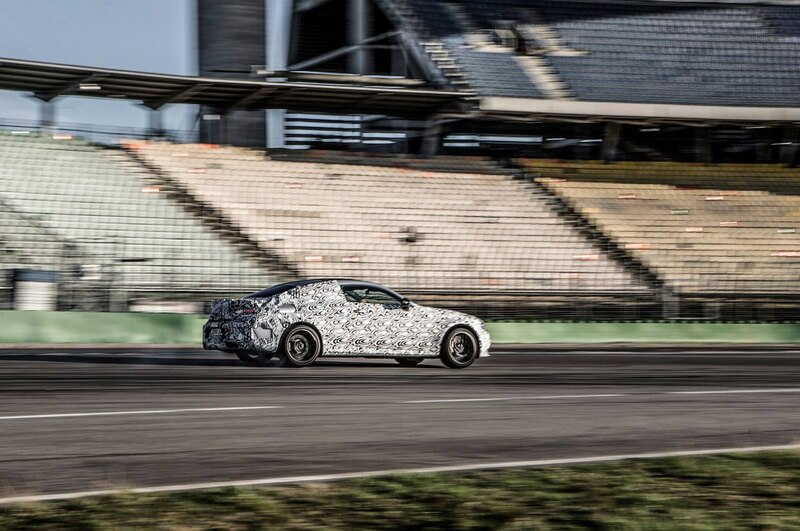 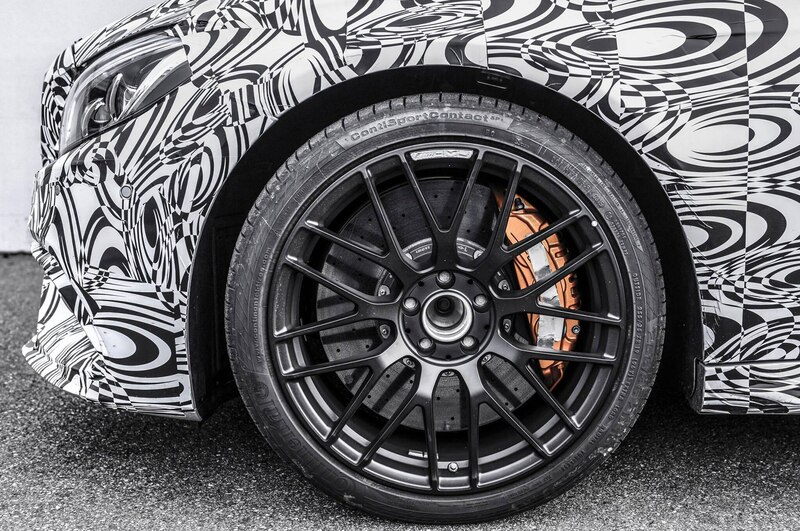 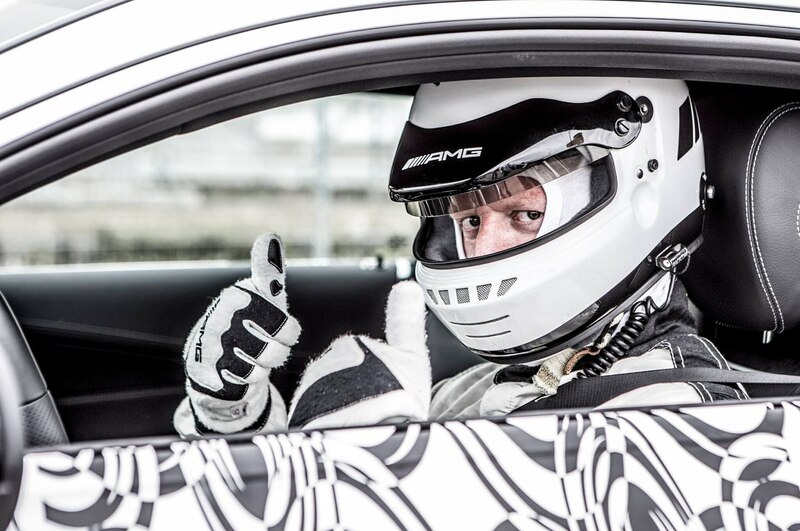 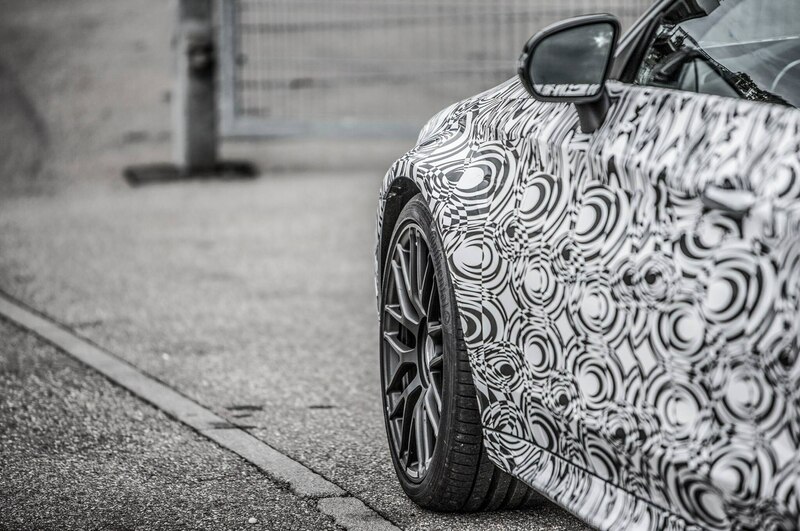 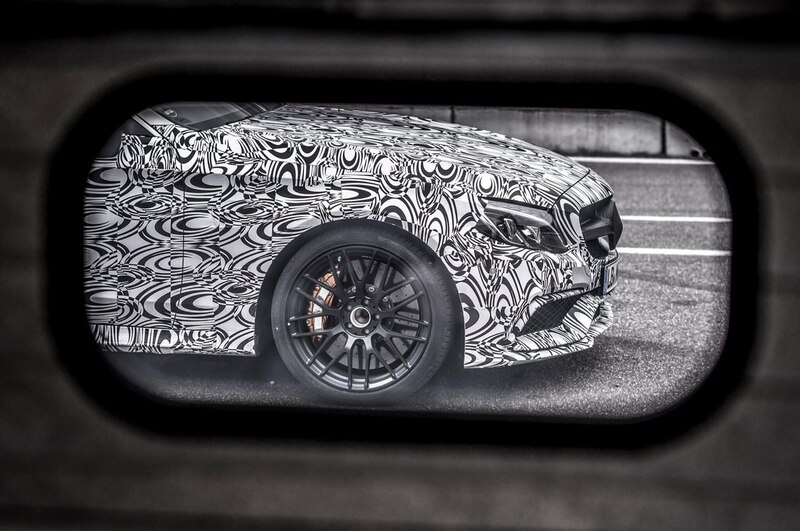 After a series of teaser photos and videos, Mercedes-AMG released images of the C63 coupe wearing camouflage. 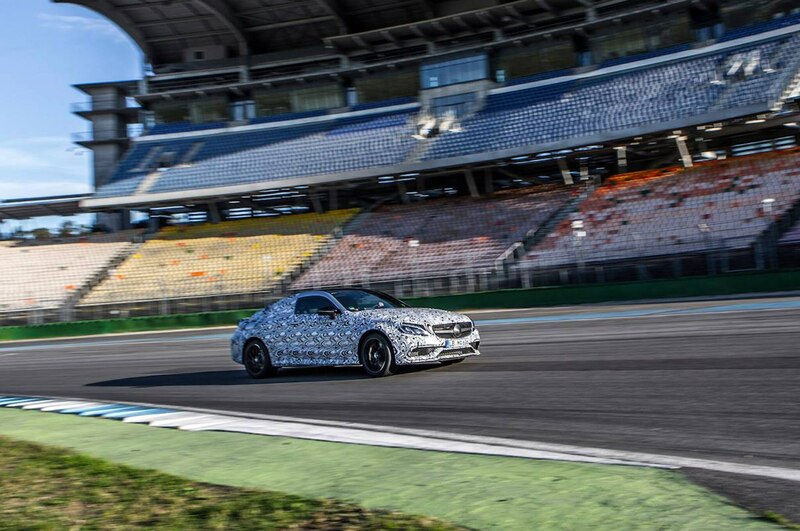 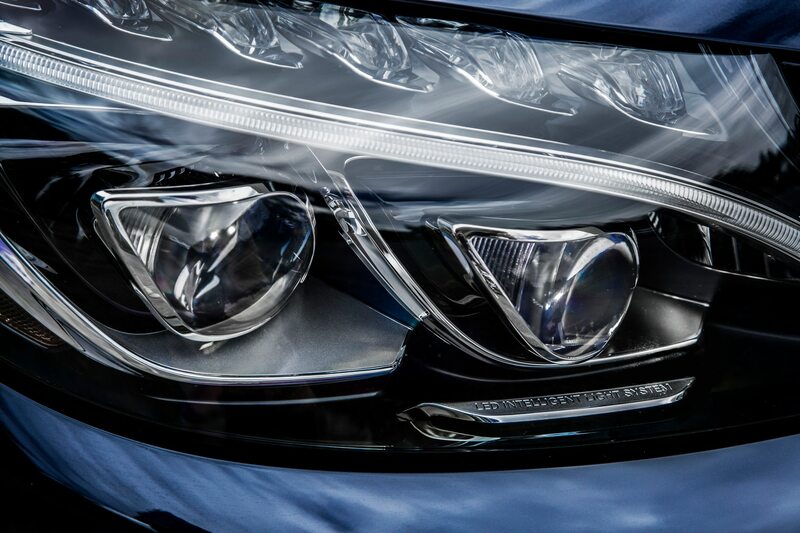 While we won’t see the car in the metal until the Frankfurt auto show in September, these images provide our best look yet at the new C63 coupe. 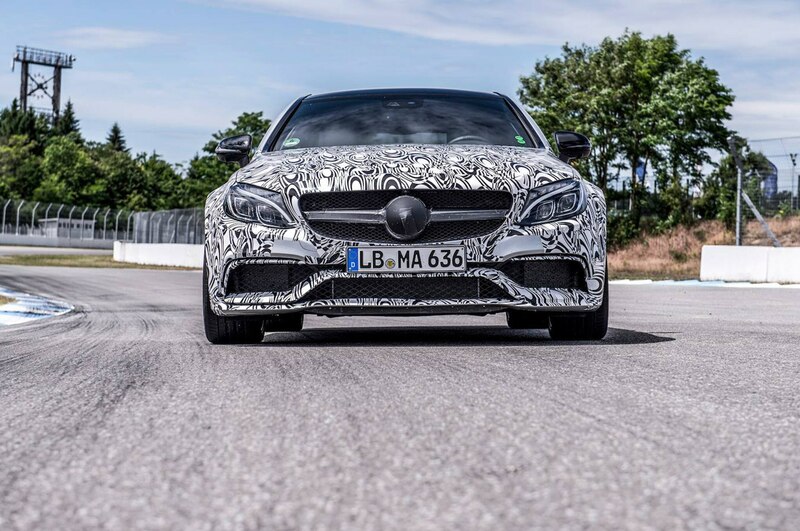 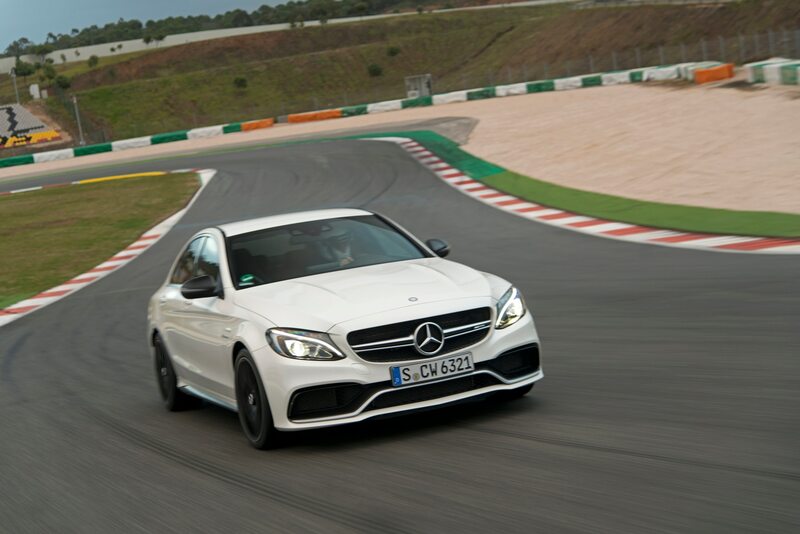 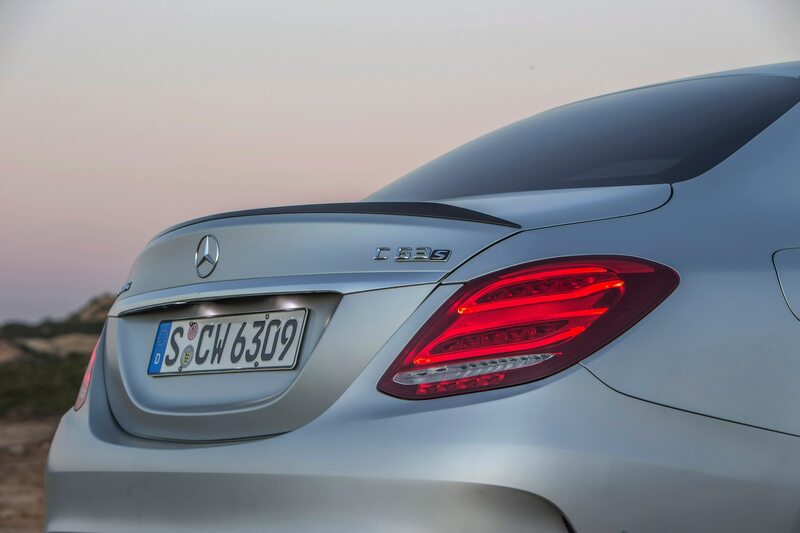 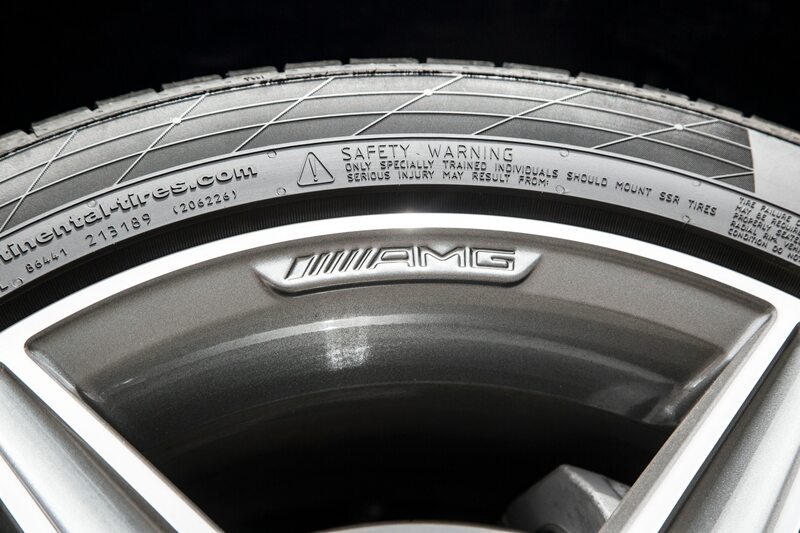 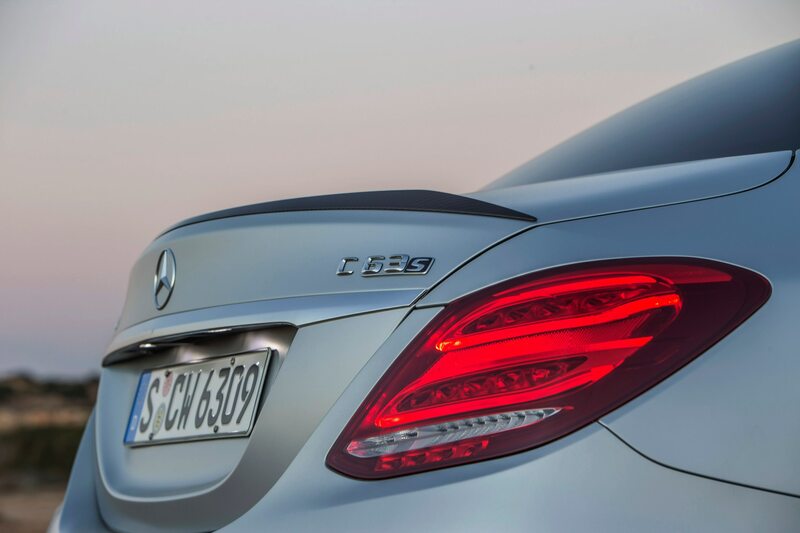 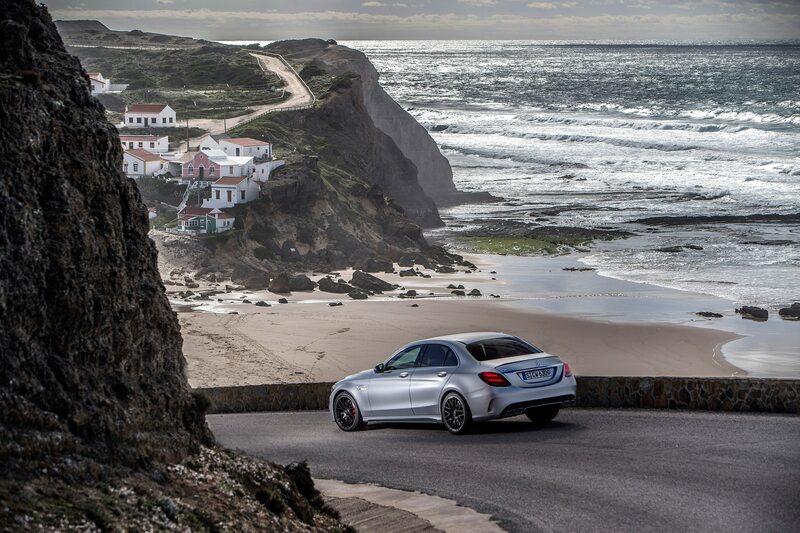 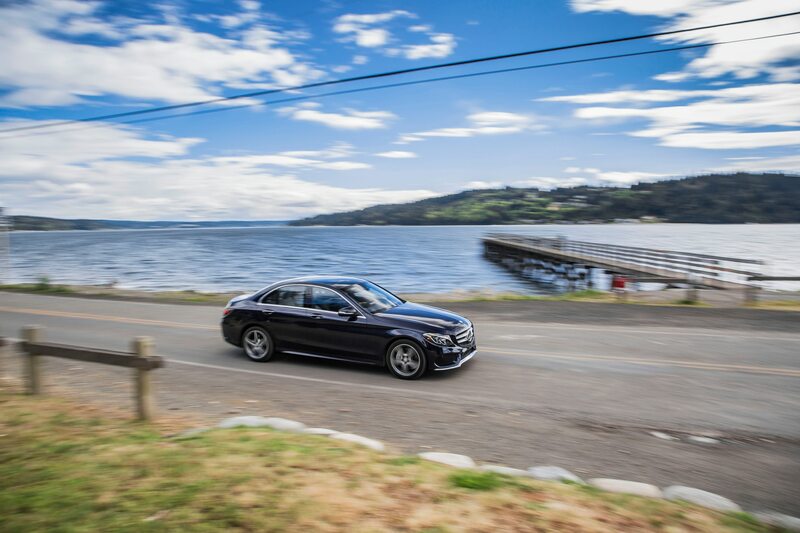 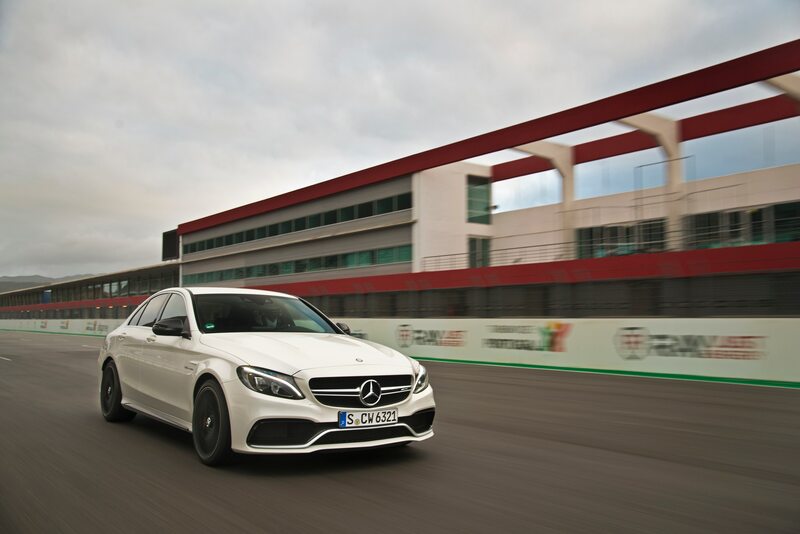 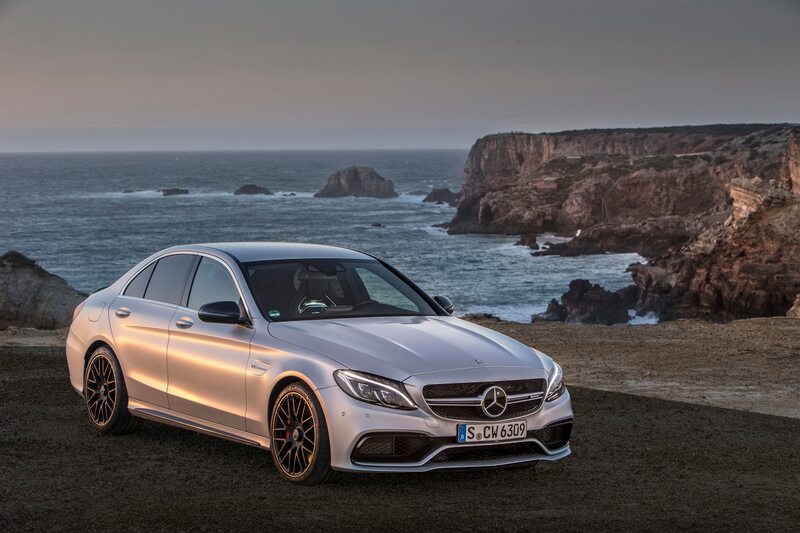 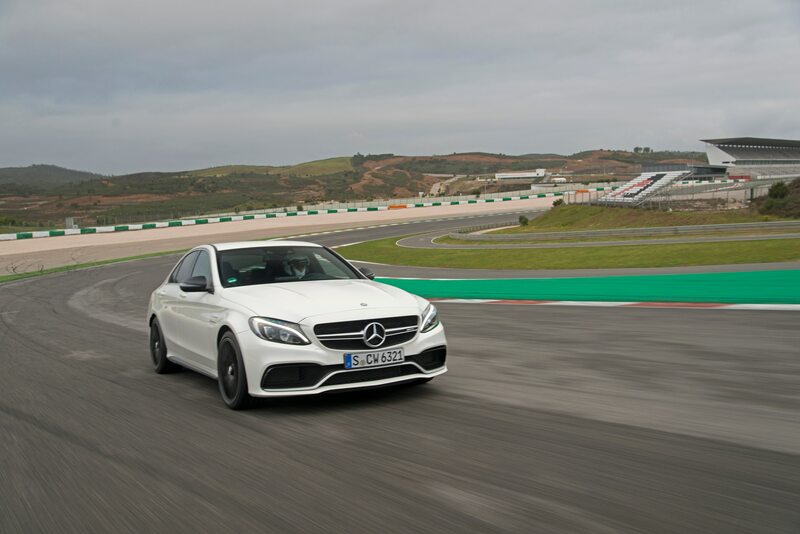 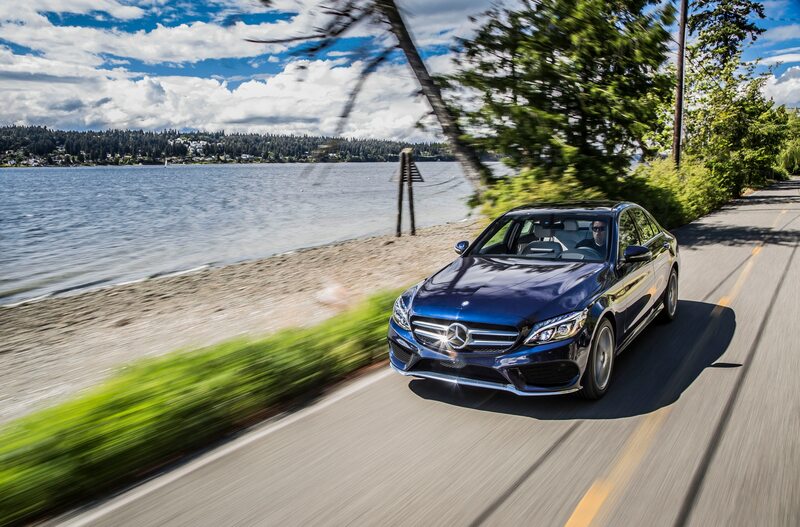 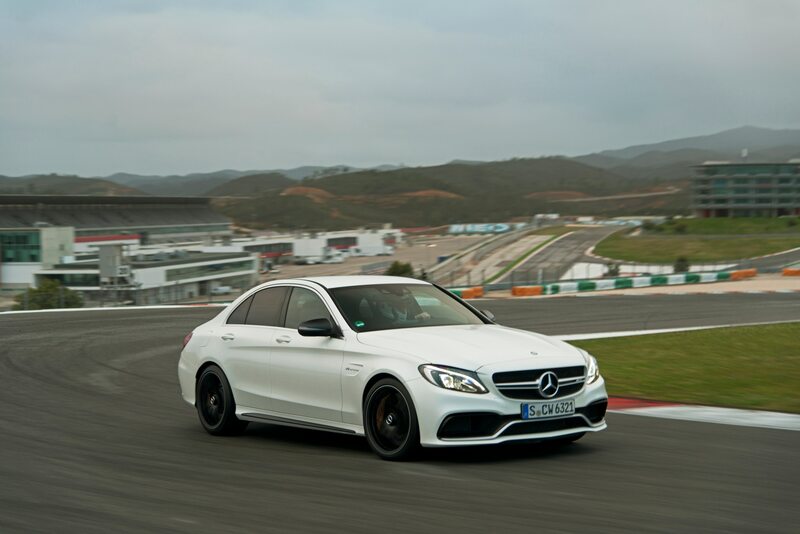 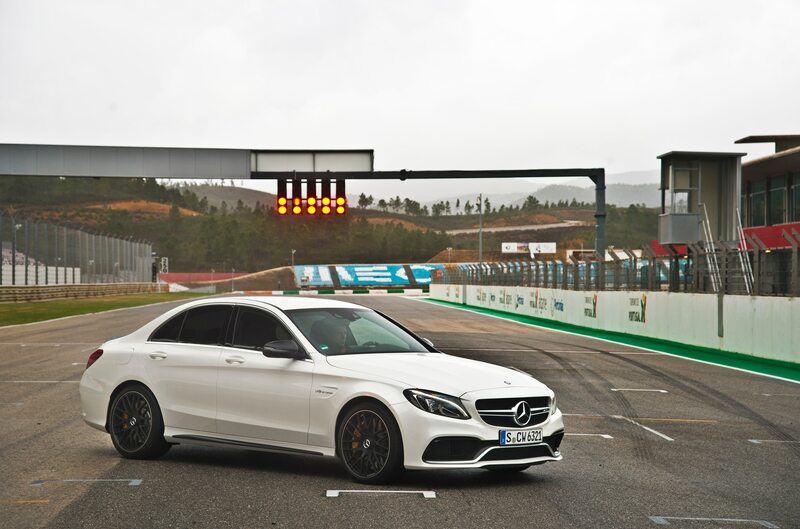 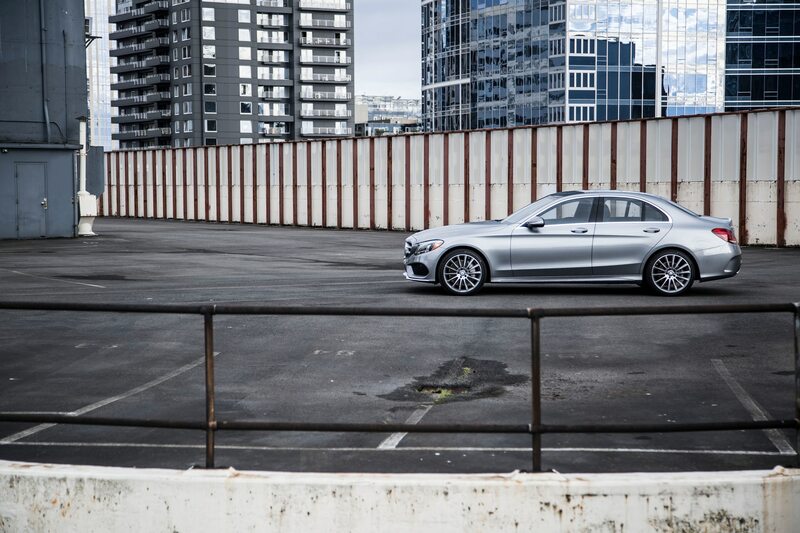 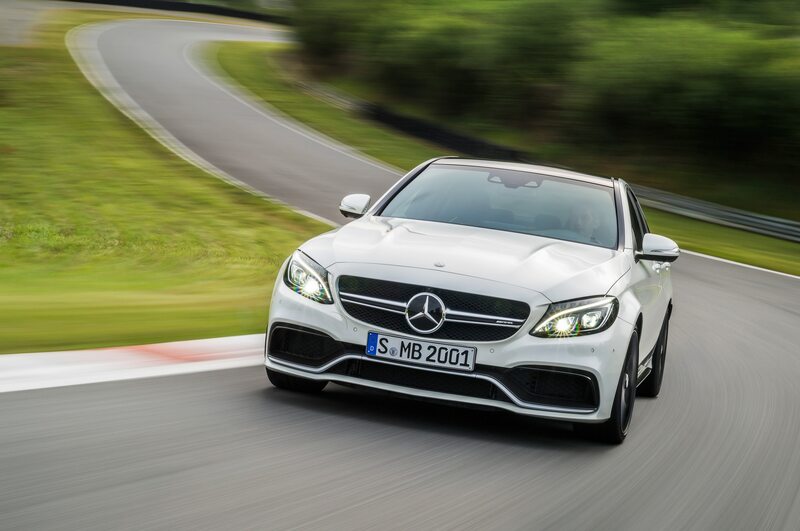 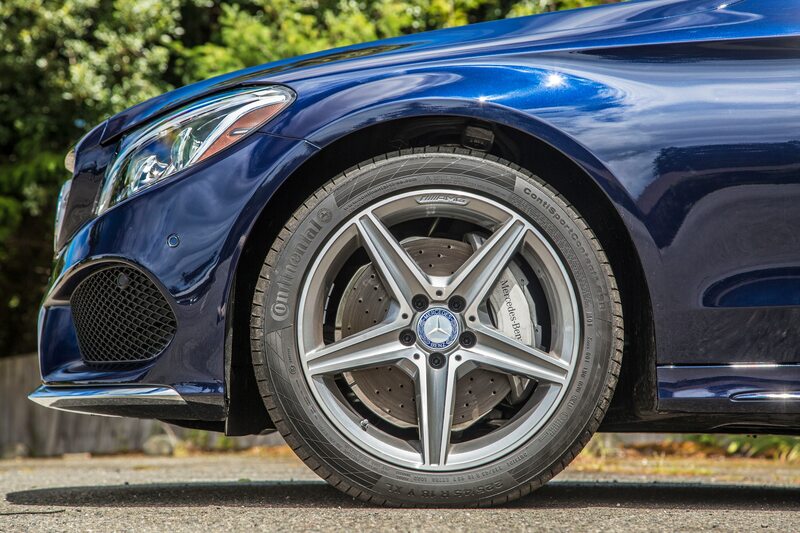 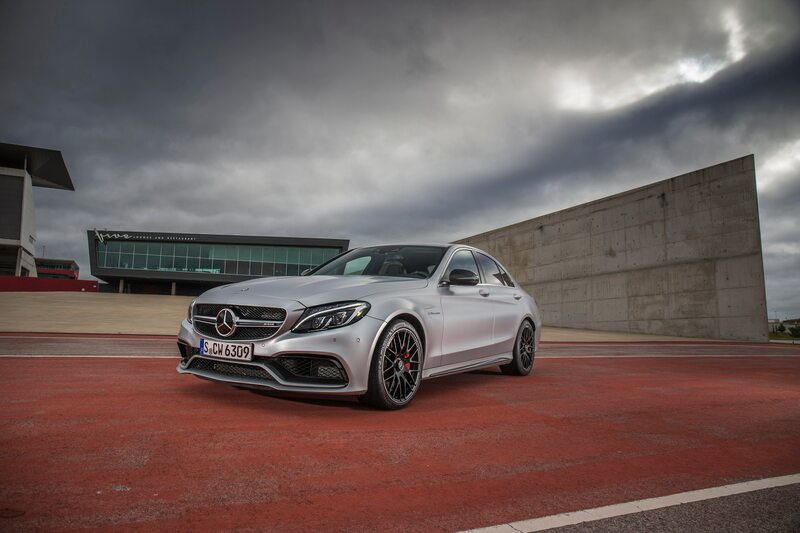 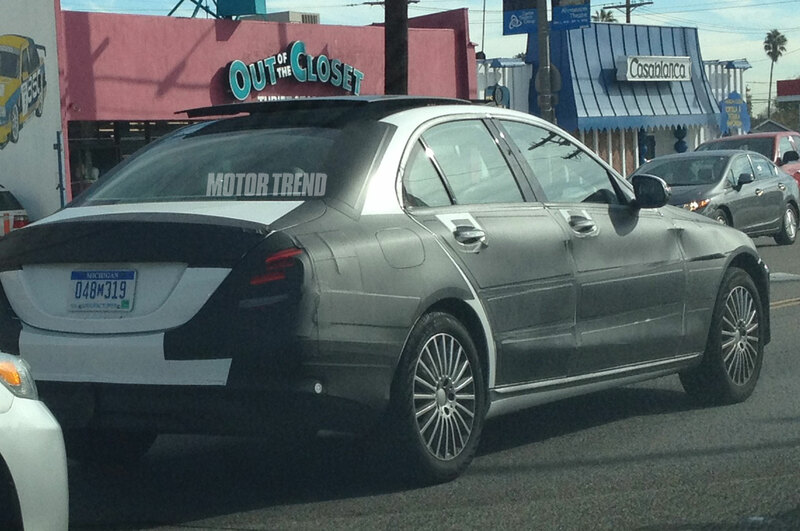 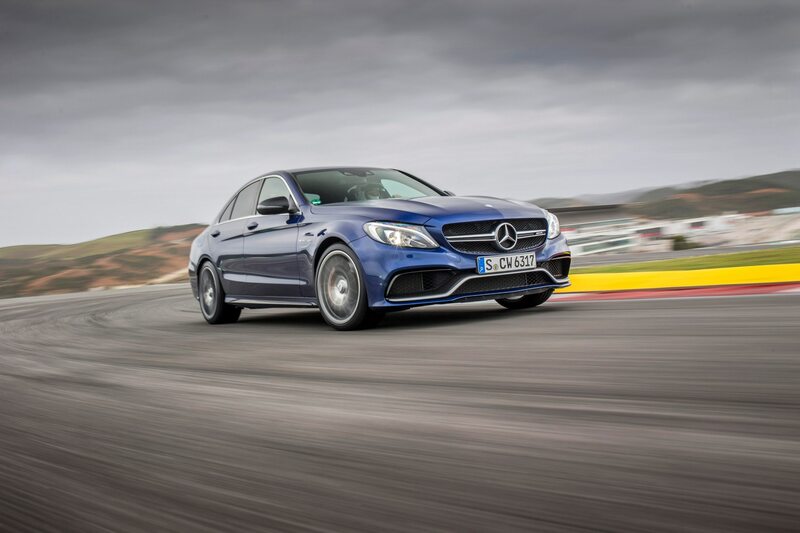 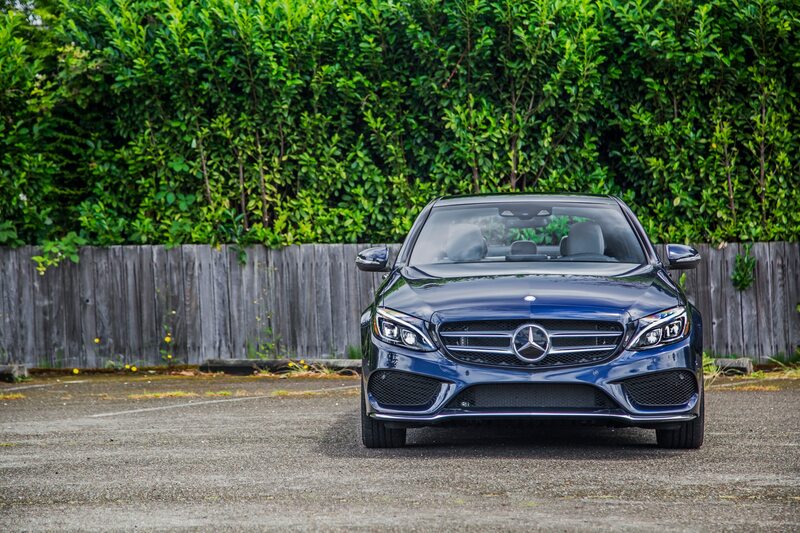 Based on these photos, the Mercedes-AMG C63 coupe will be a dramatic-looking car. 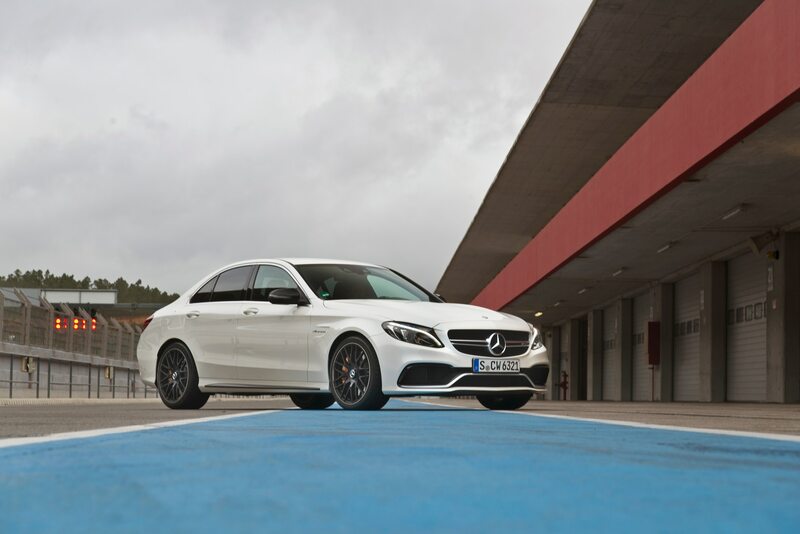 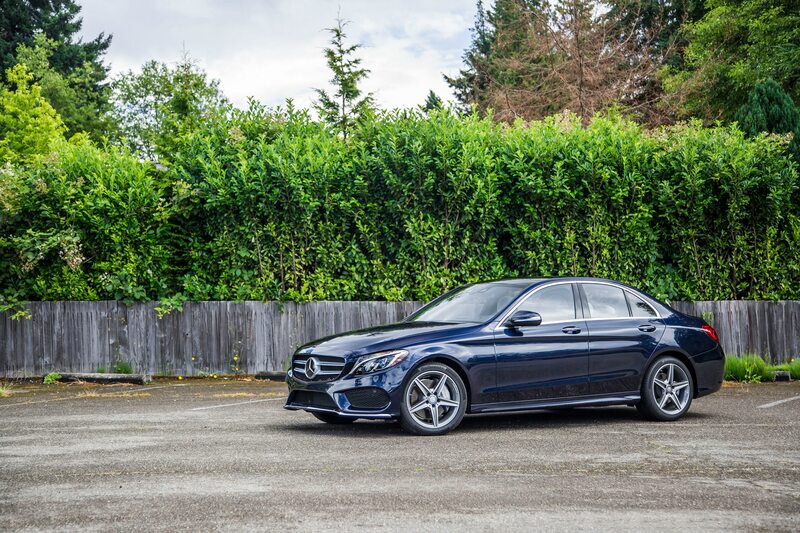 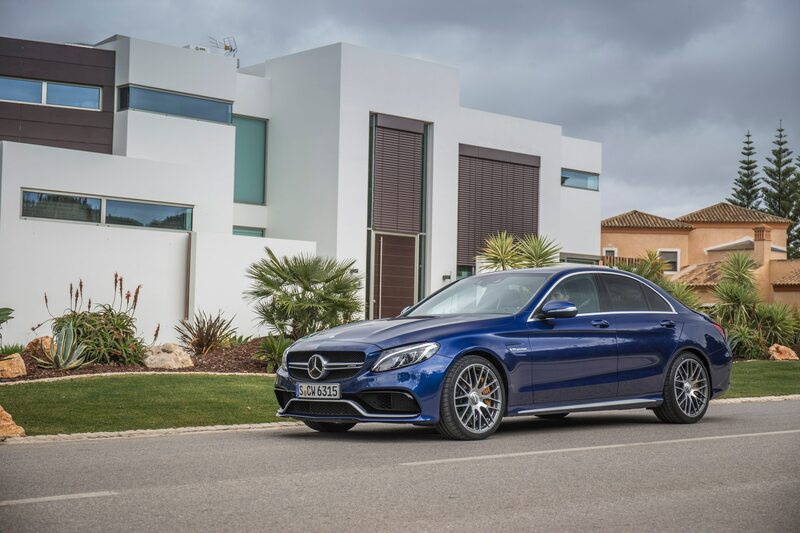 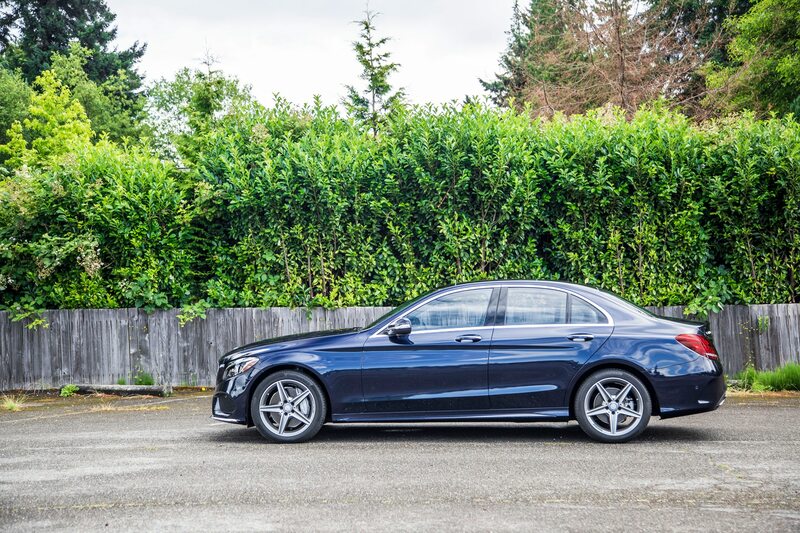 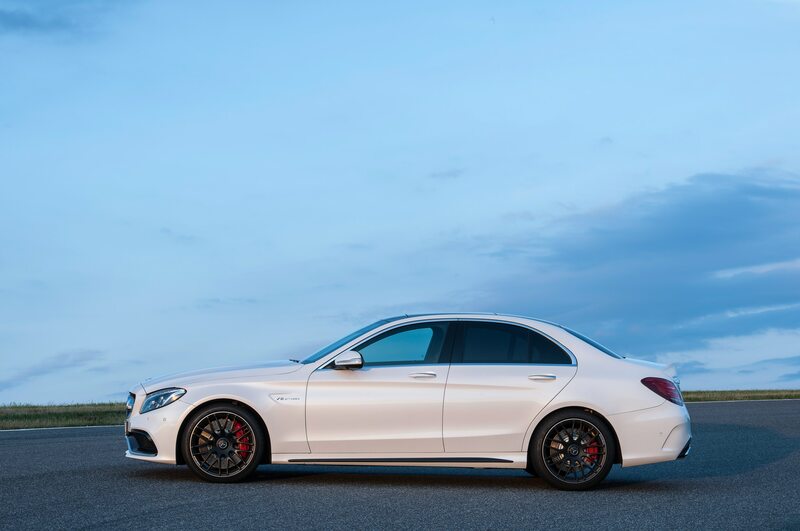 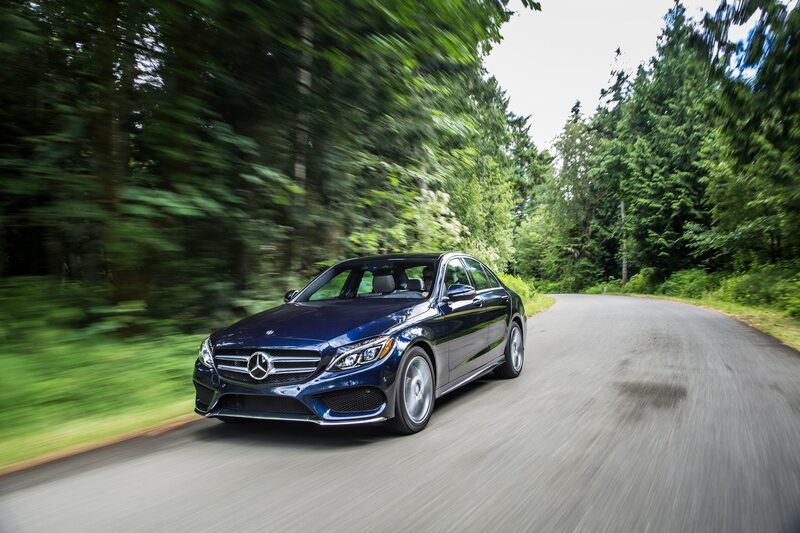 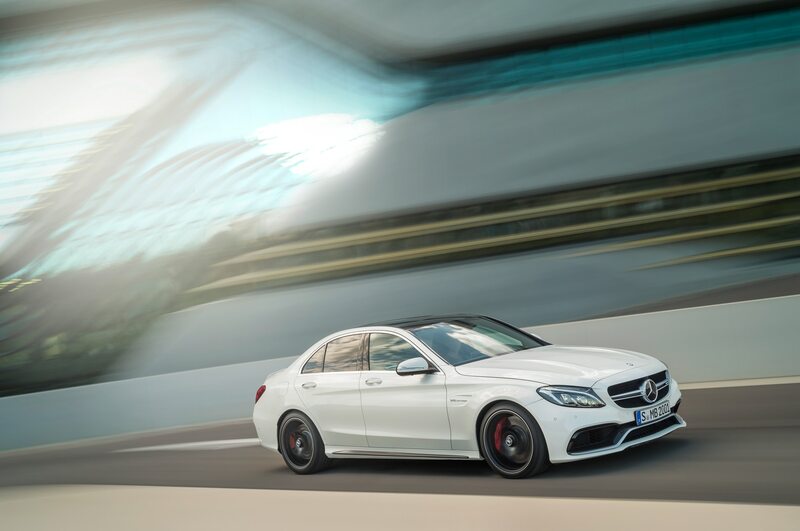 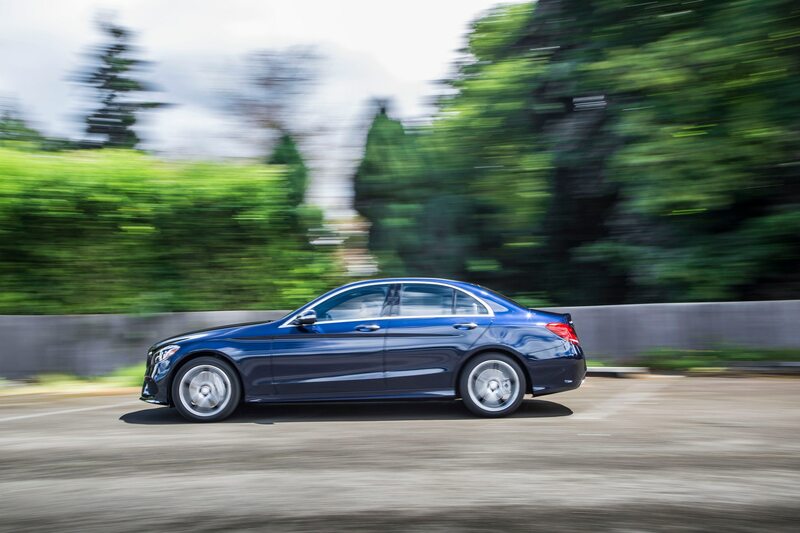 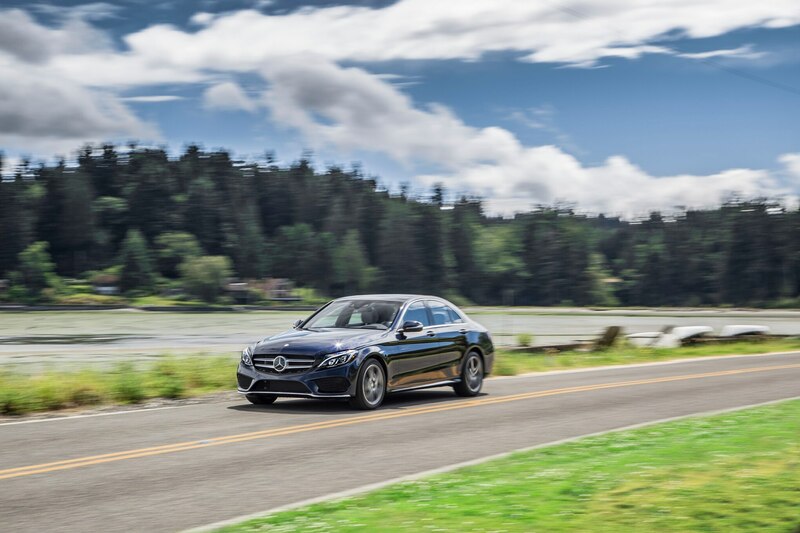 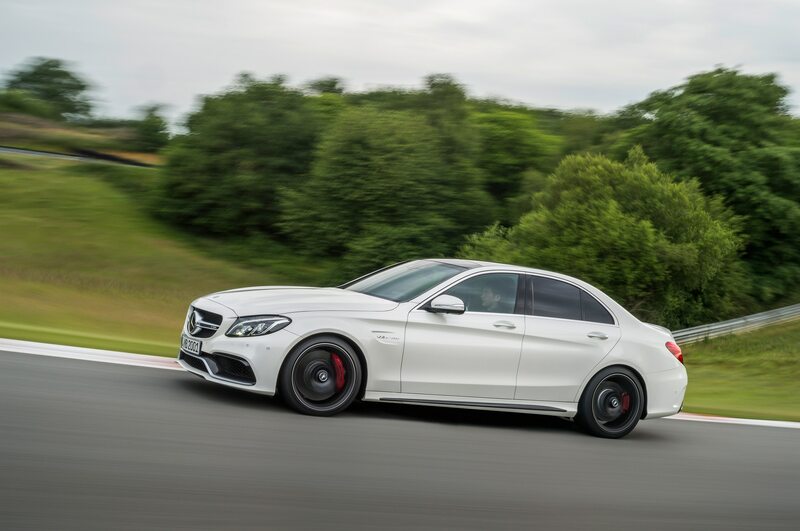 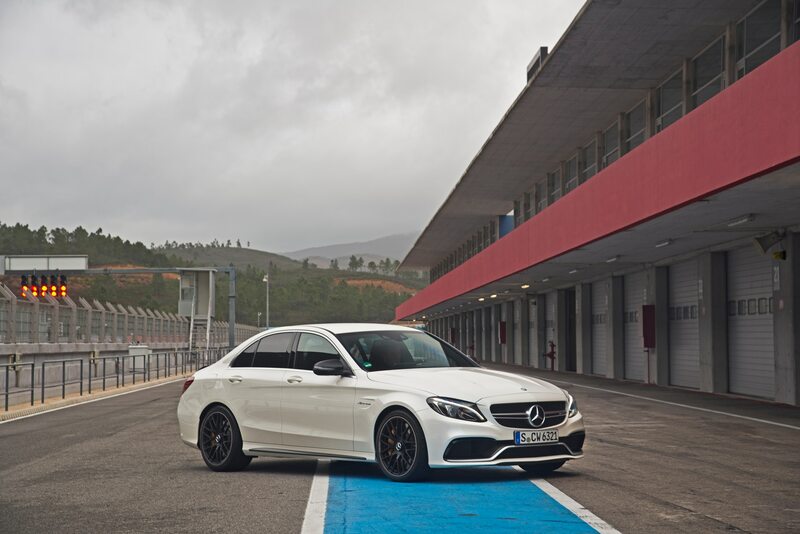 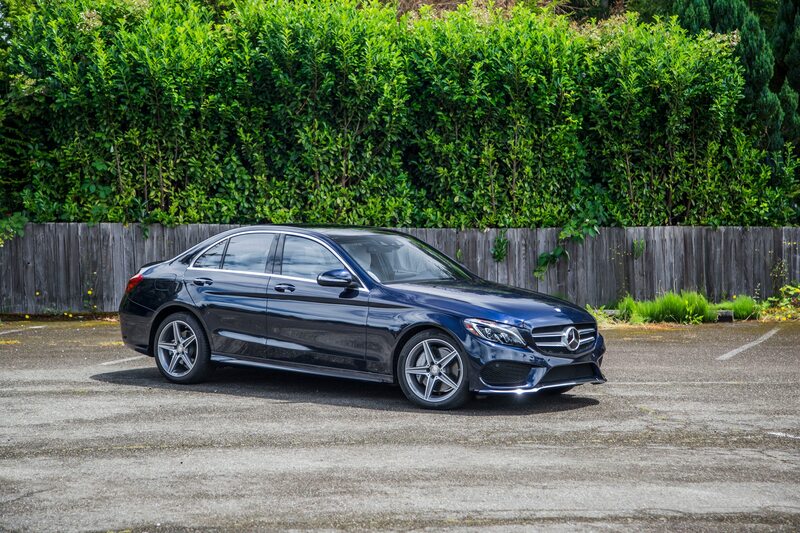 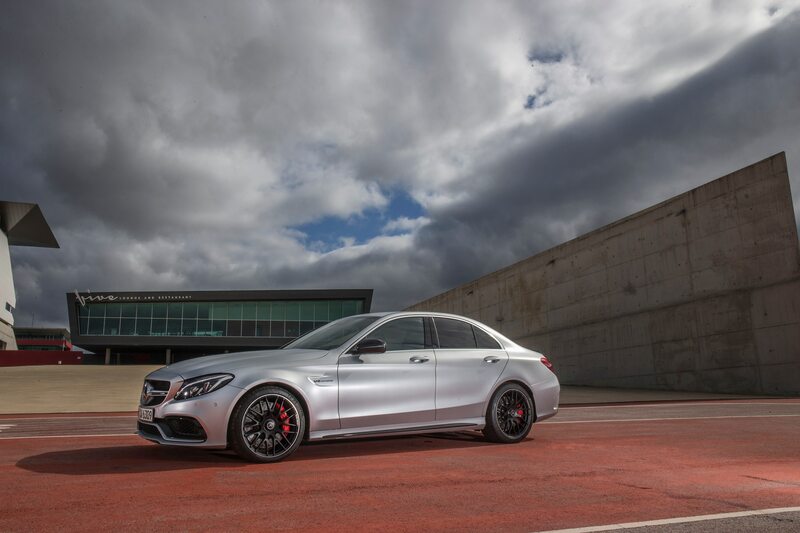 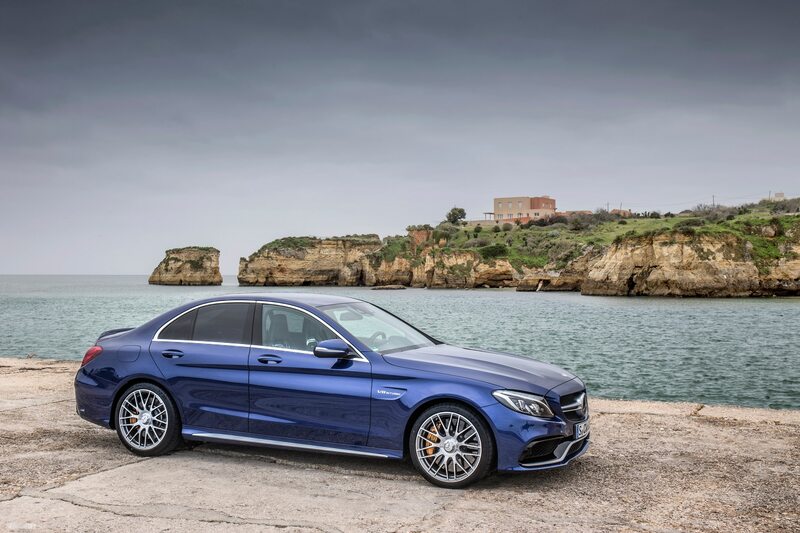 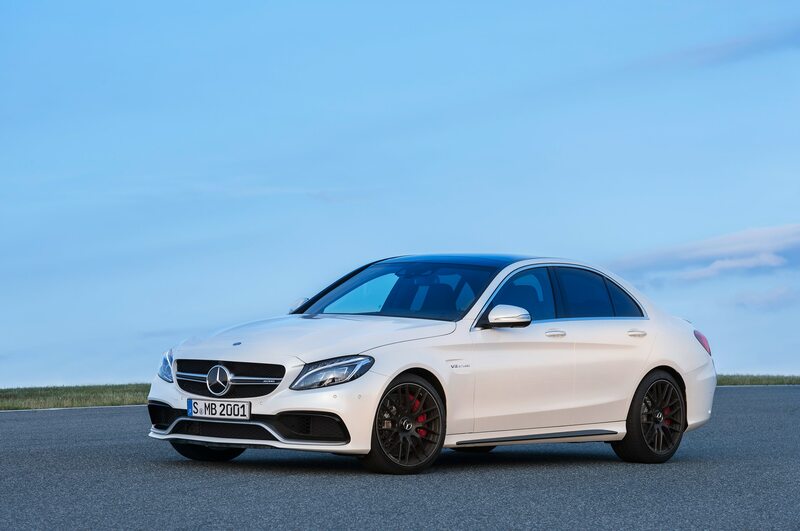 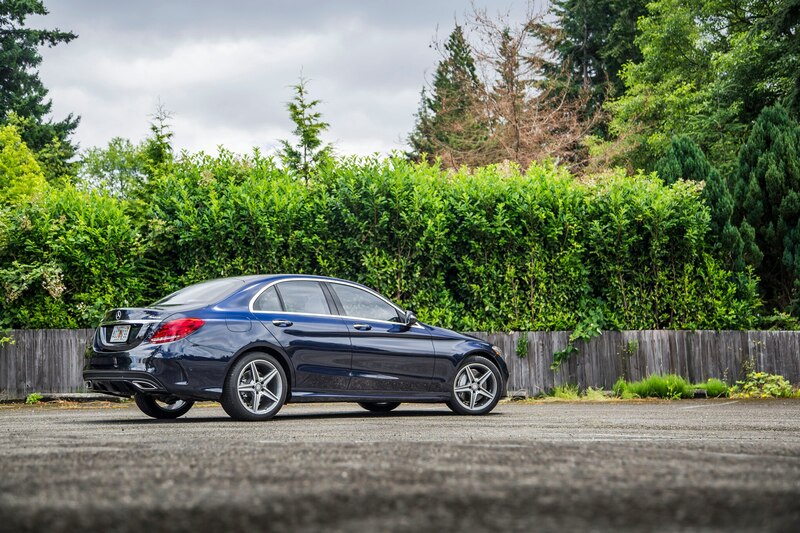 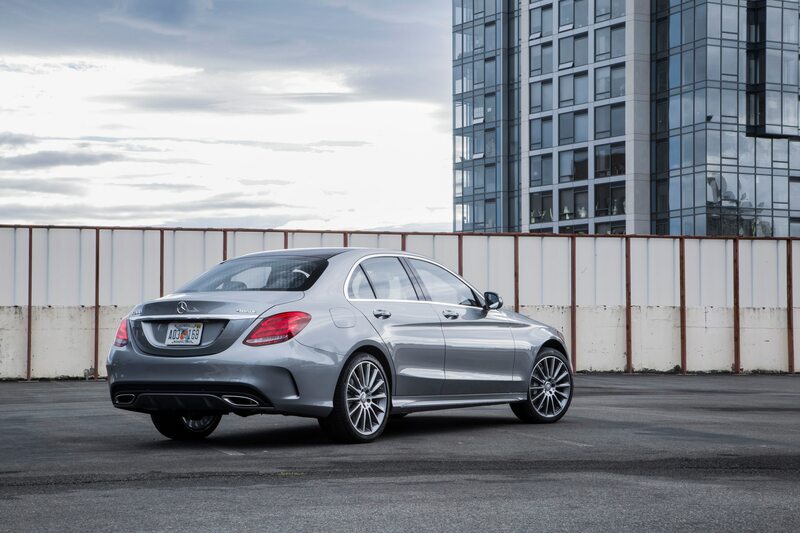 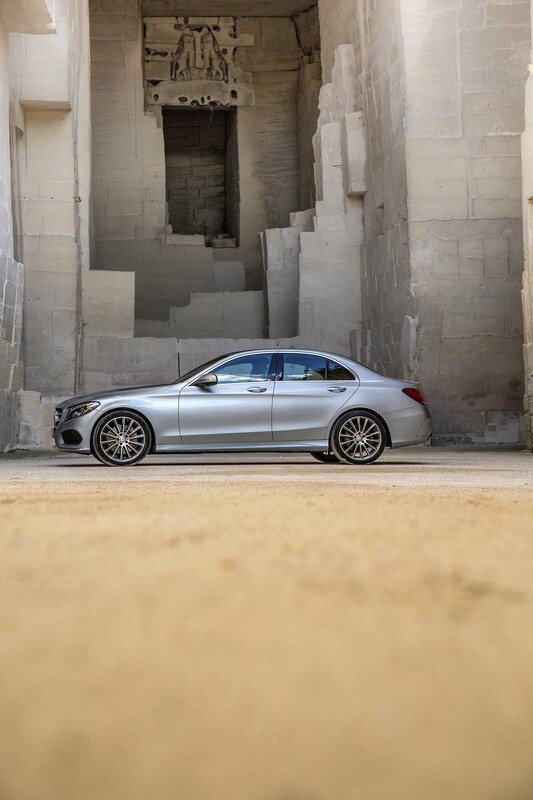 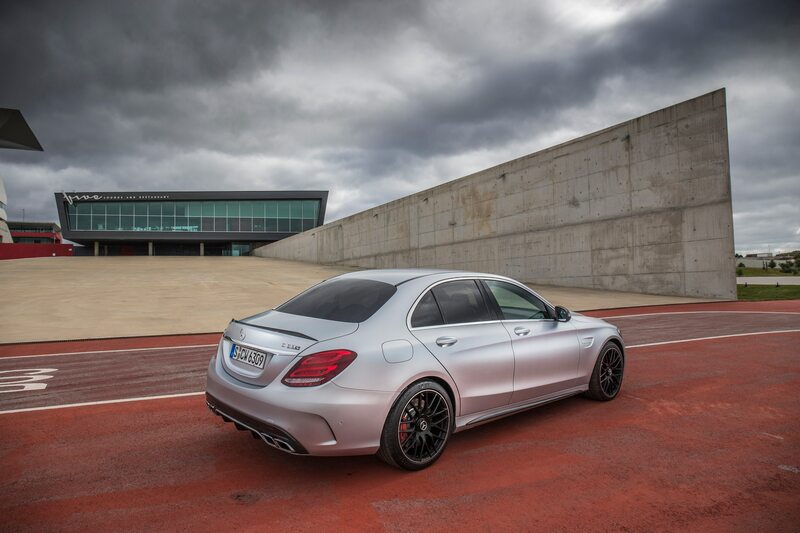 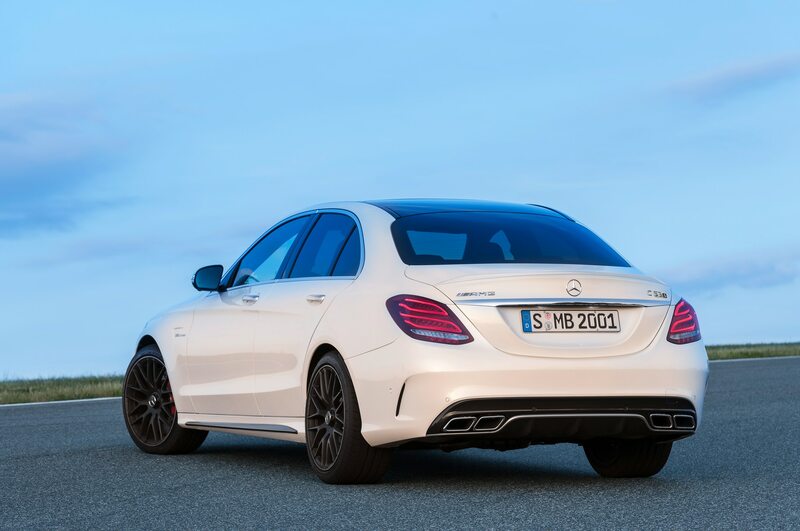 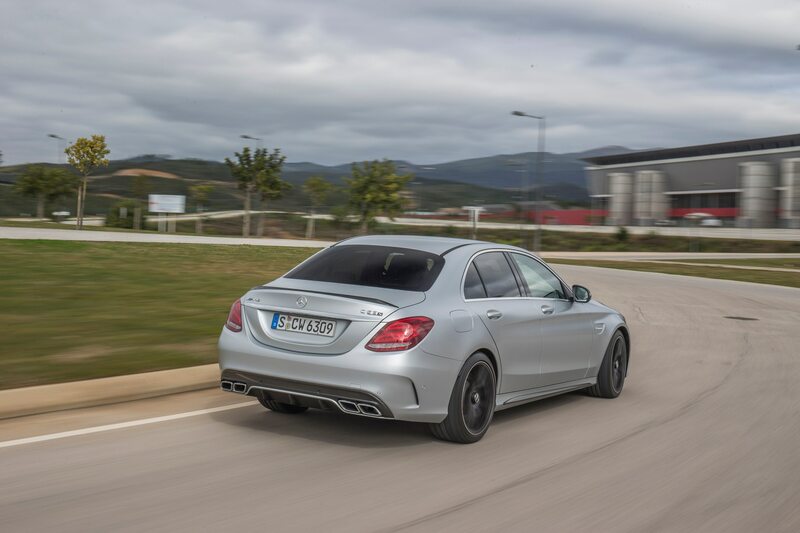 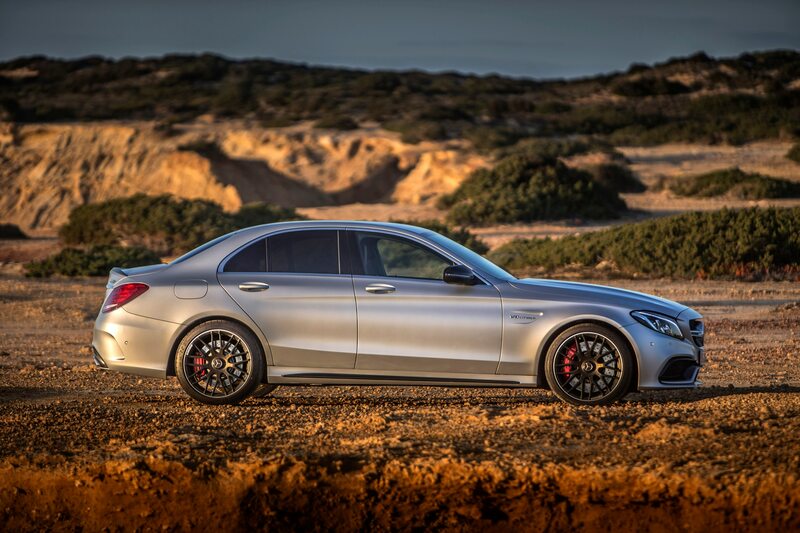 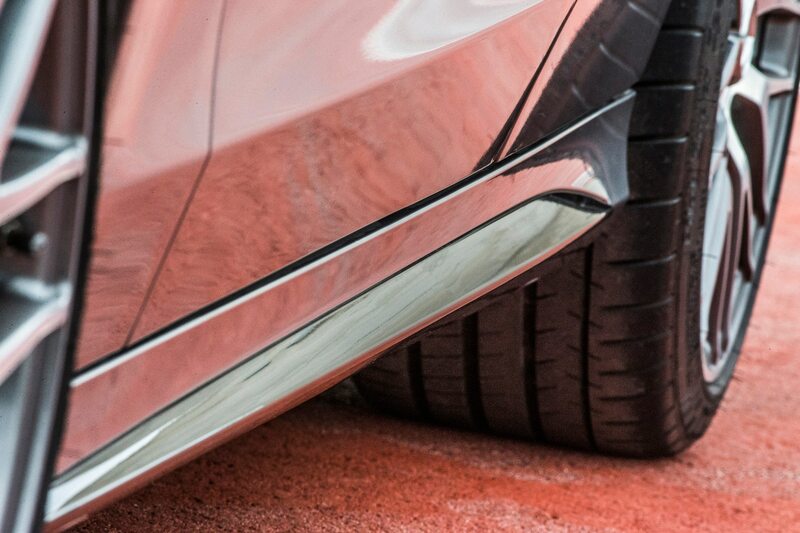 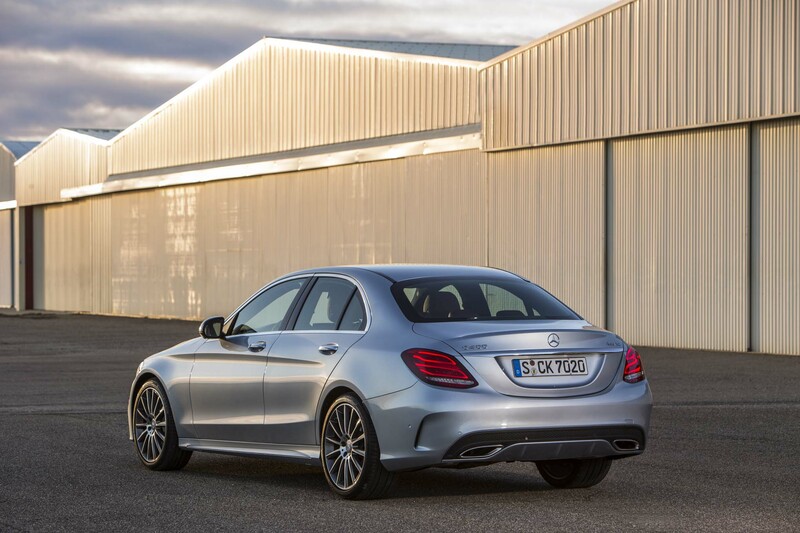 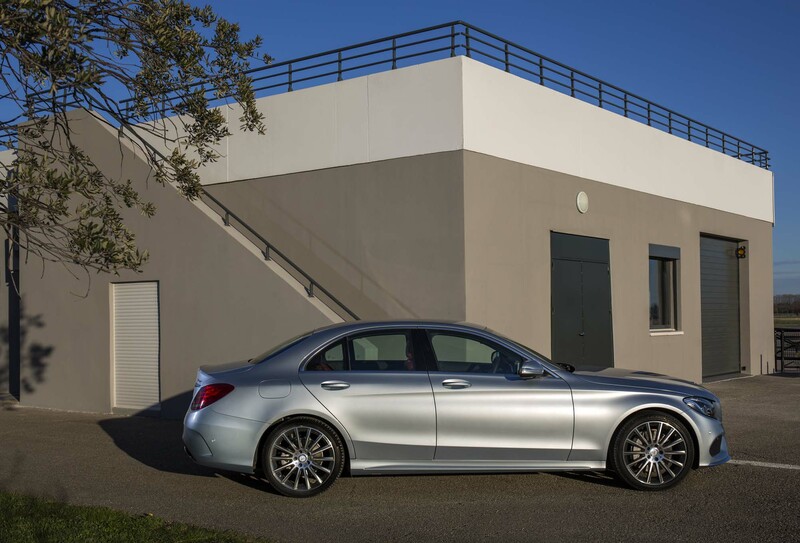 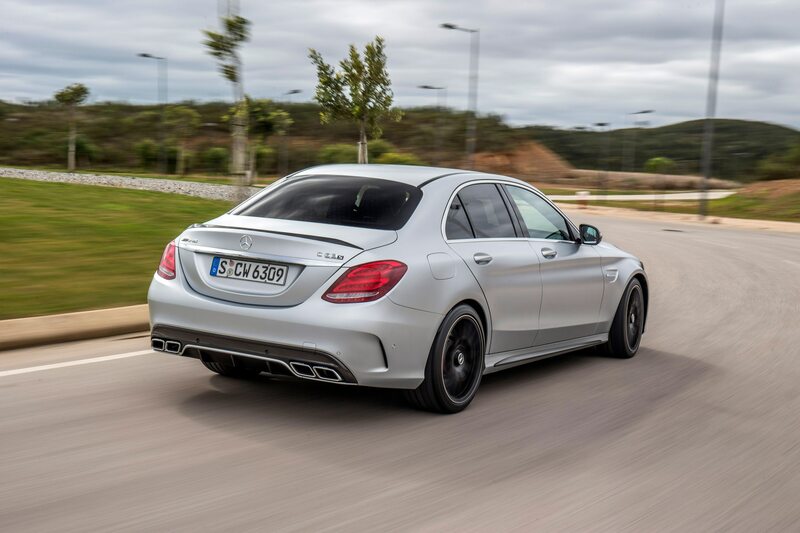 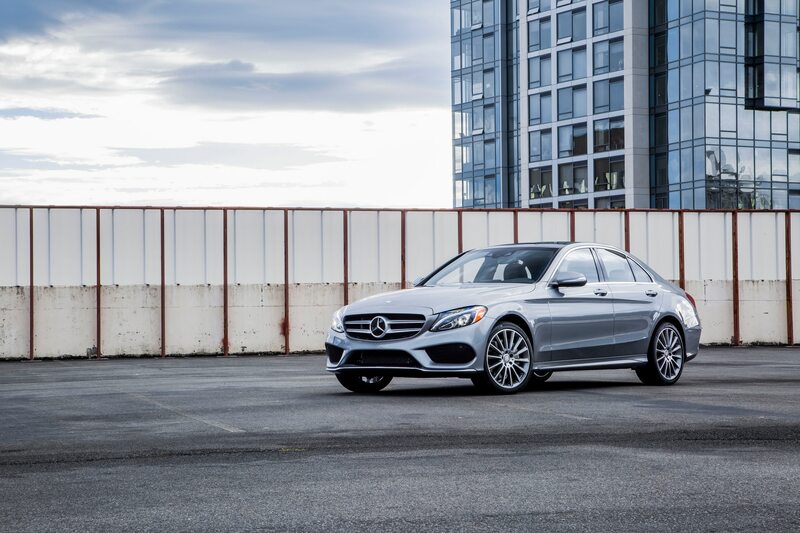 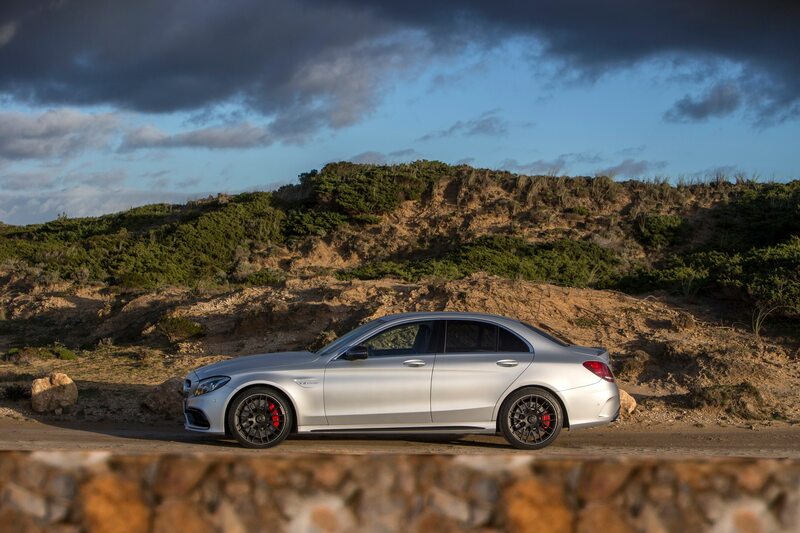 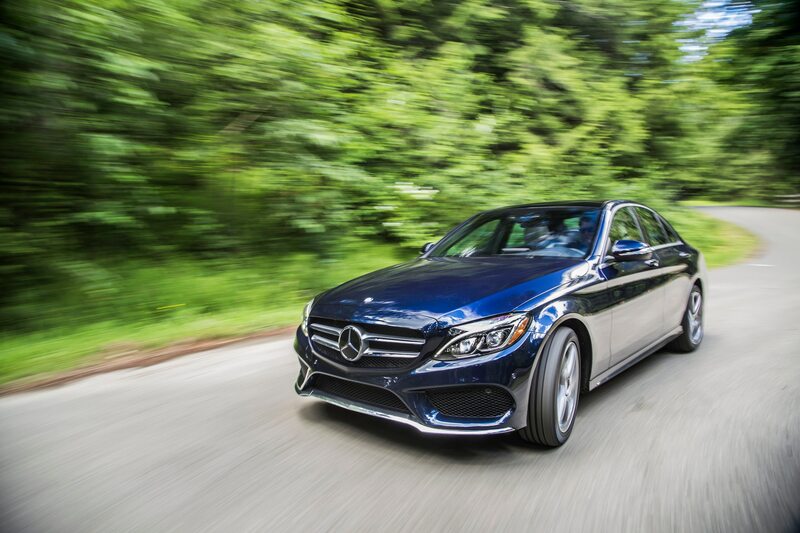 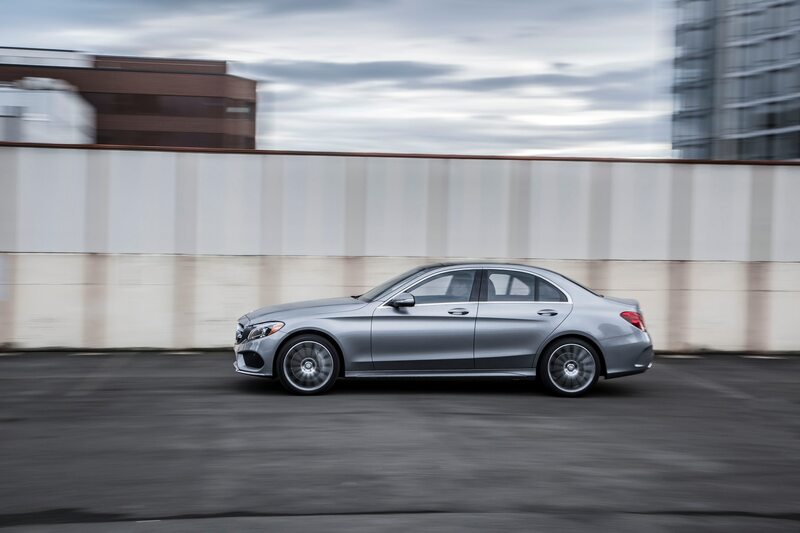 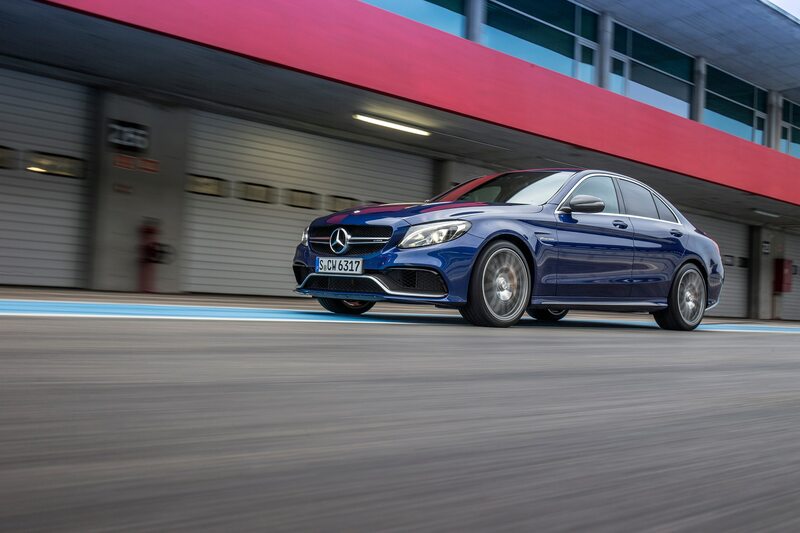 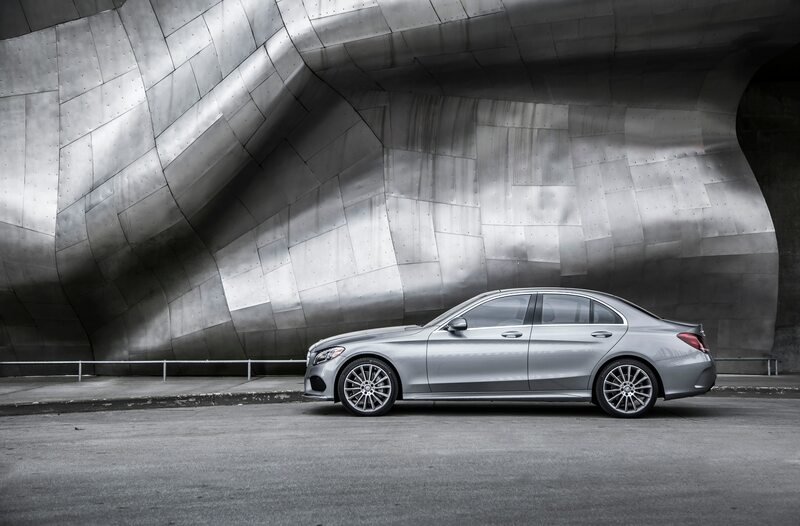 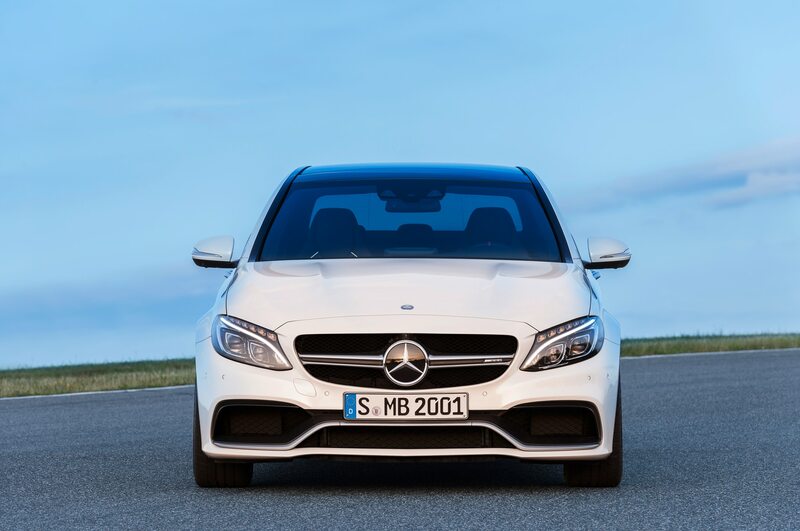 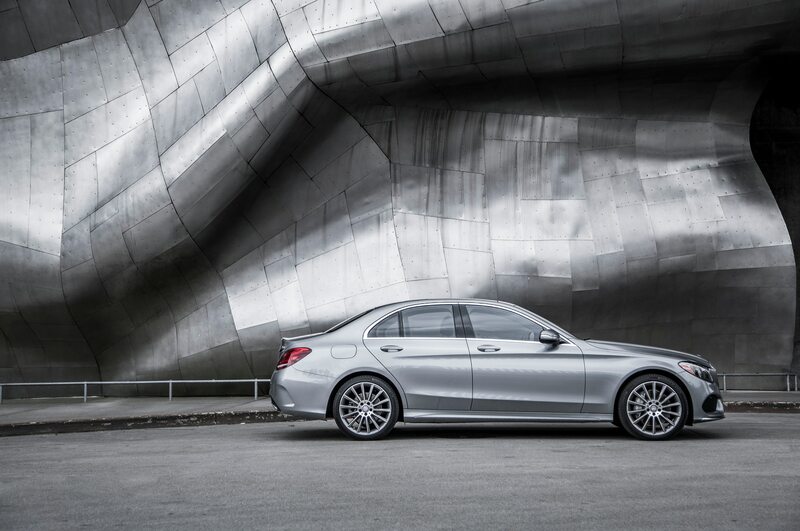 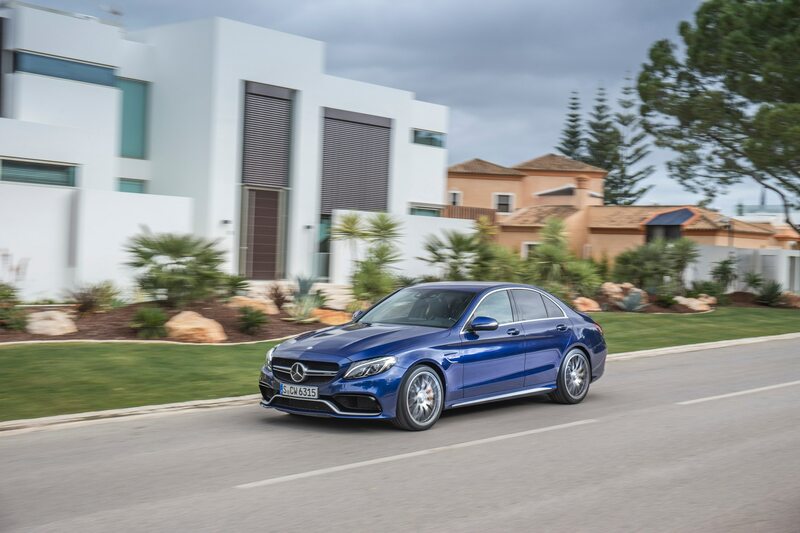 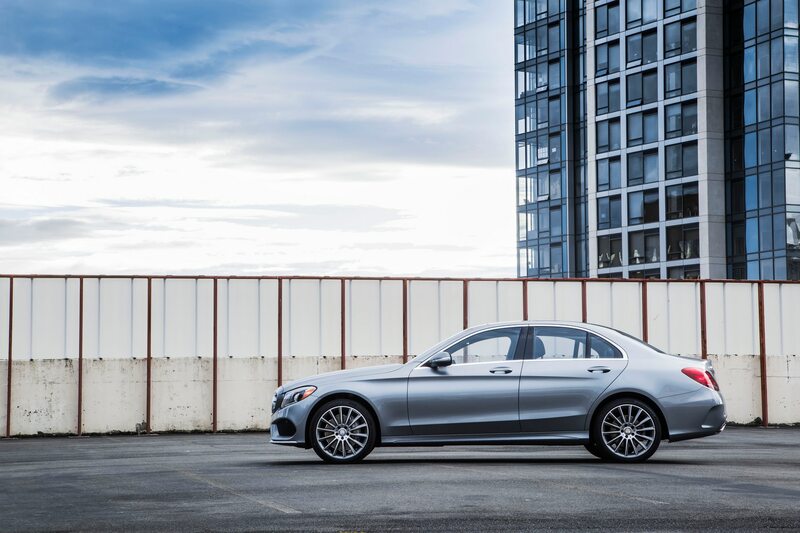 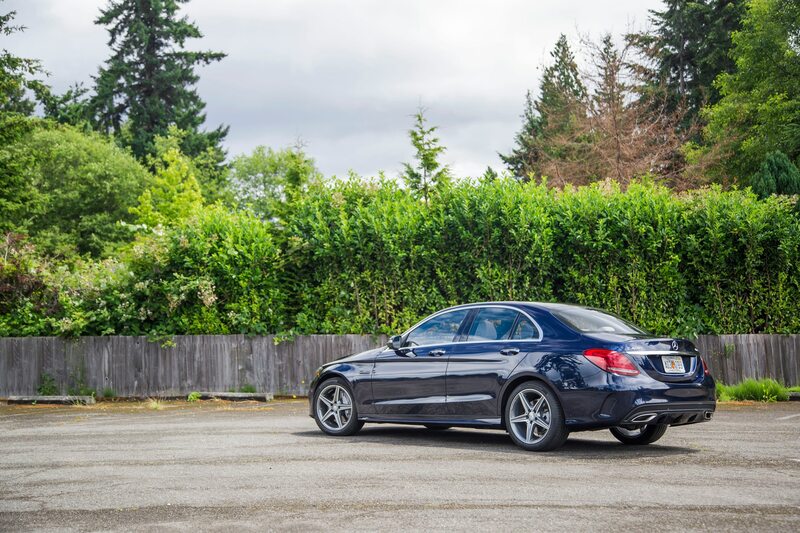 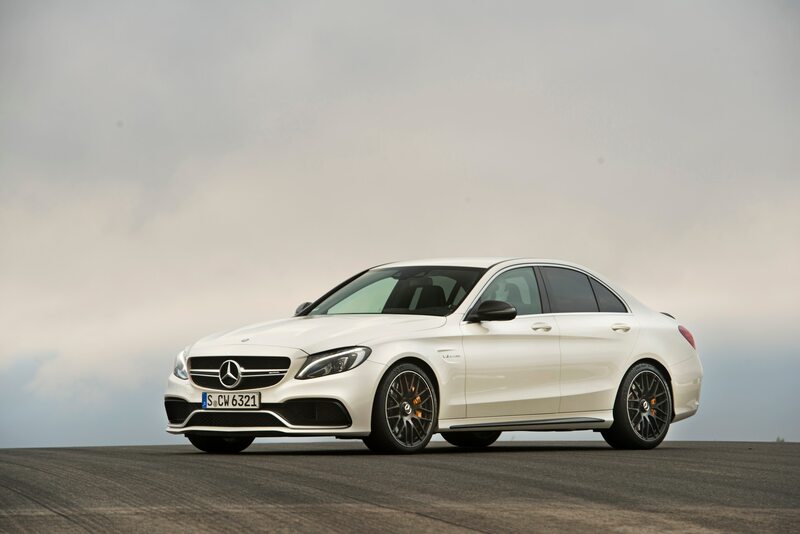 The side profile is on-par with what we expected from a two-door variant of the current C63 sedan, with widened fenders, aggressive wheels, and a smoothly sloped roof. 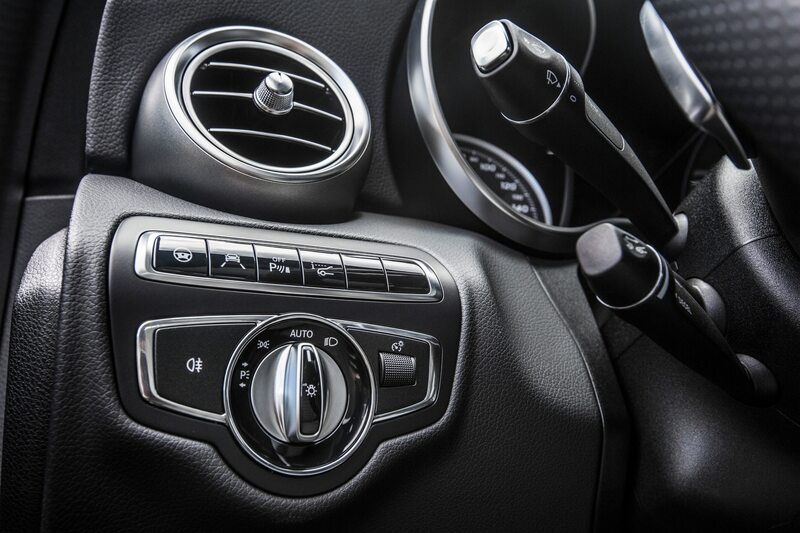 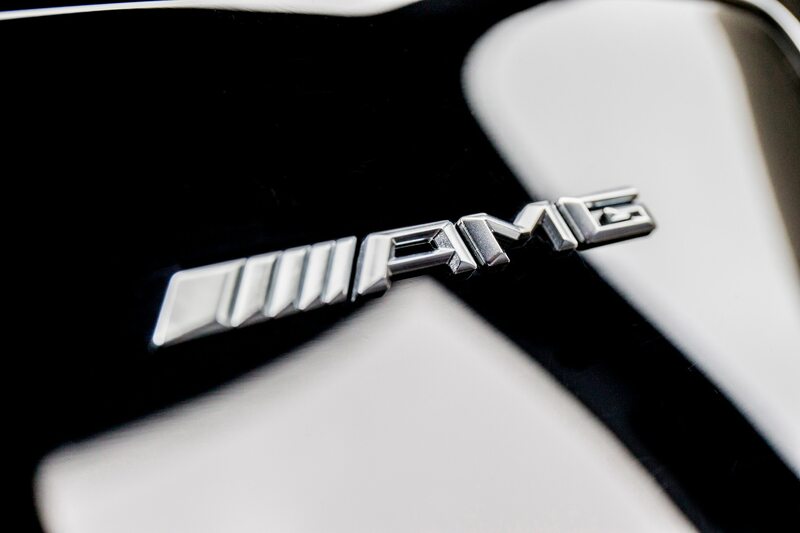 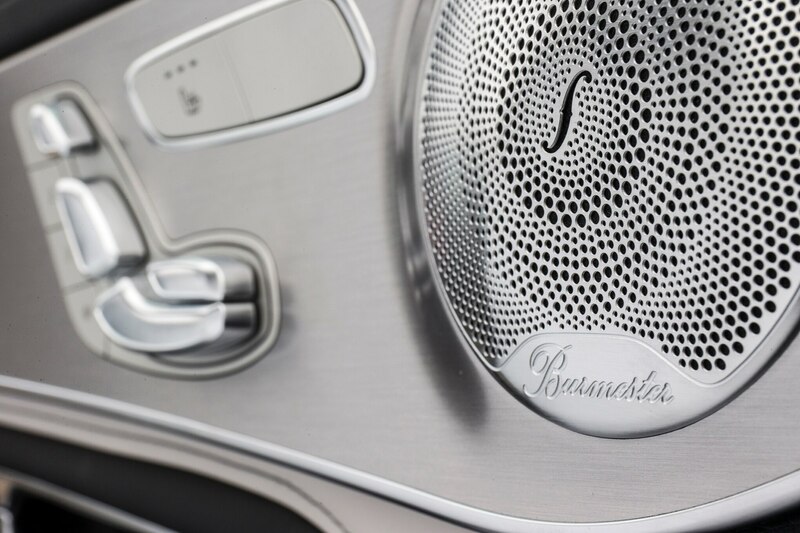 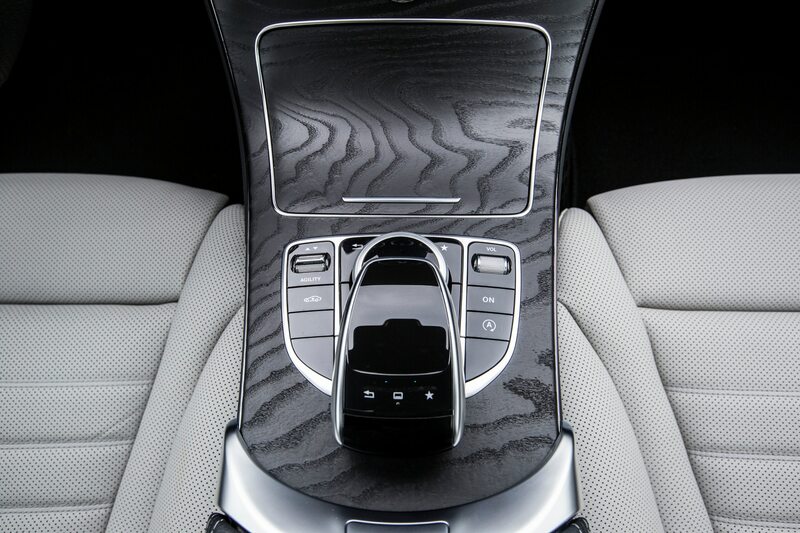 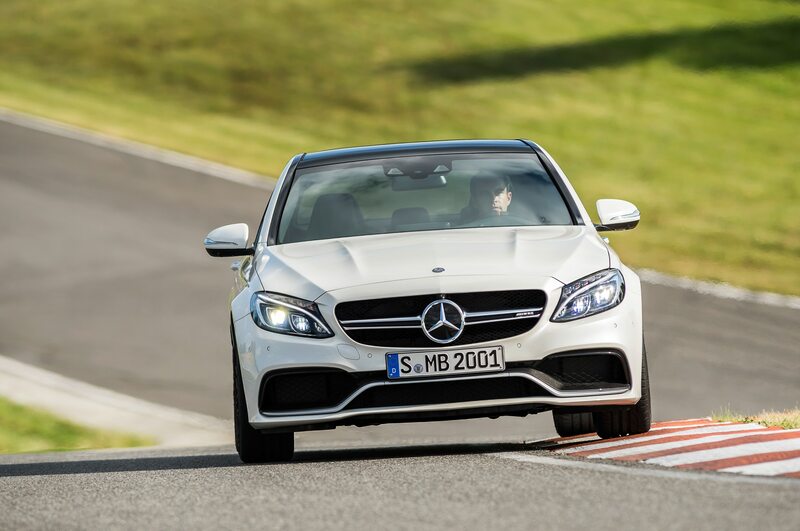 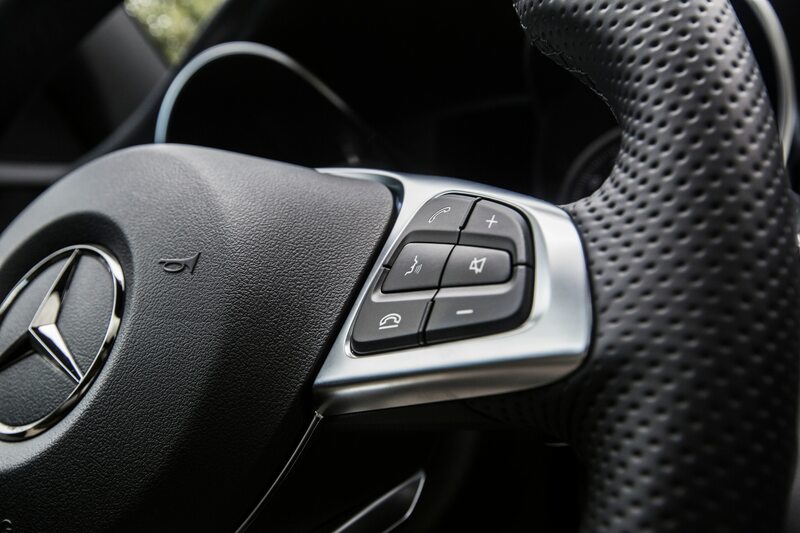 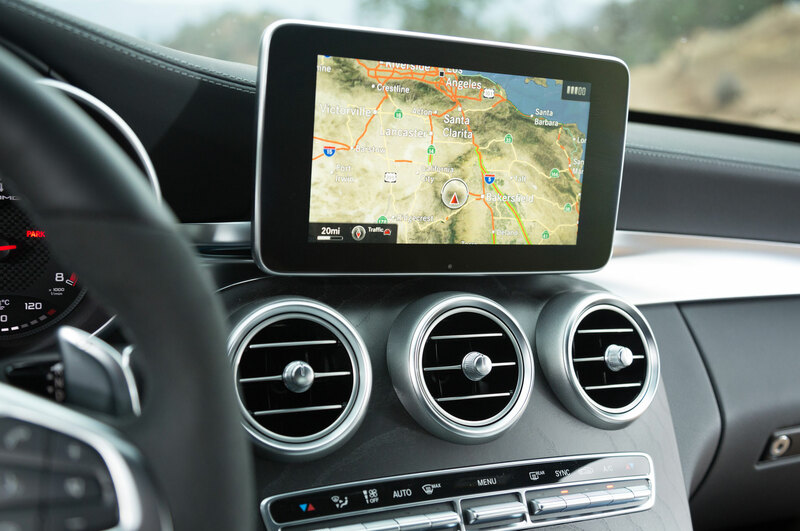 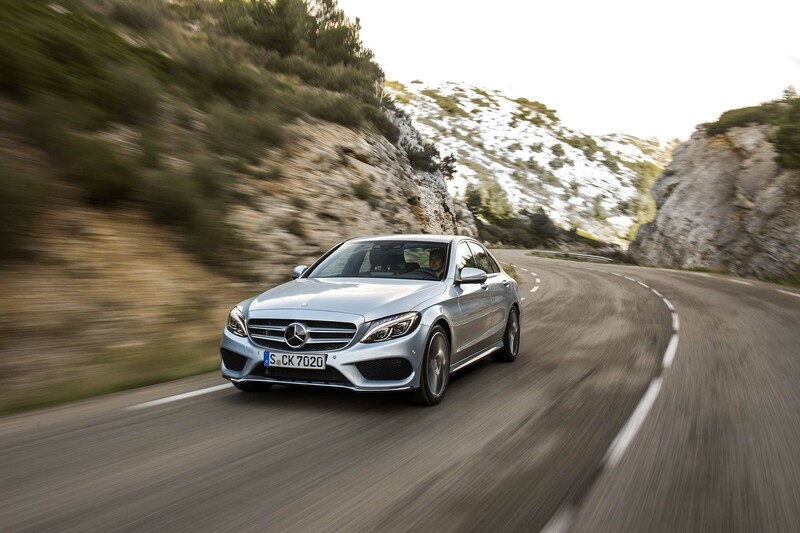 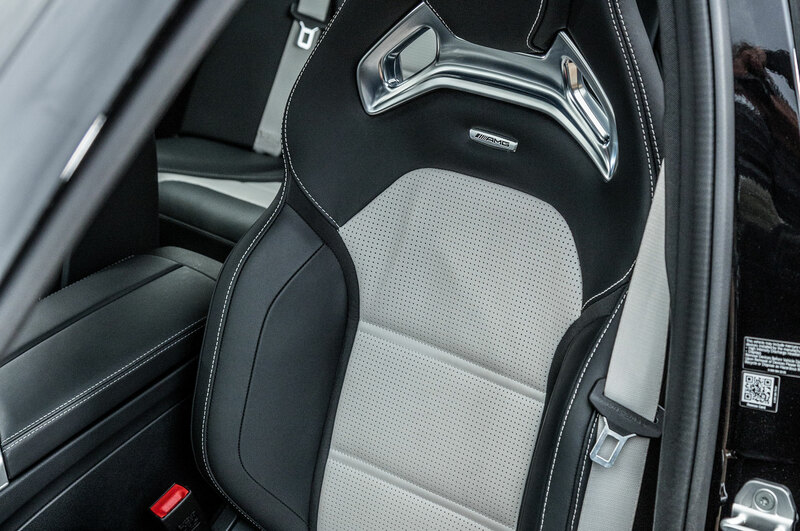 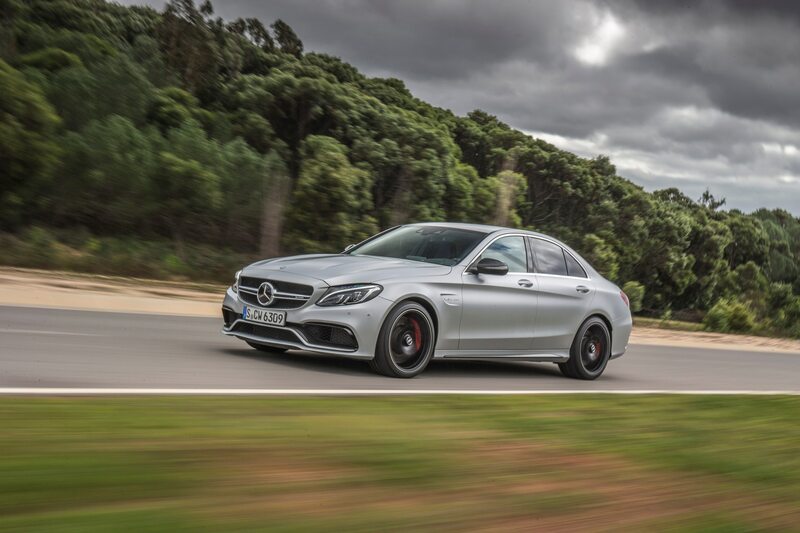 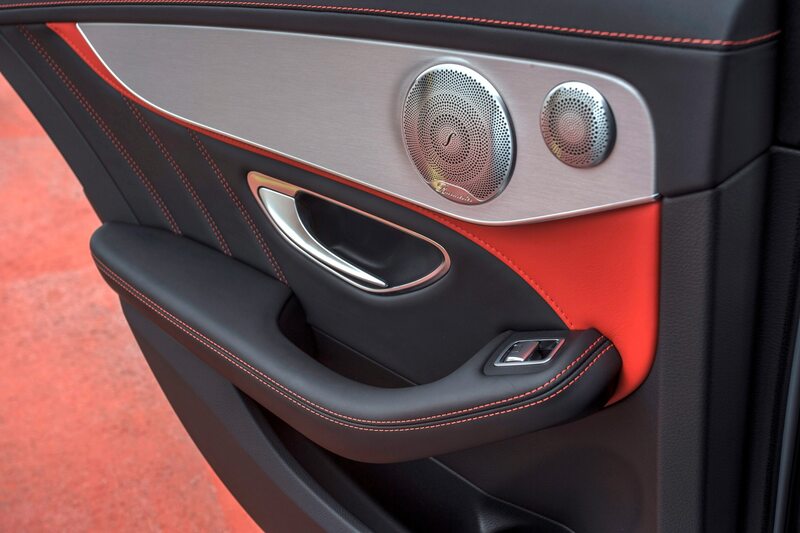 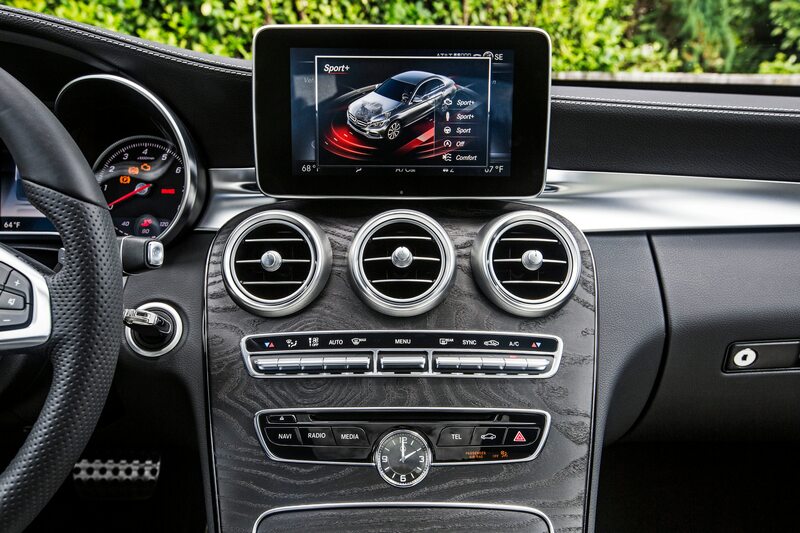 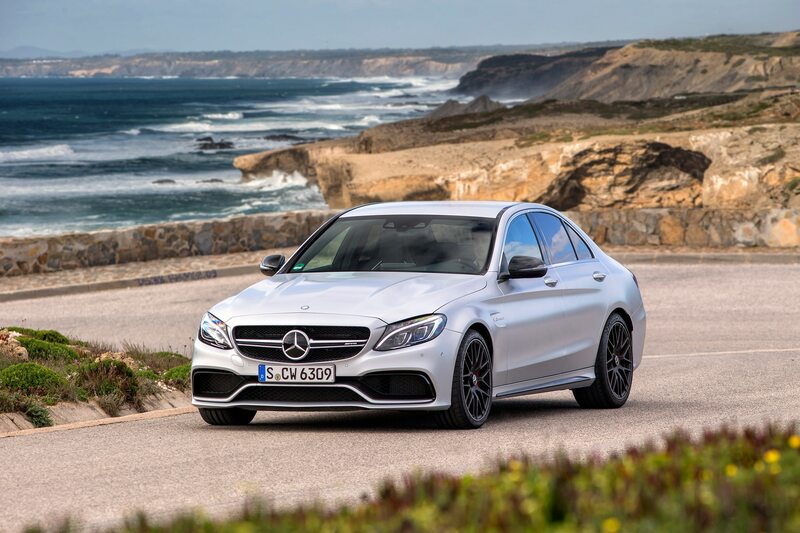 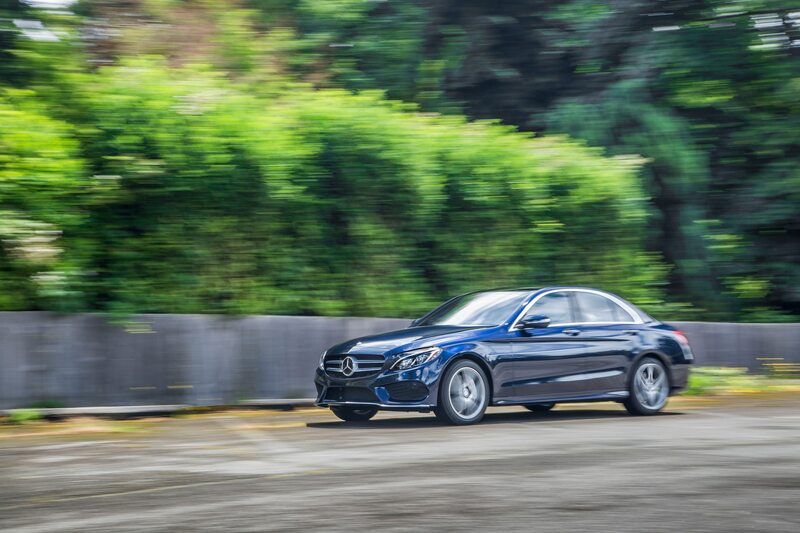 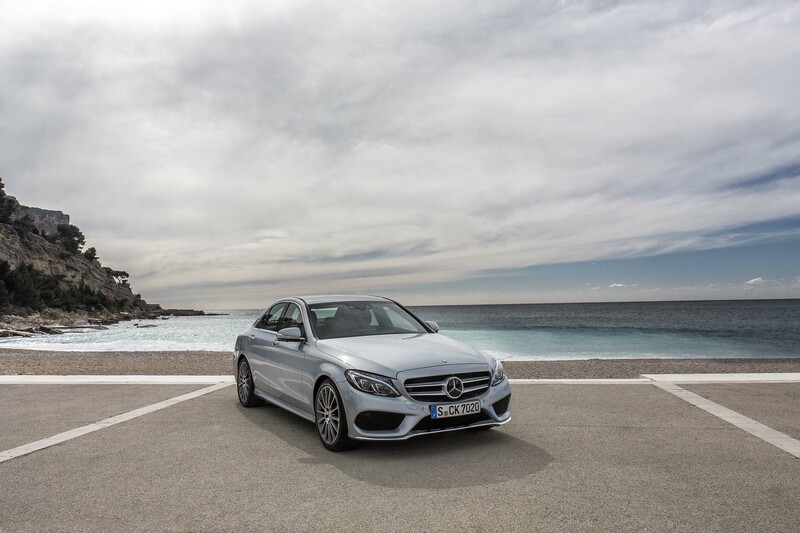 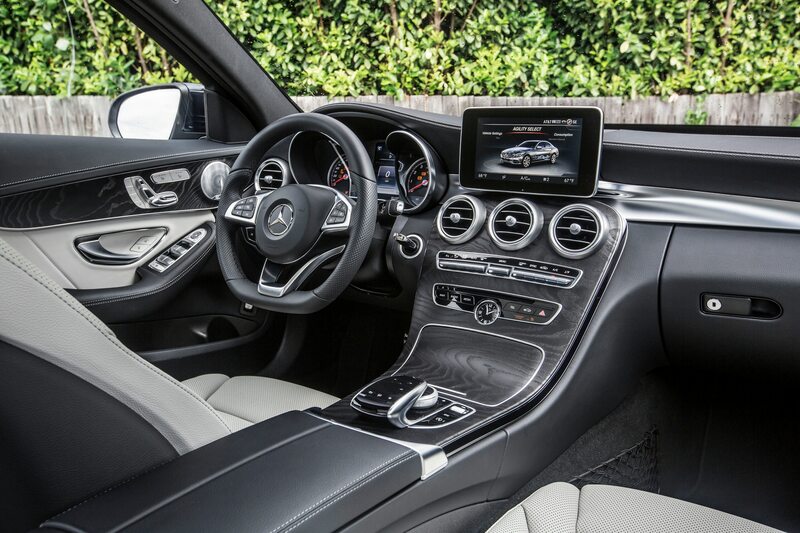 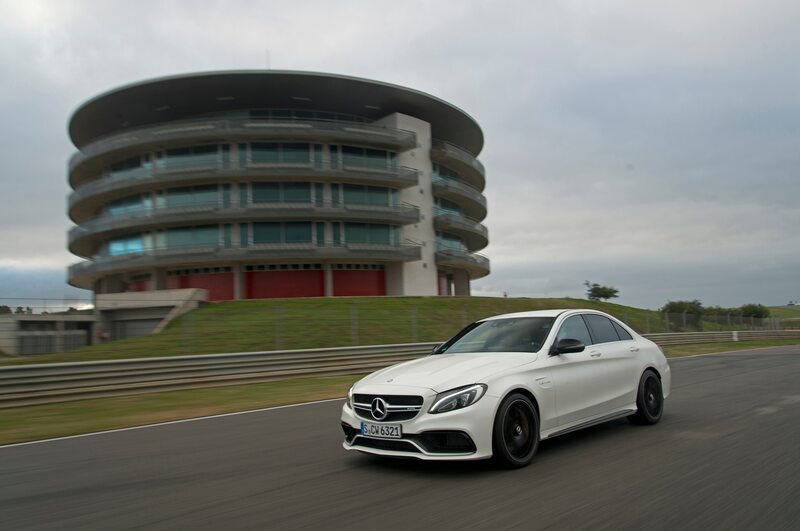 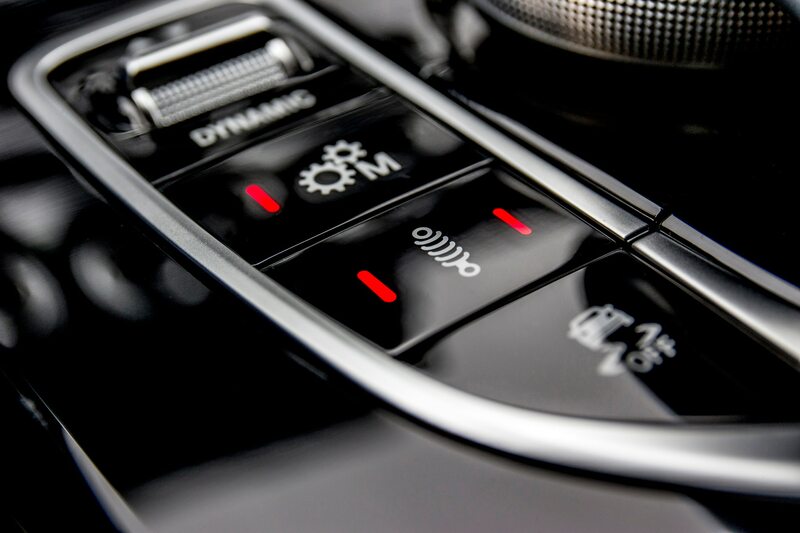 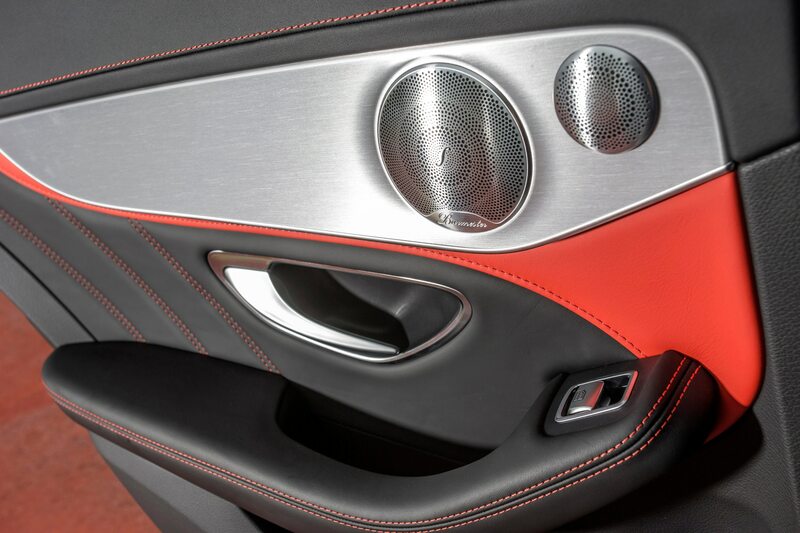 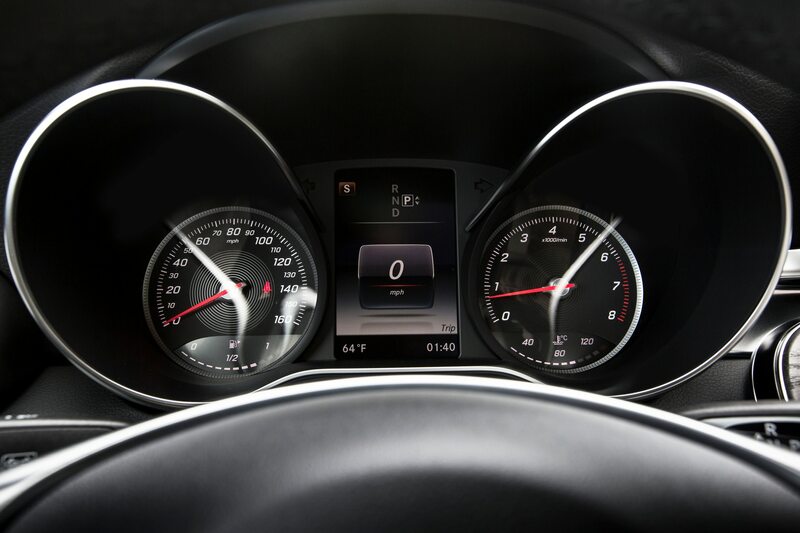 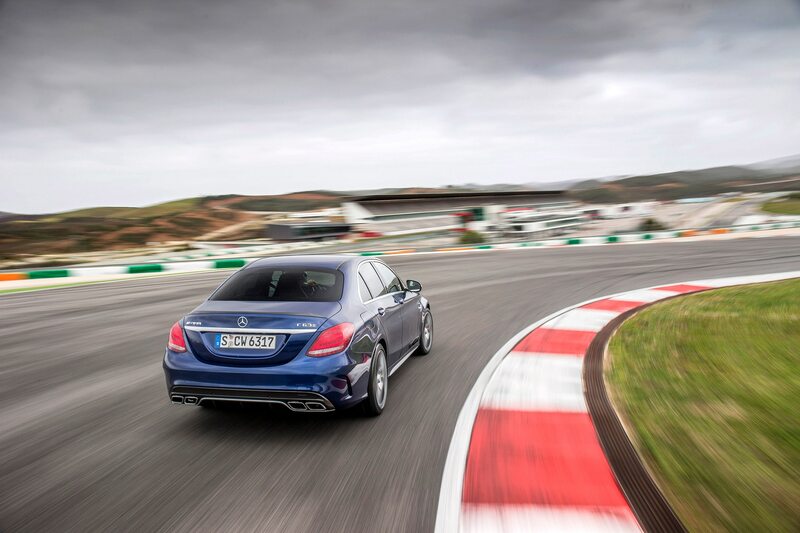 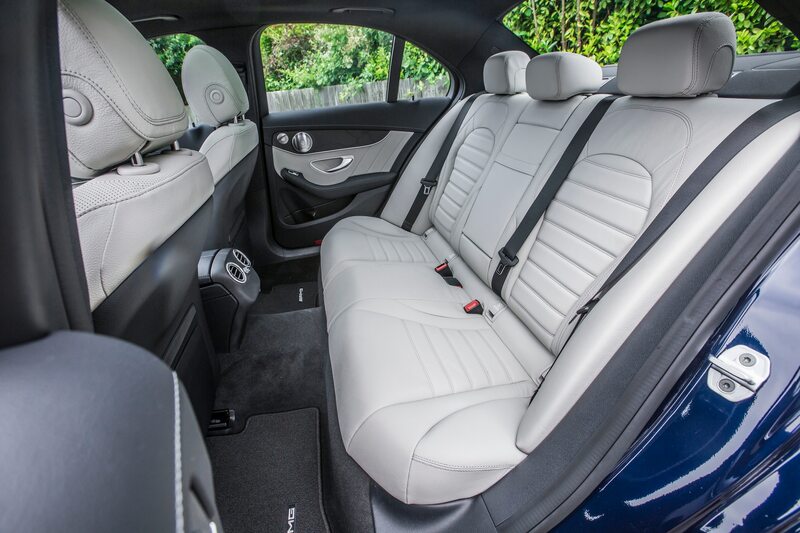 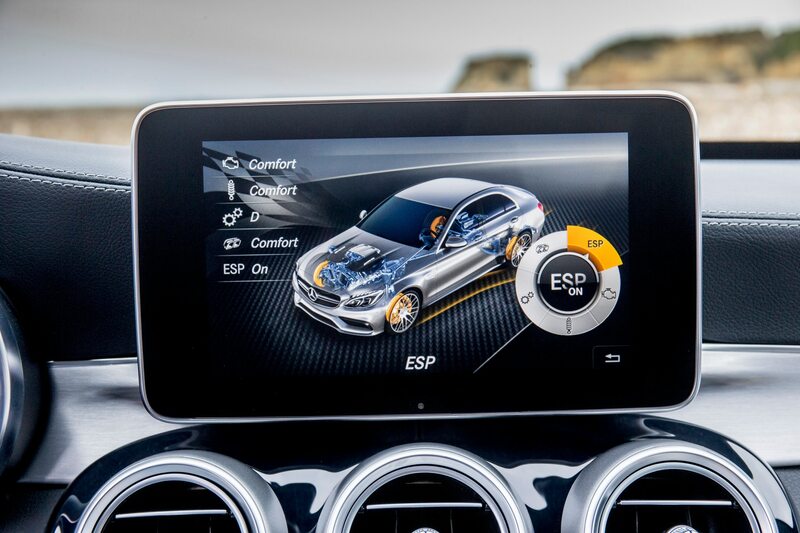 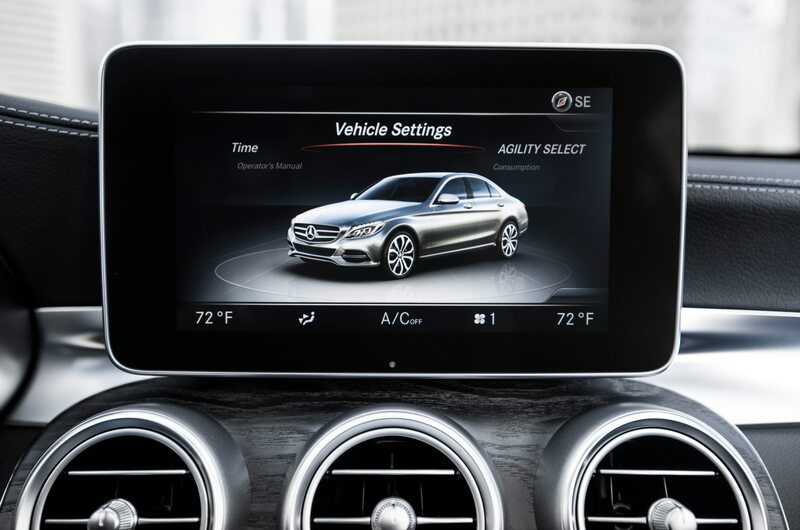 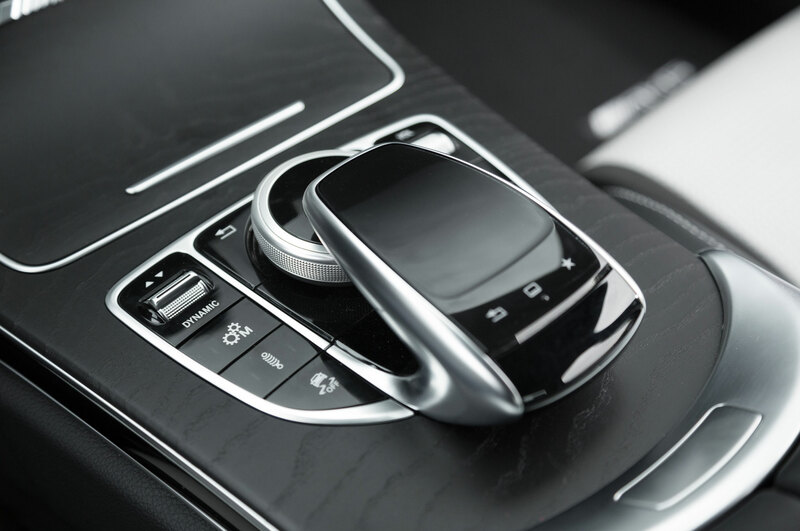 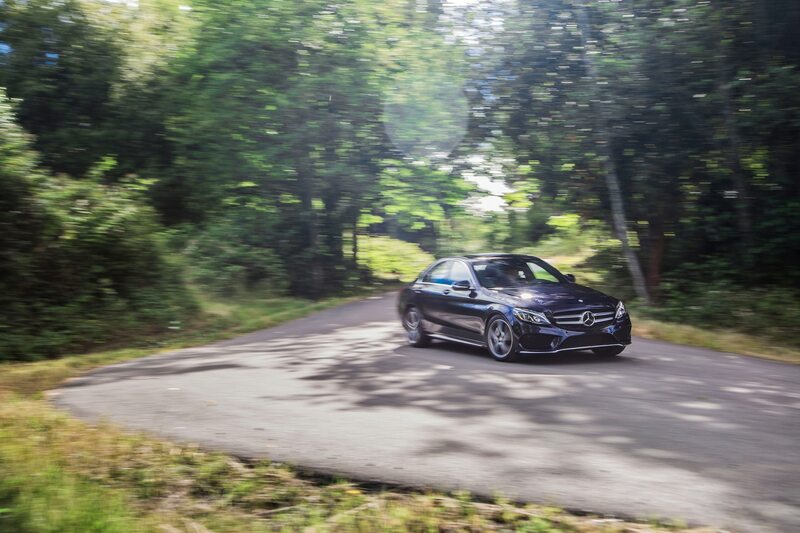 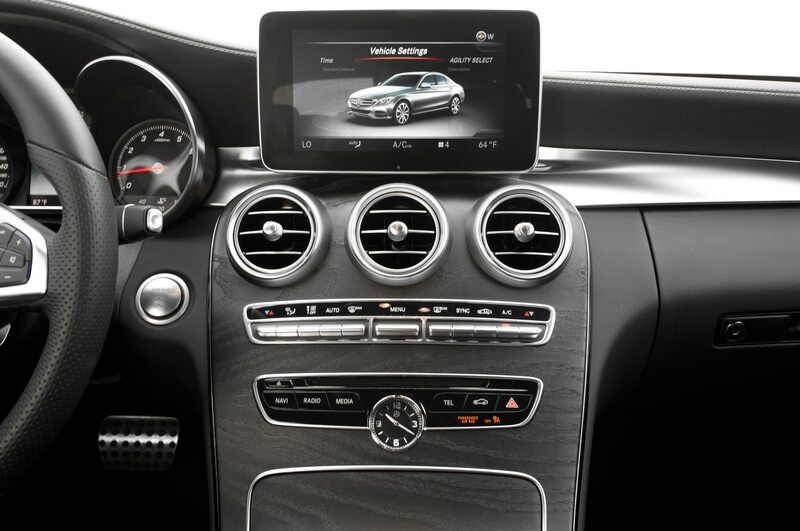 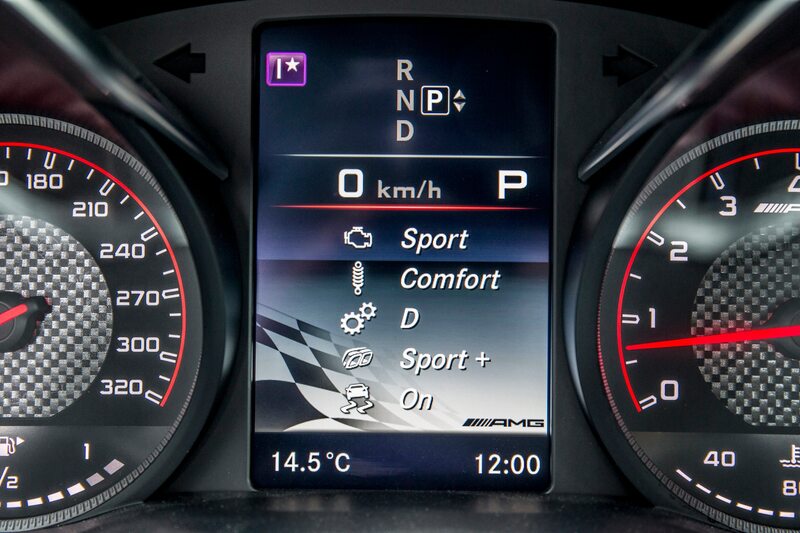 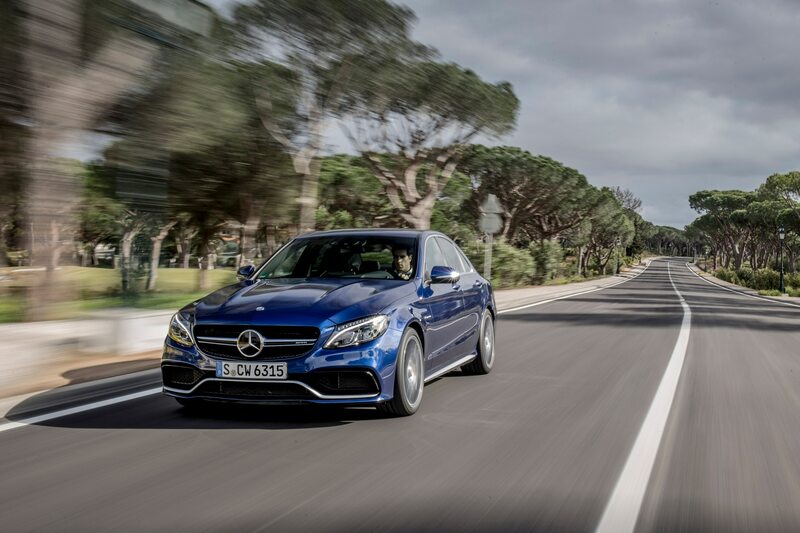 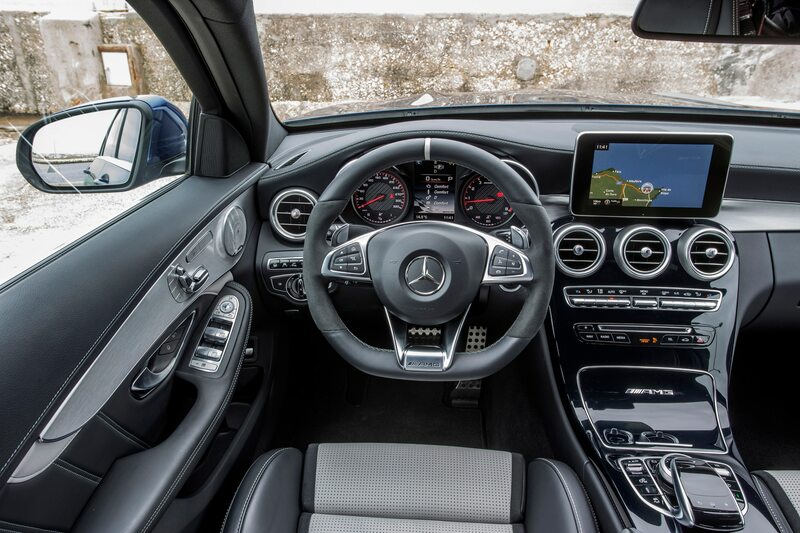 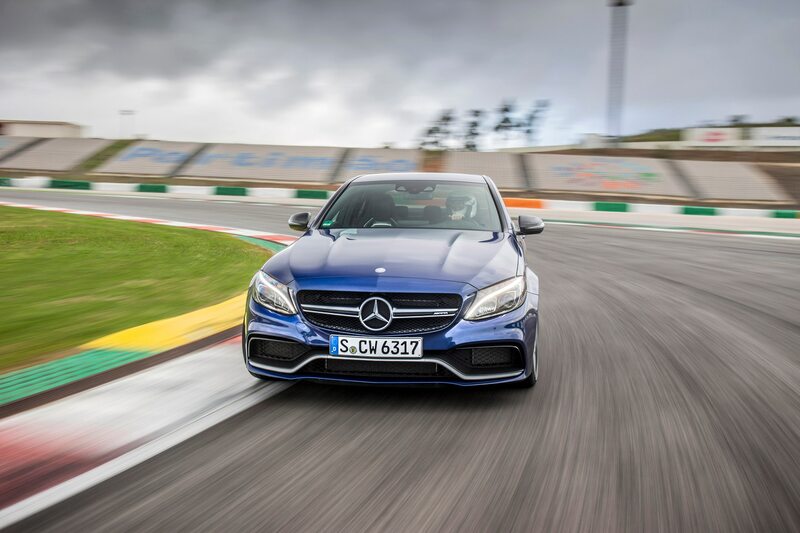 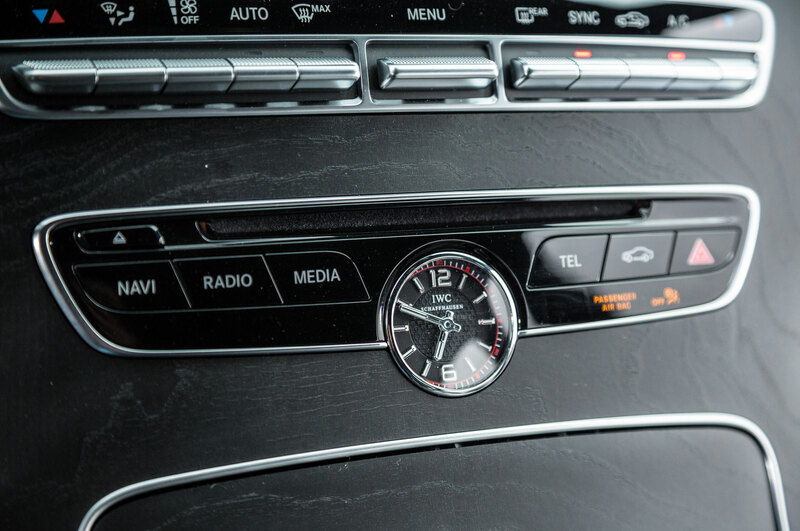 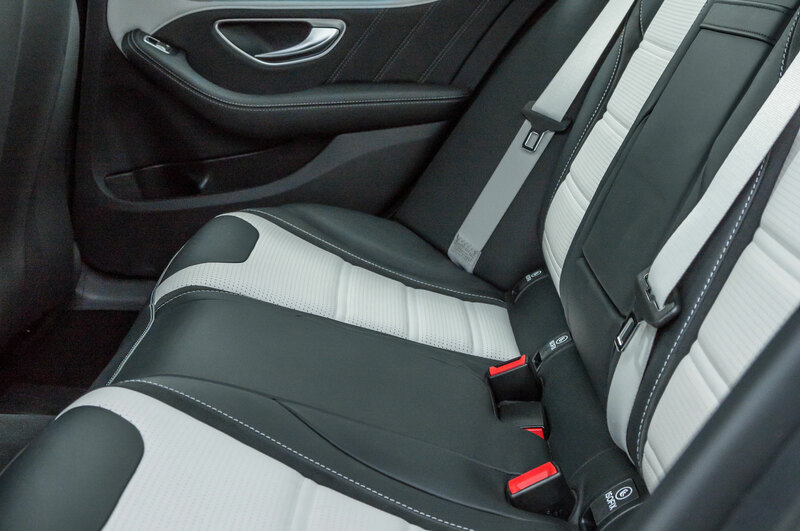 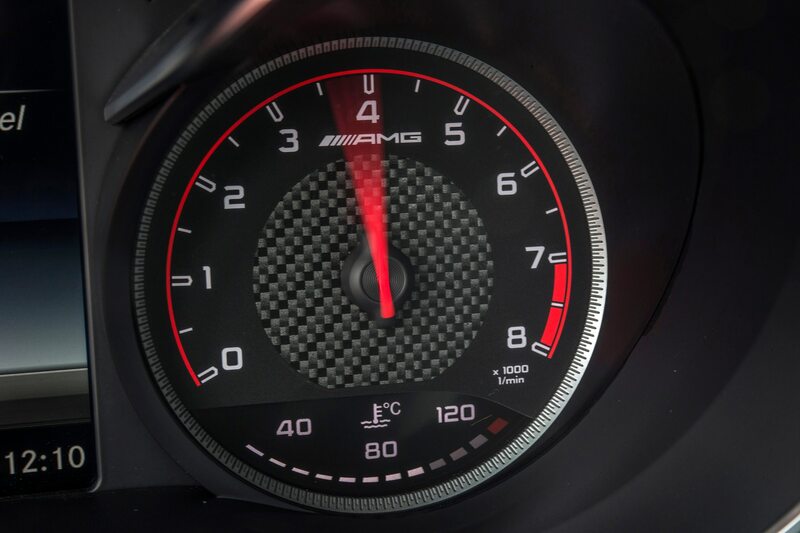 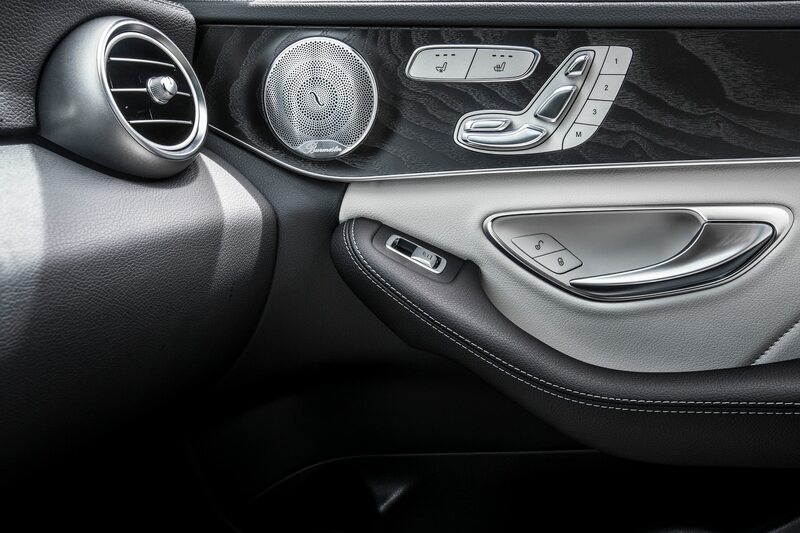 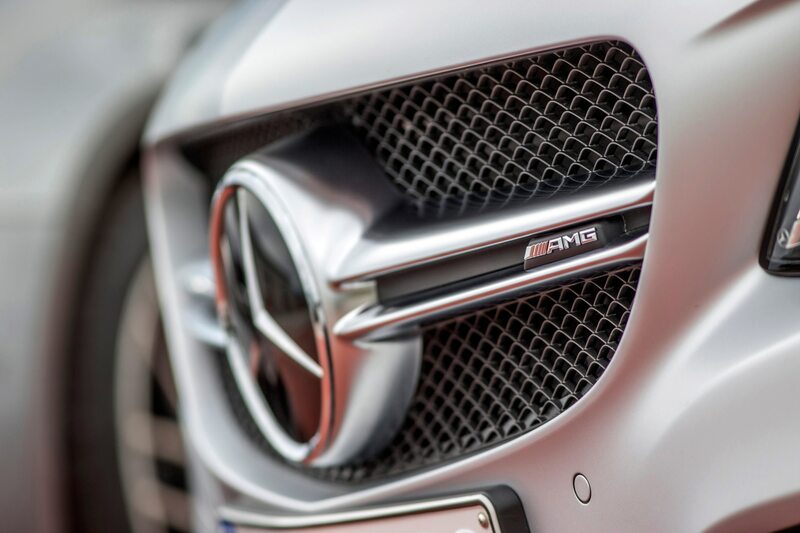 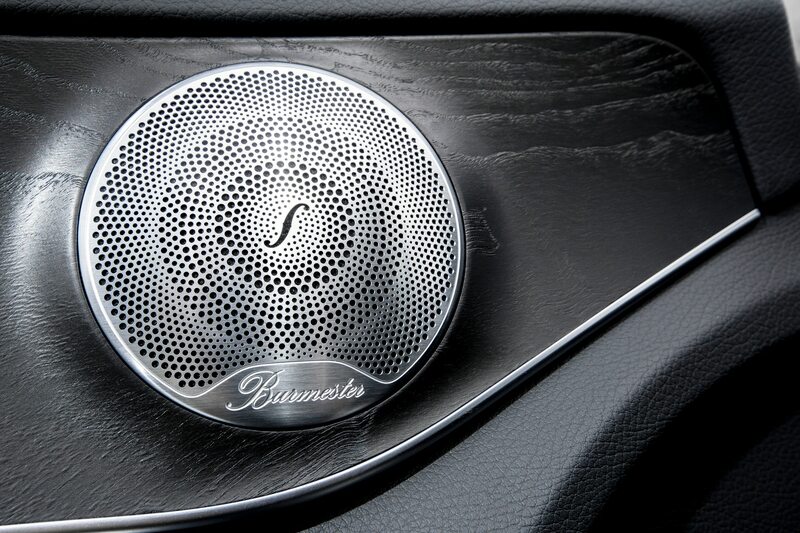 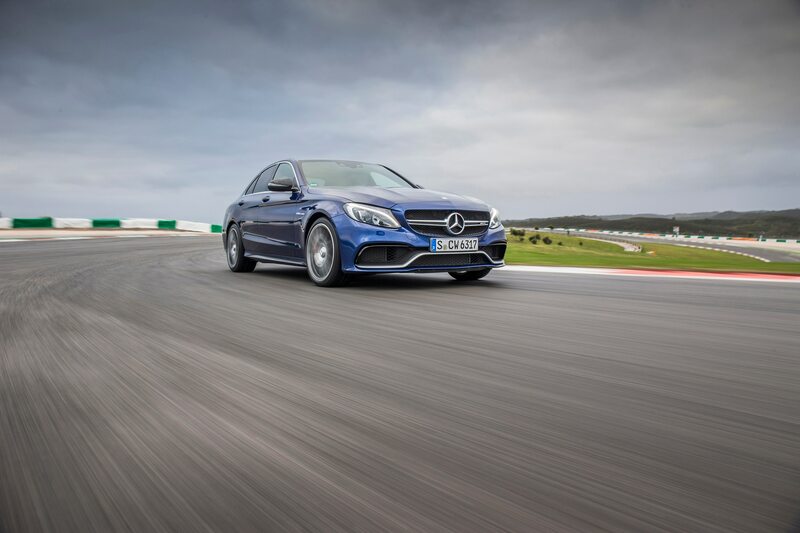 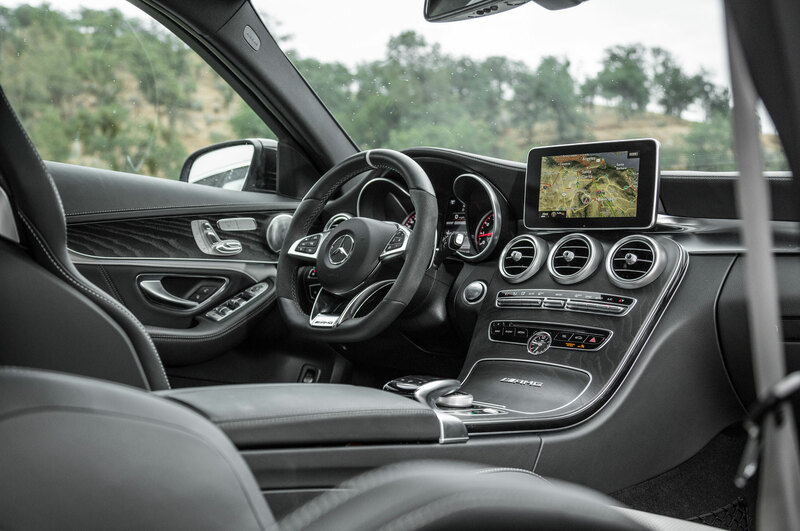 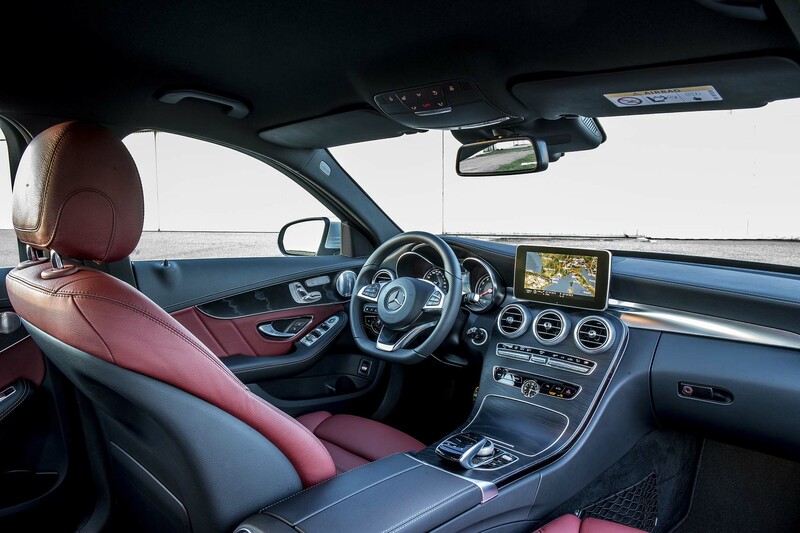 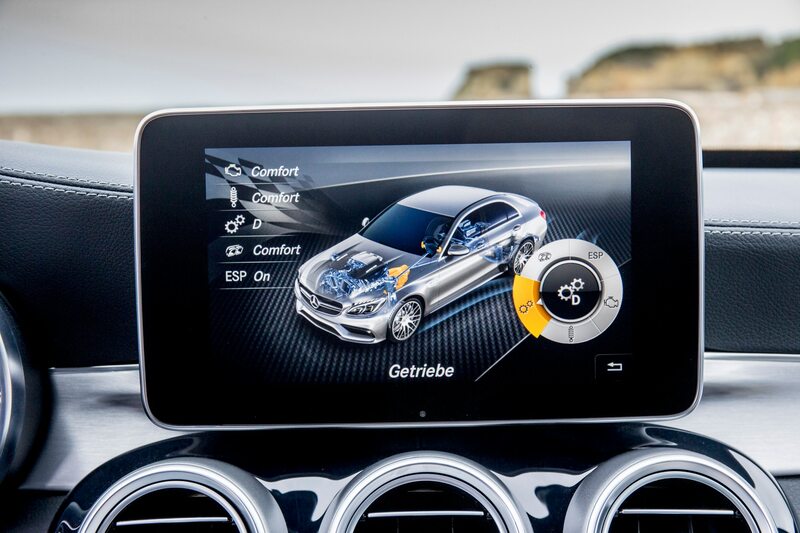 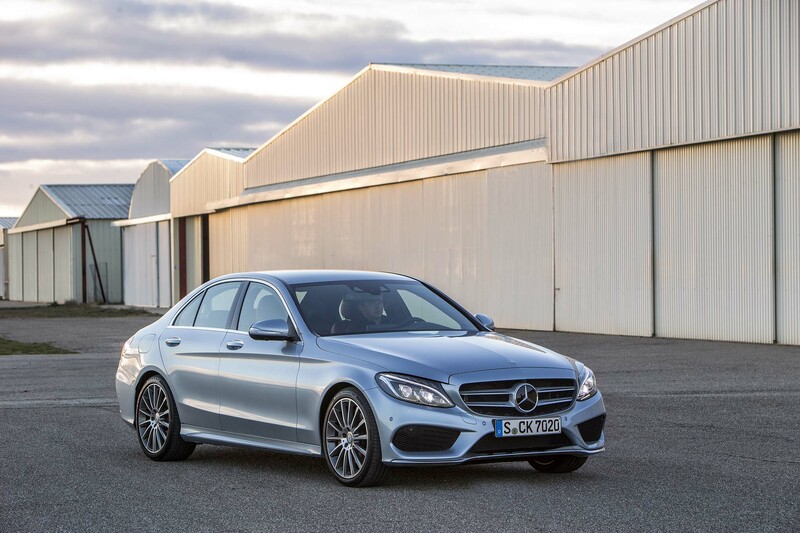 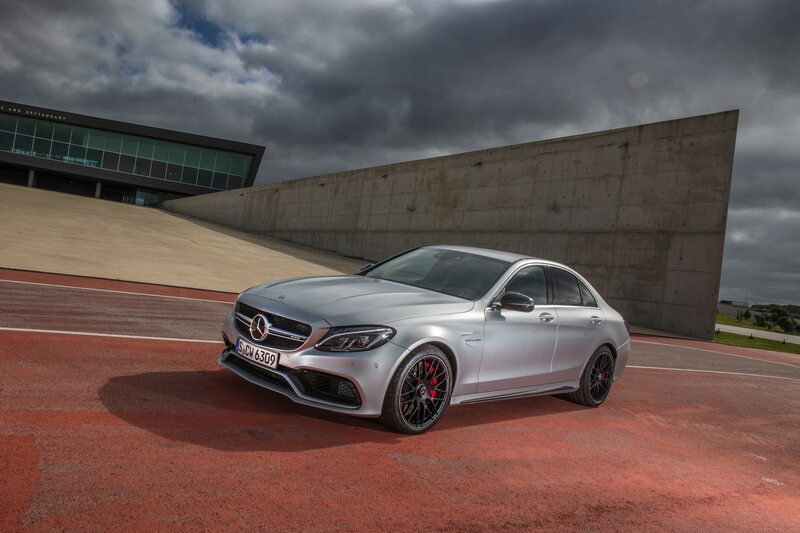 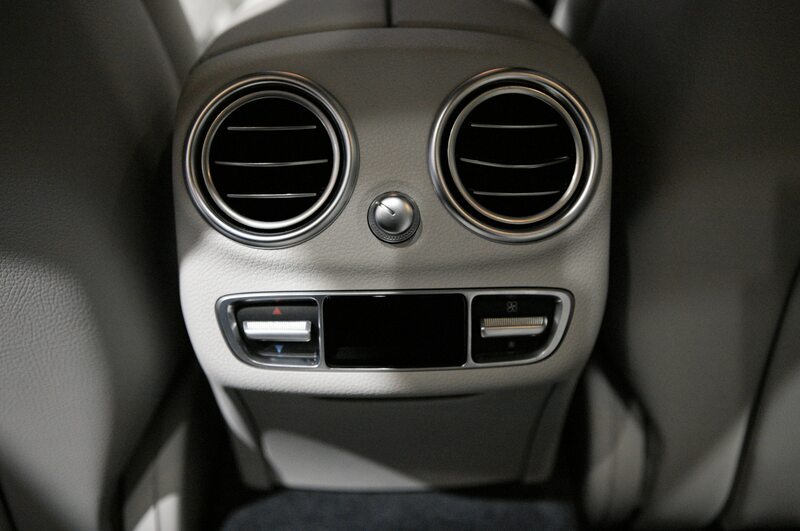 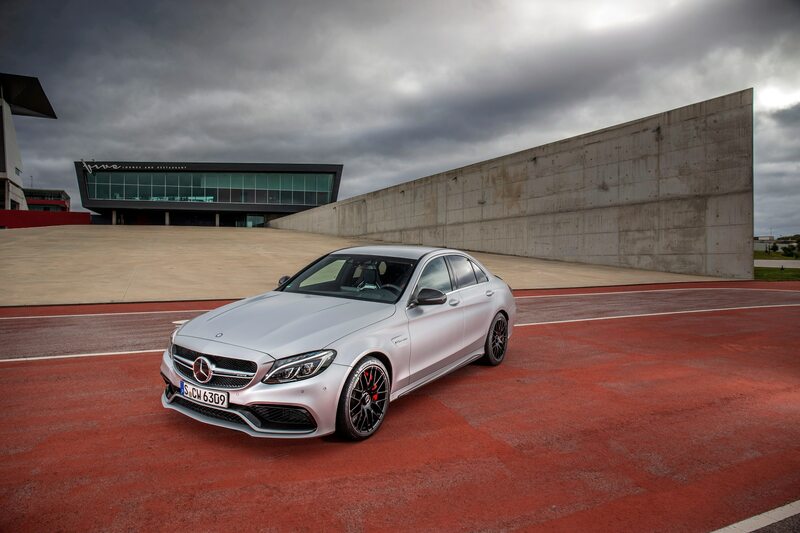 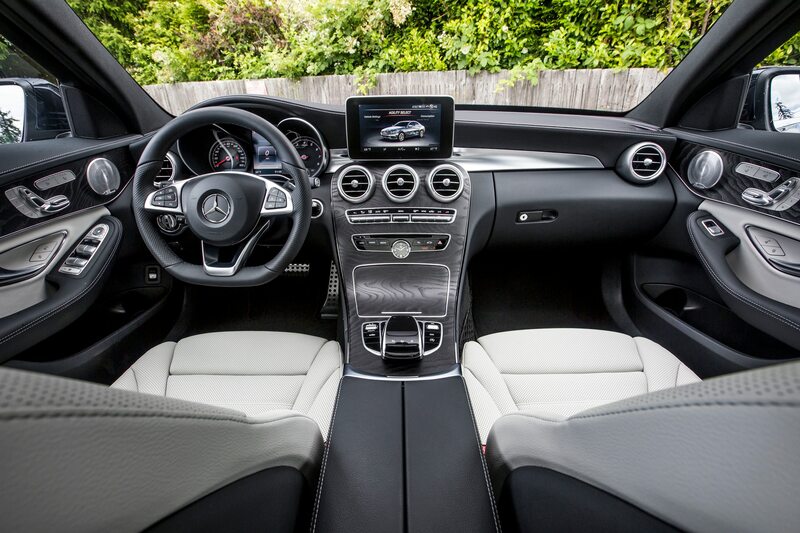 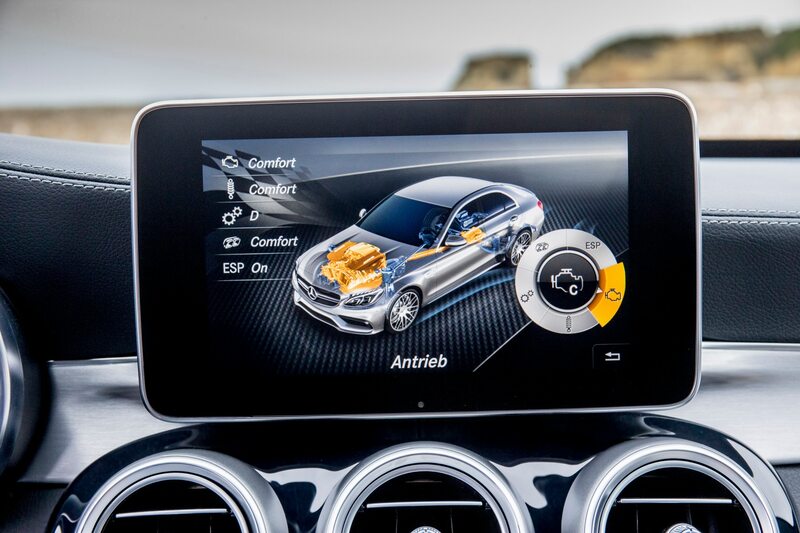 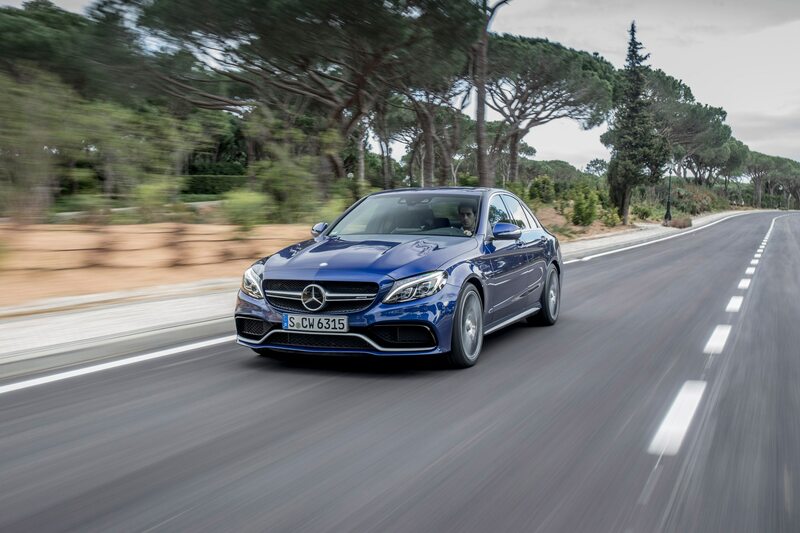 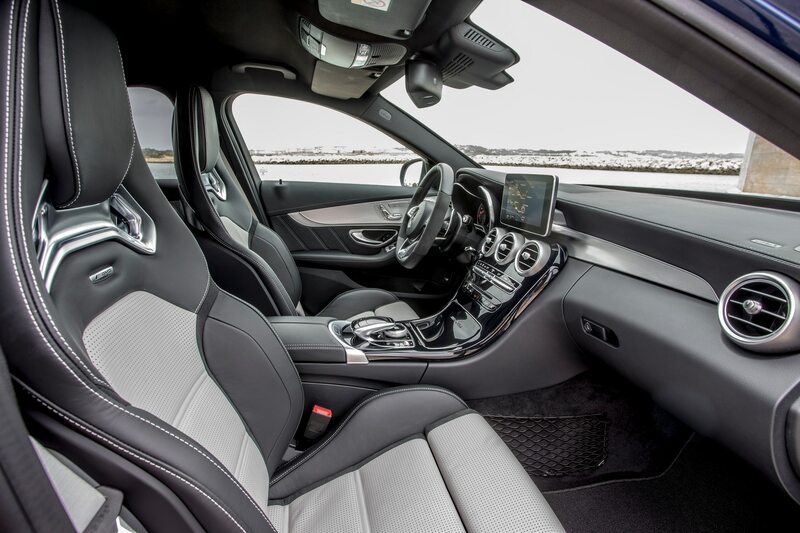 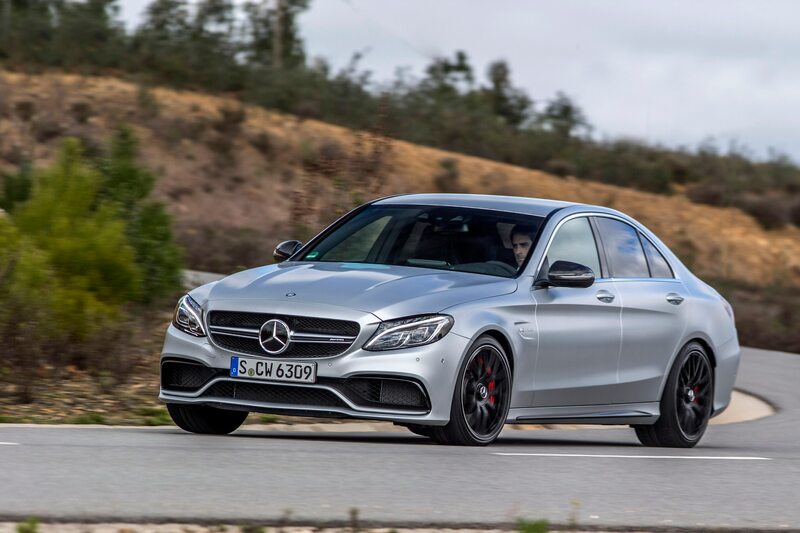 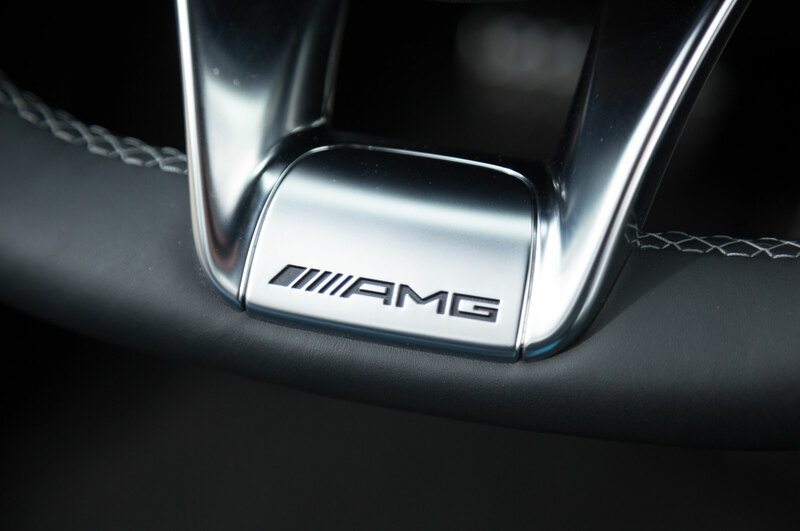 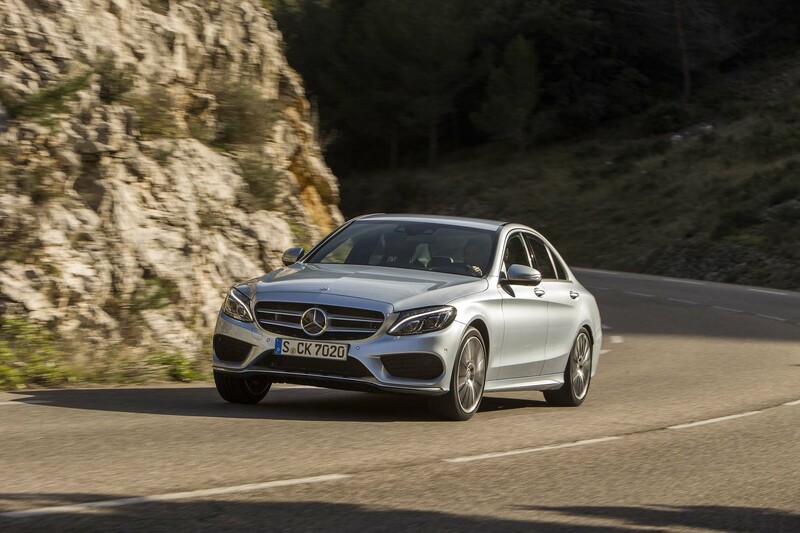 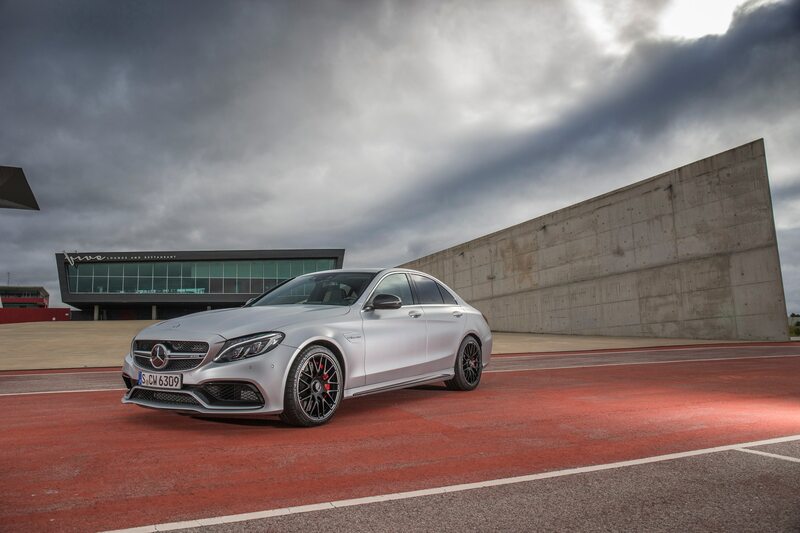 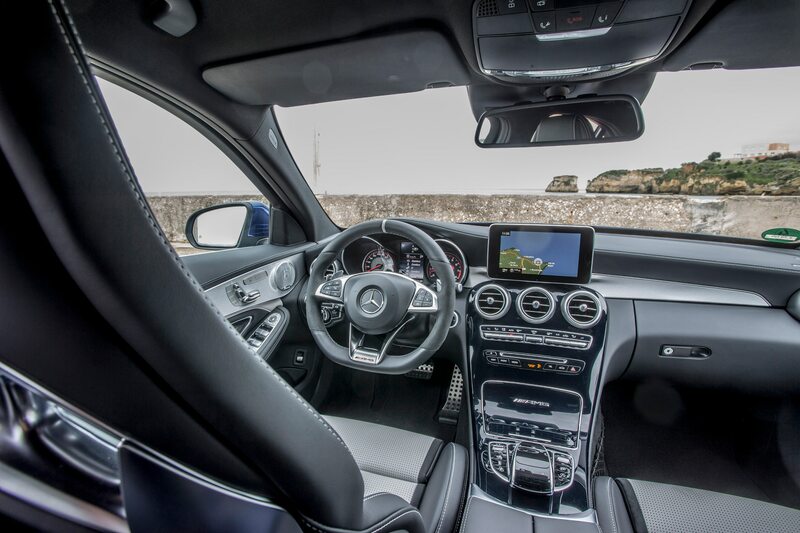 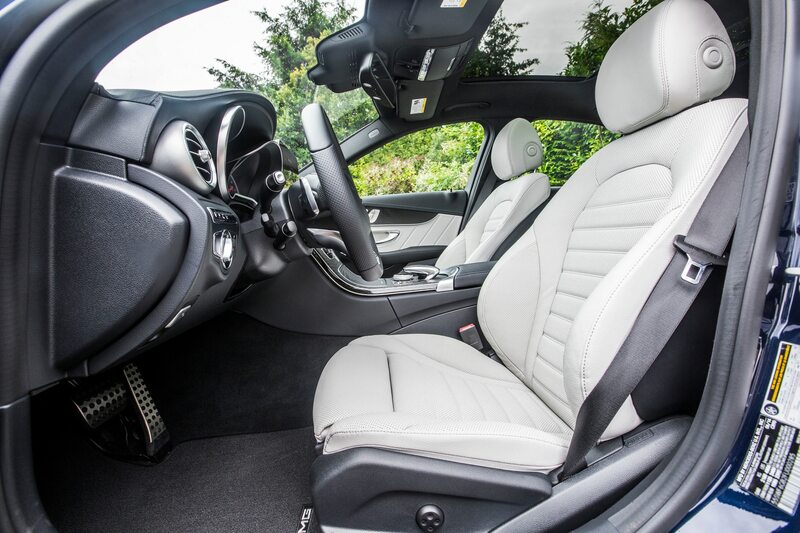 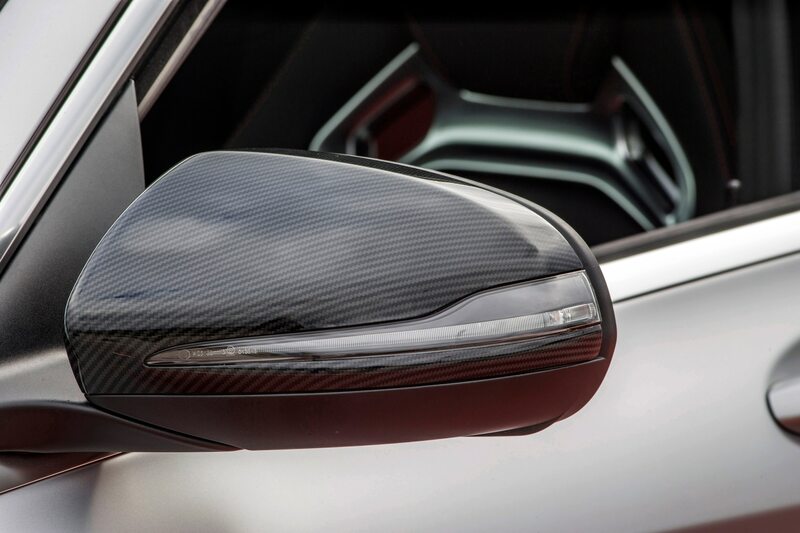 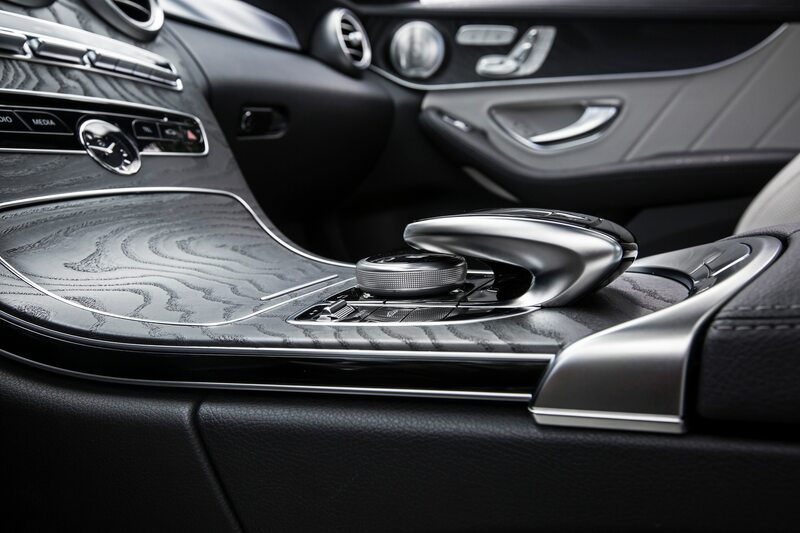 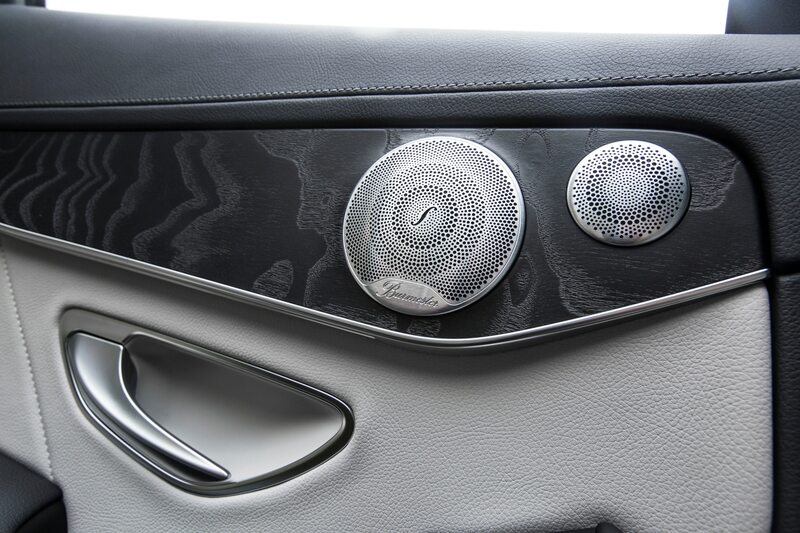 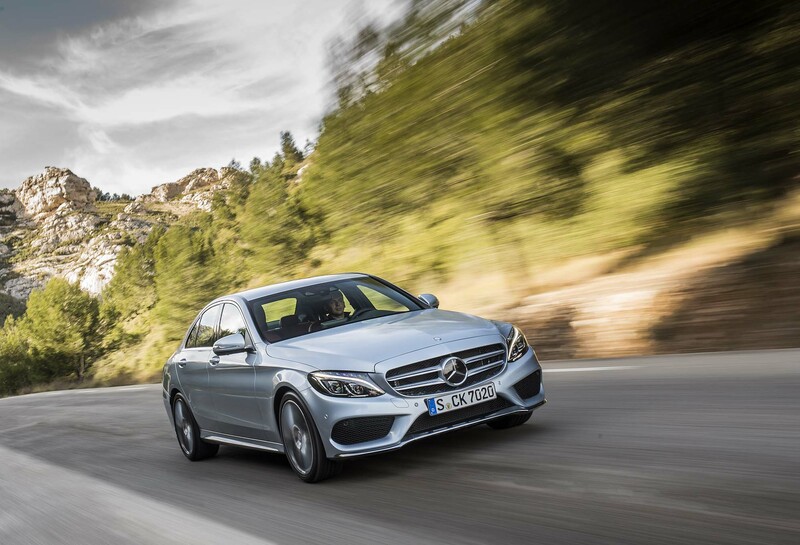 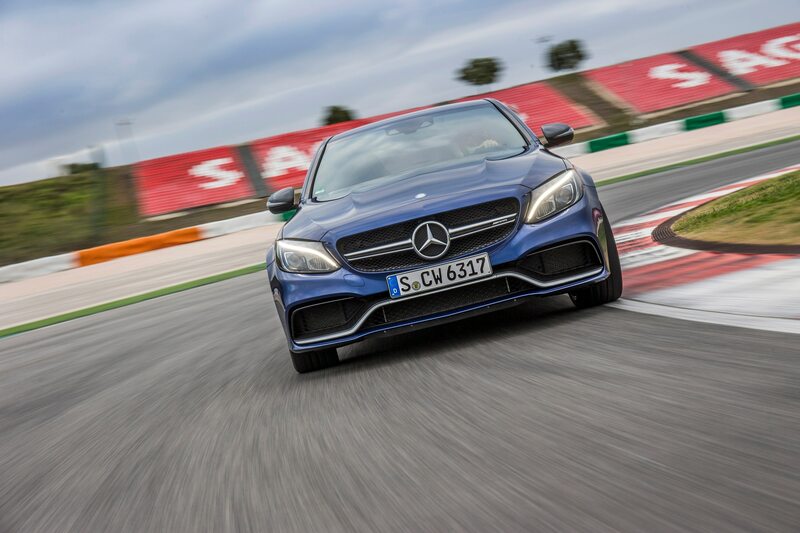 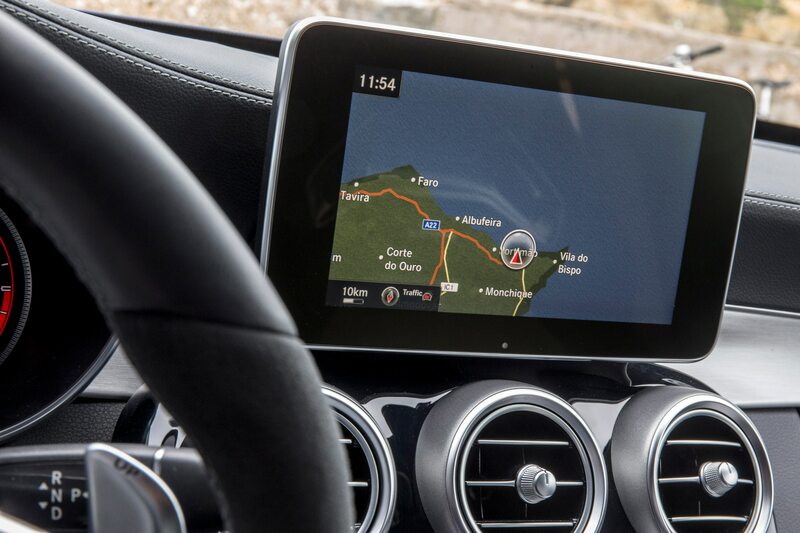 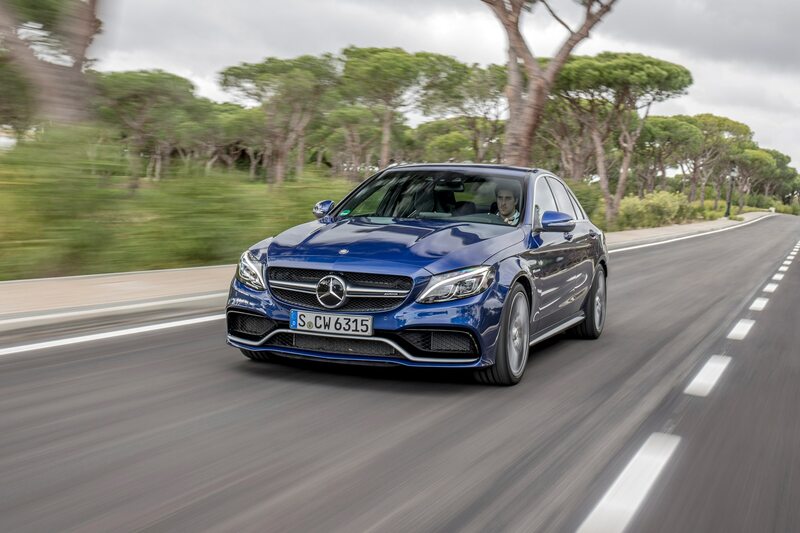 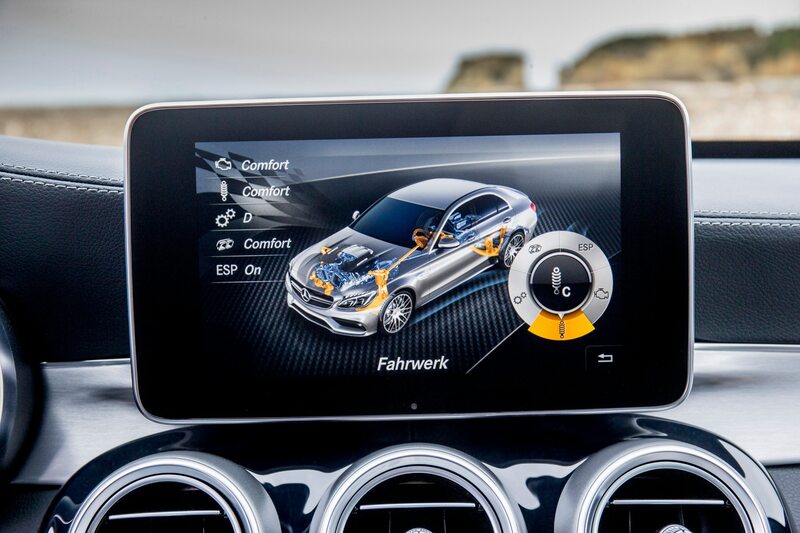 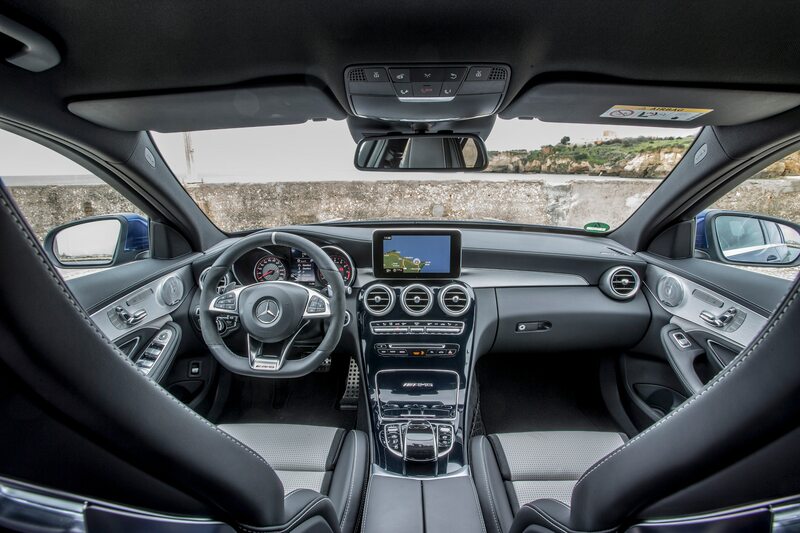 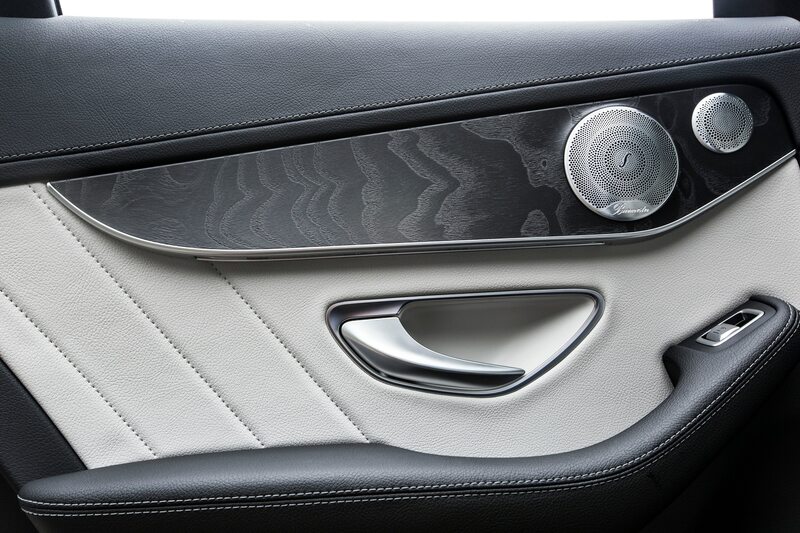 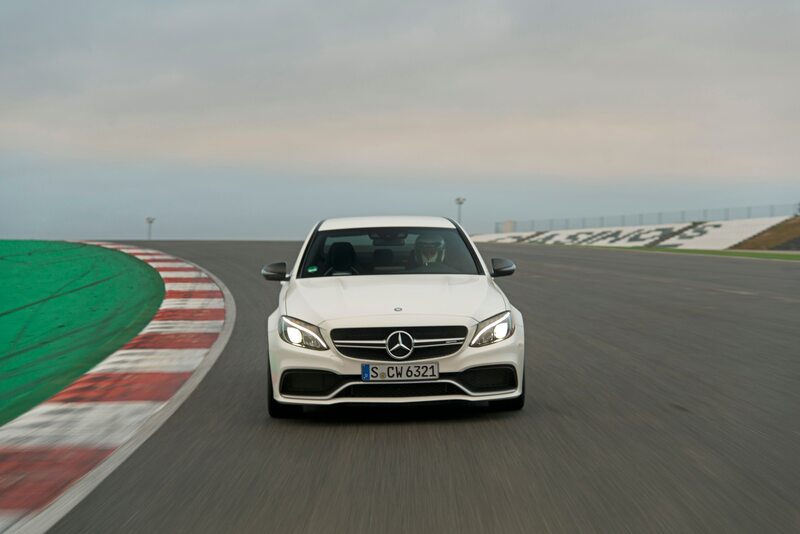 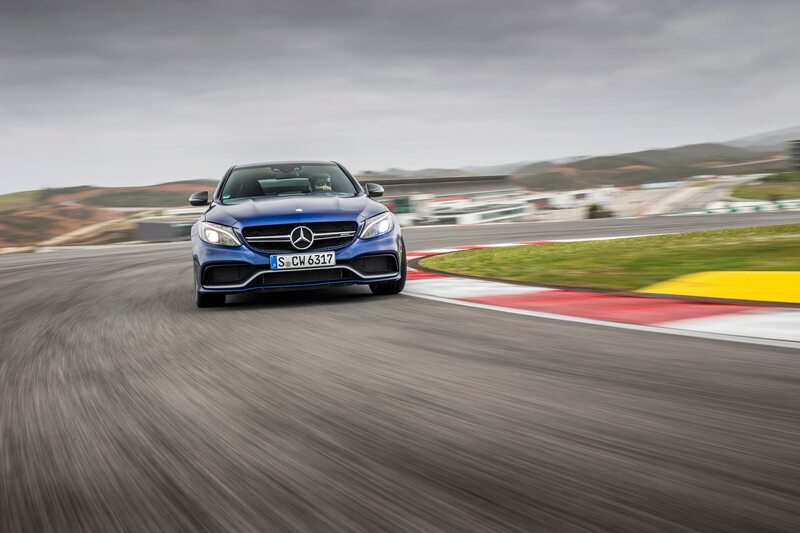 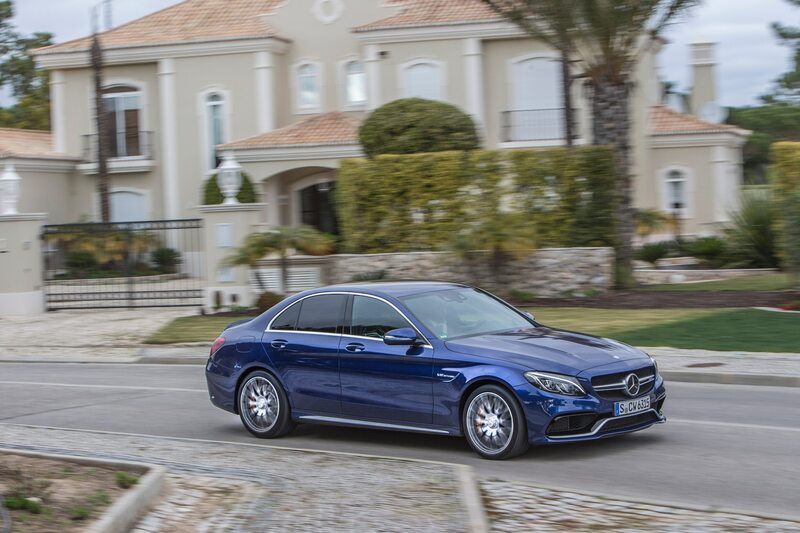 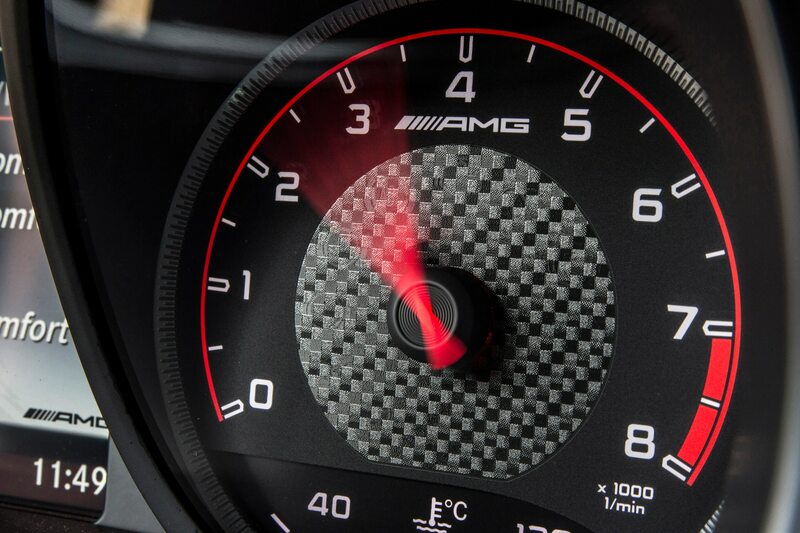 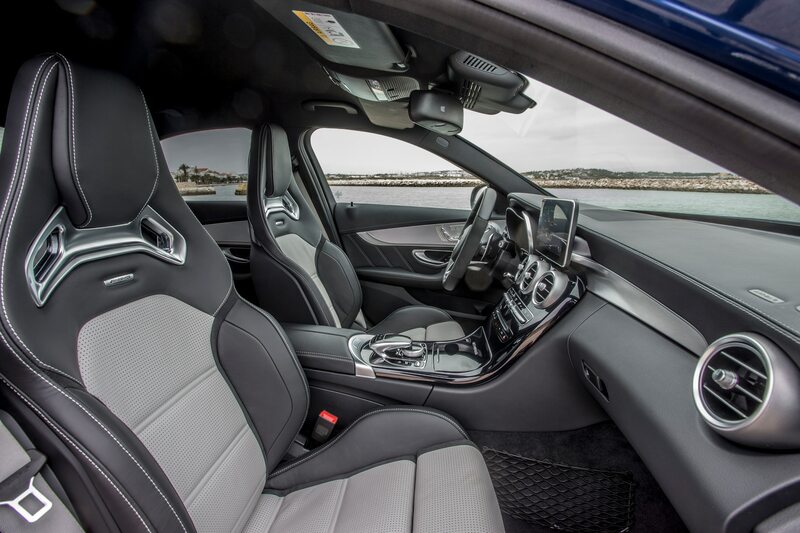 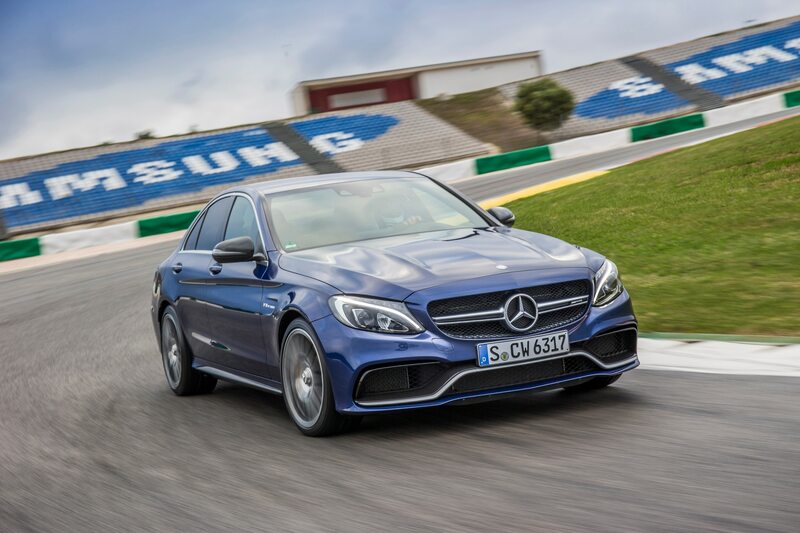 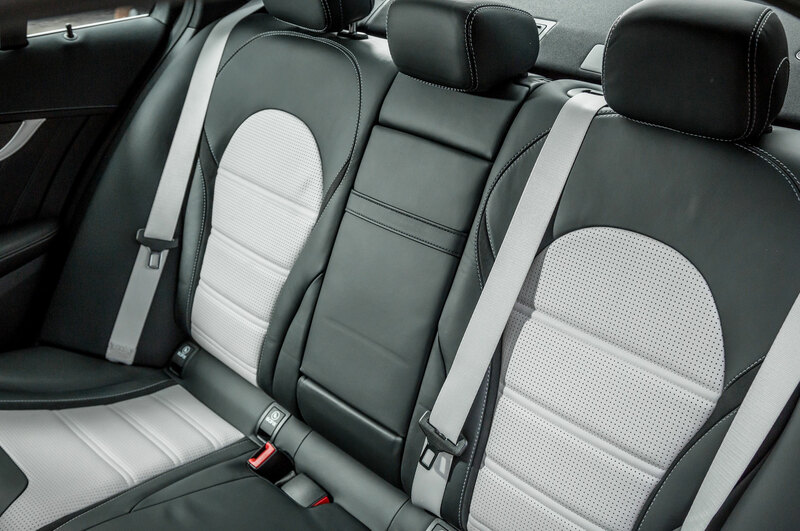 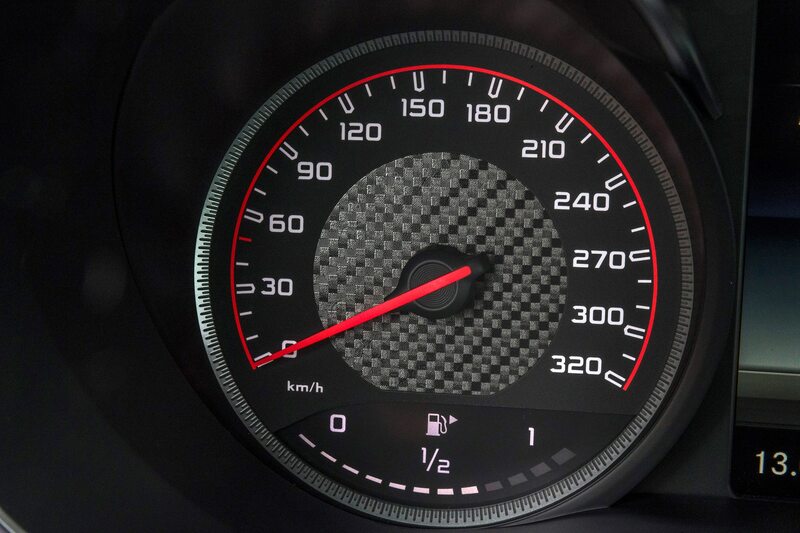 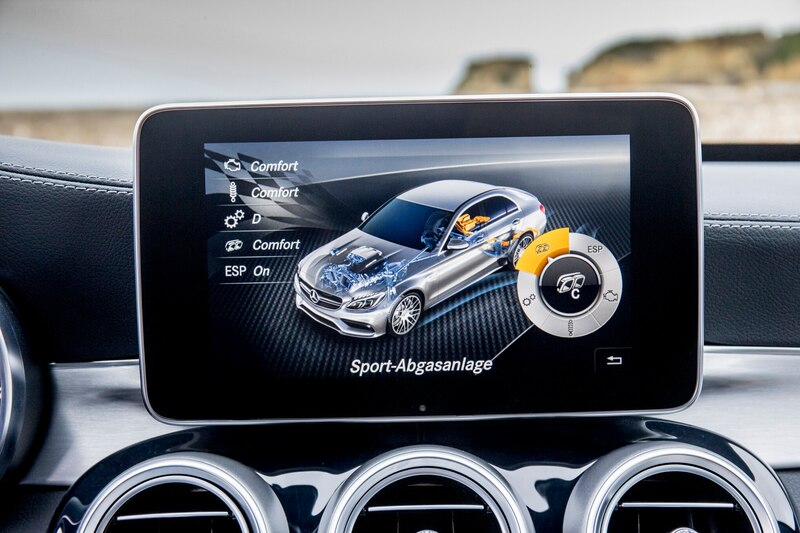 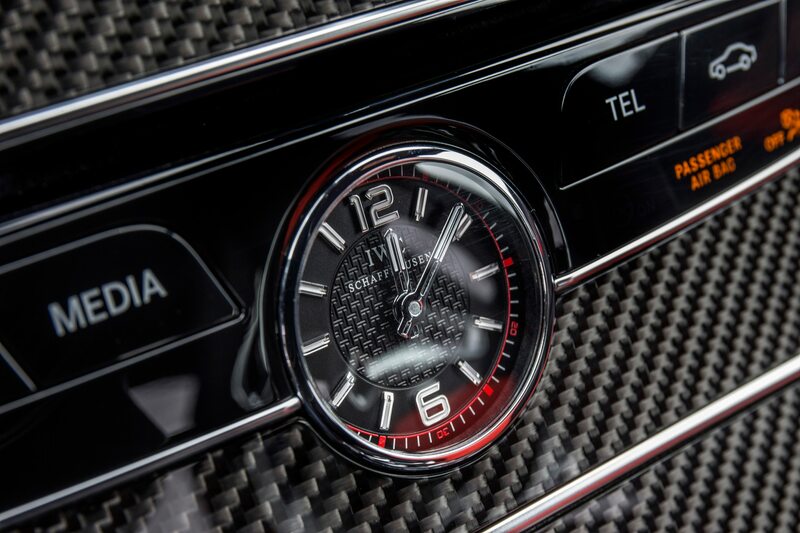 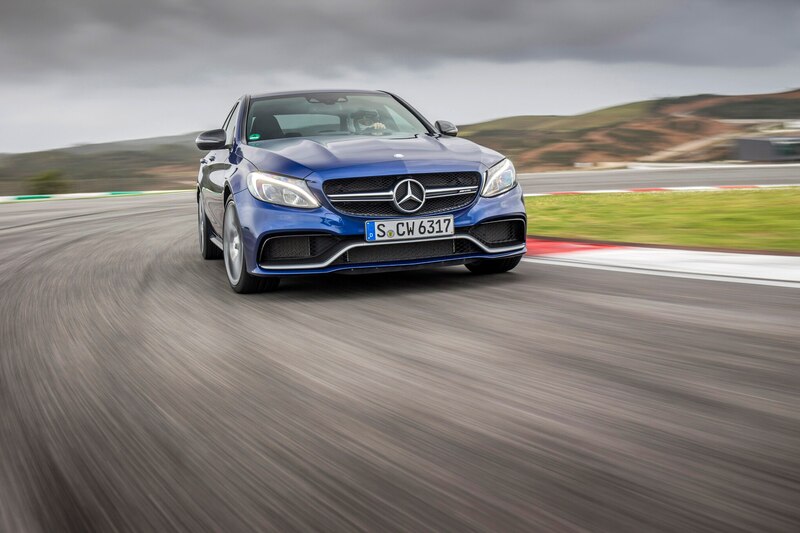 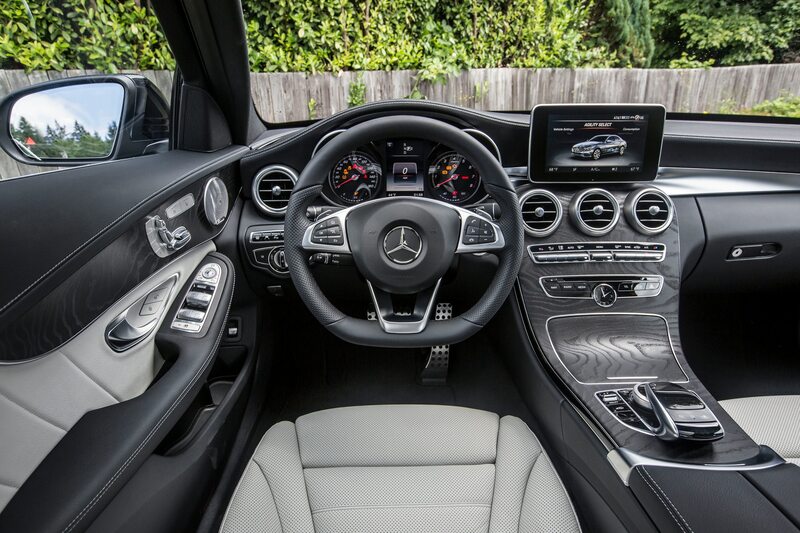 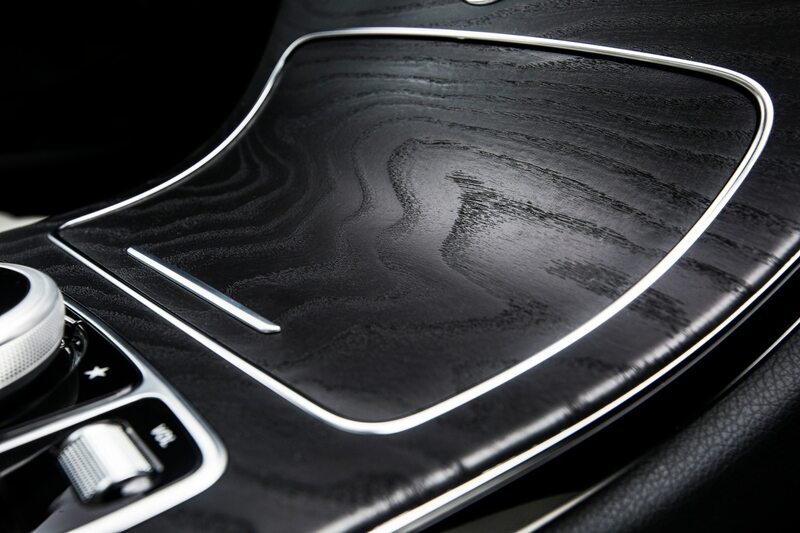 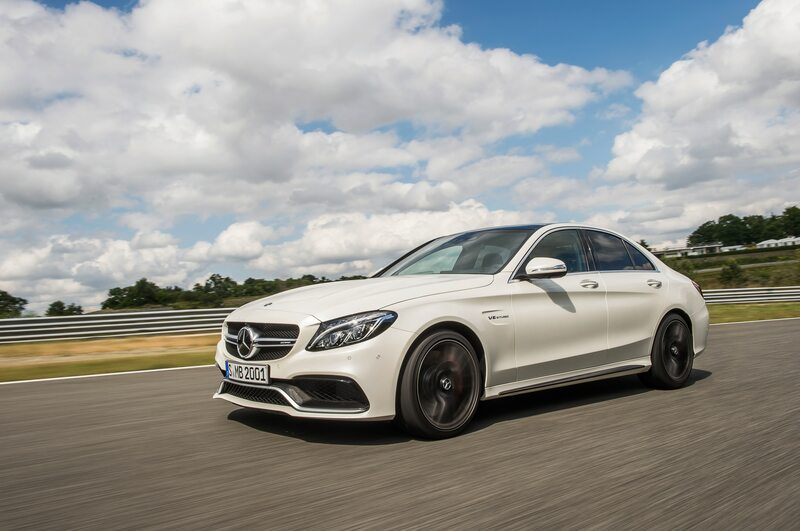 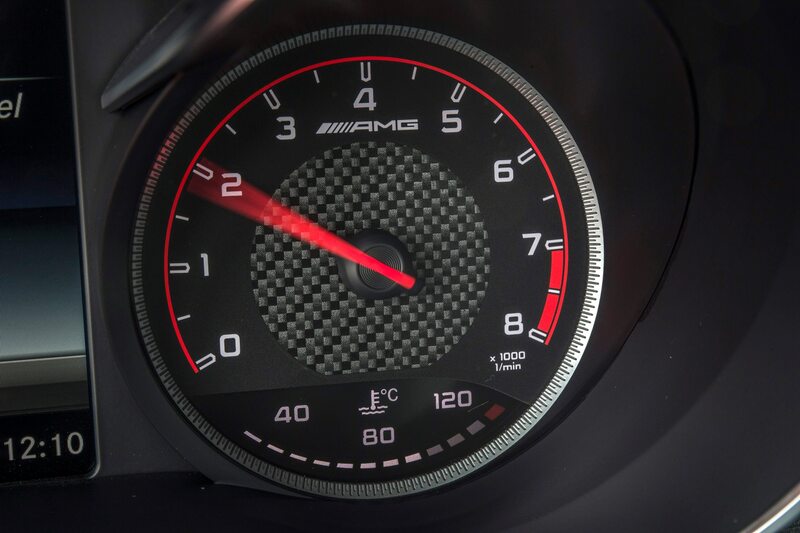 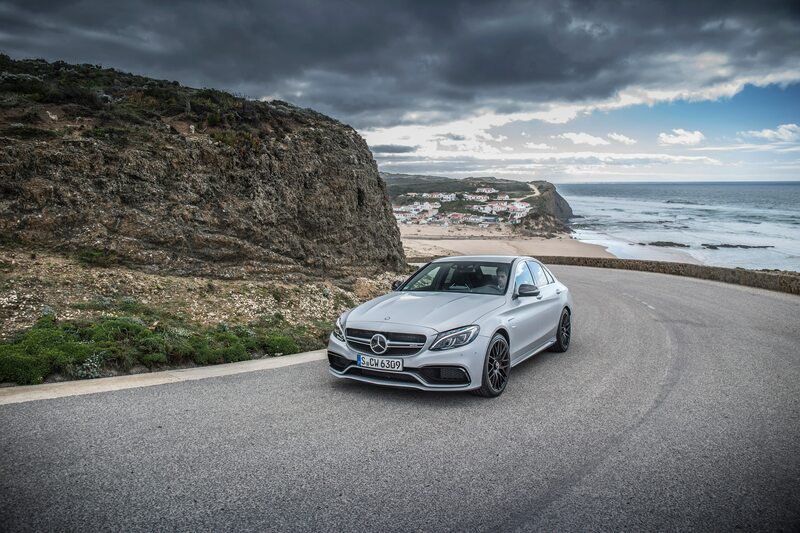 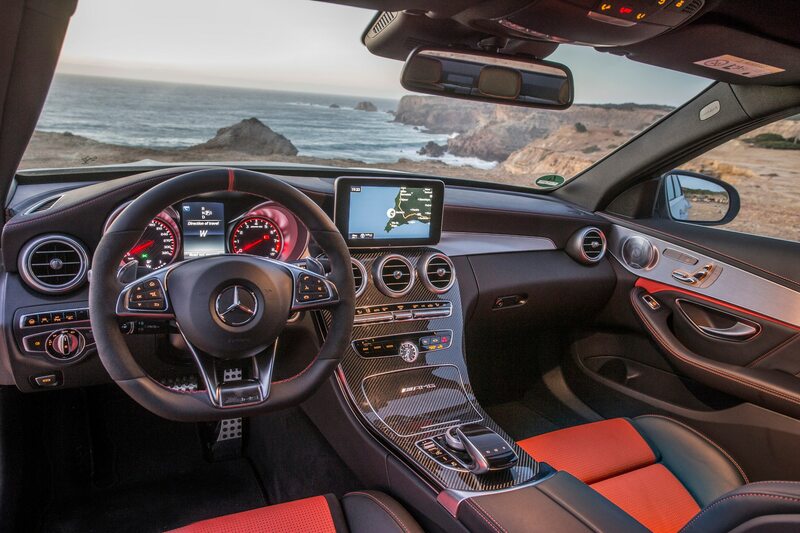 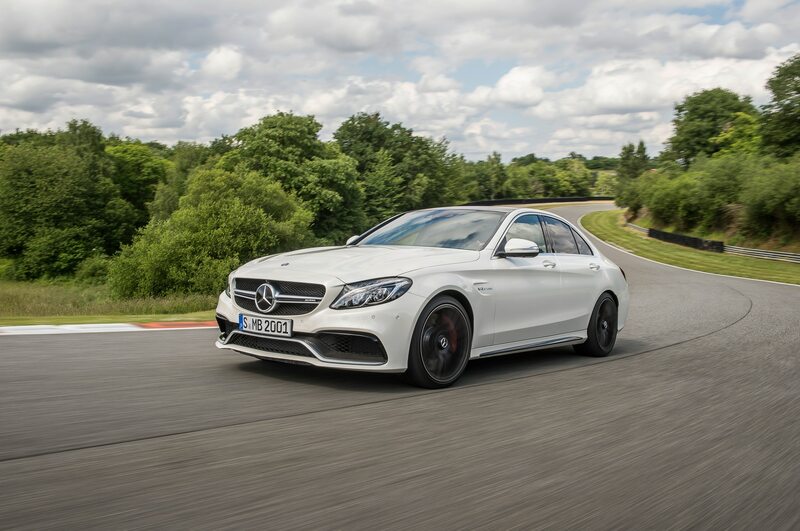 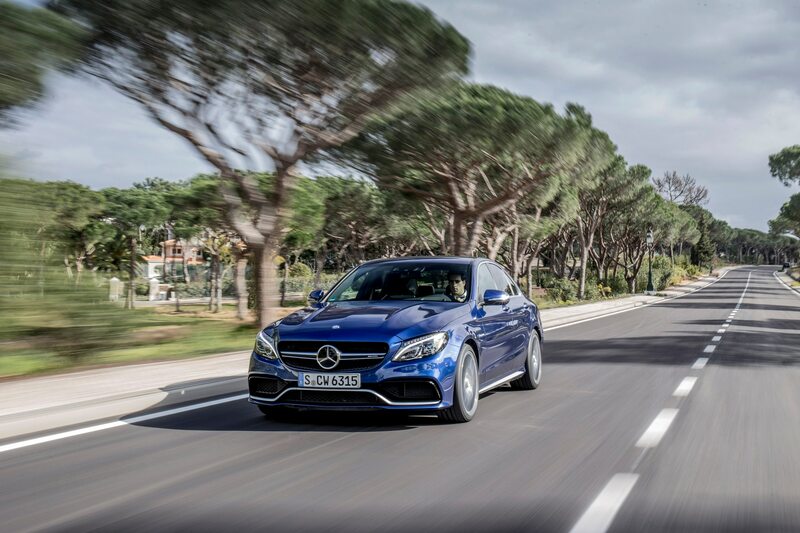 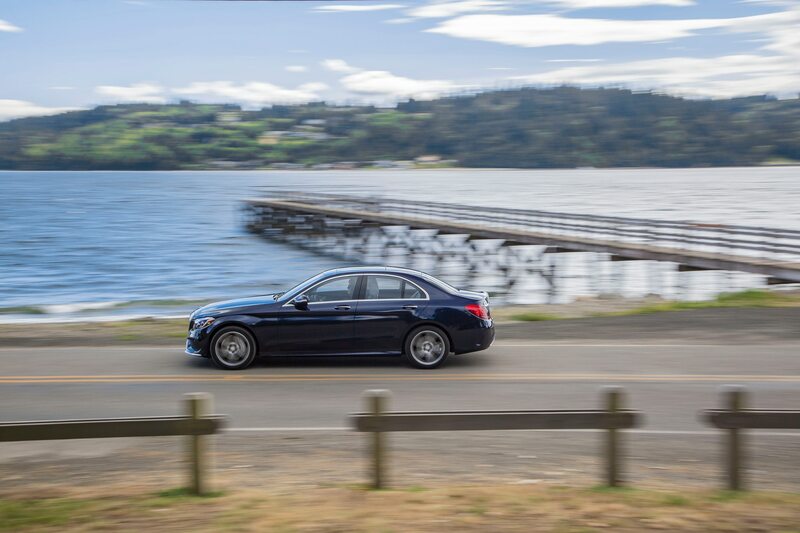 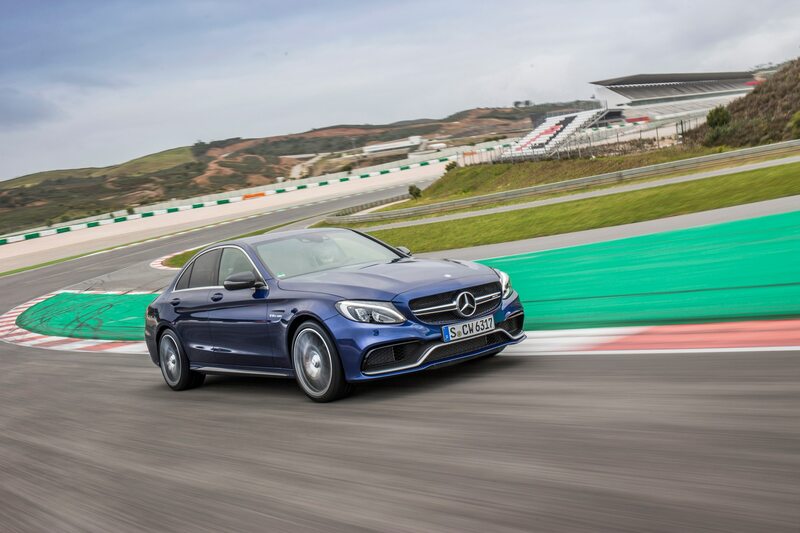 Earlier teases revealed that in the car’s interior, the Comand infotainment system, as well as other switches and buttons, all carry over from the existing four-door Mercedes-AMG C63. 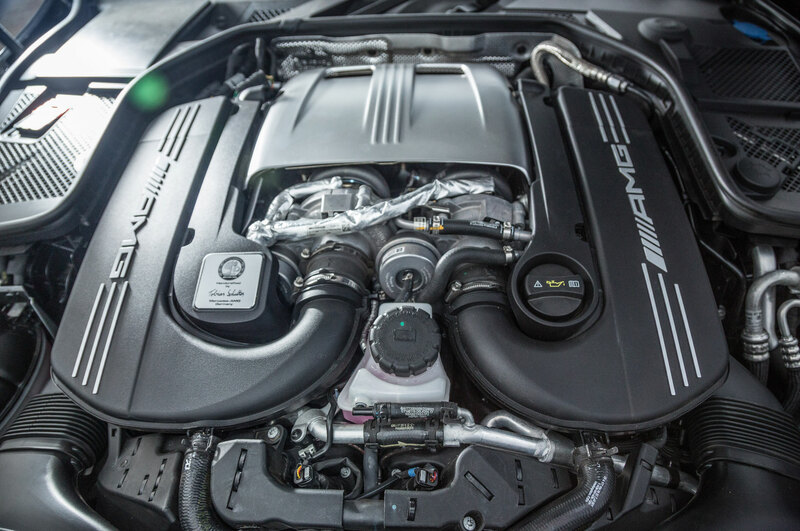 The Mercedes-AMG C63 coupe will likely be motivated by the same 4.0-liter twin-turbo V-8 as the sedan, which pushes out 469 hp and 479 lb-ft of torque. 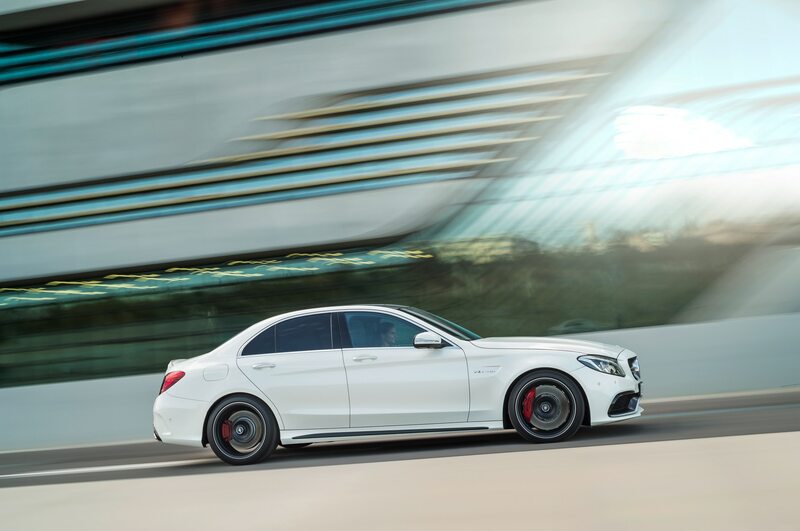 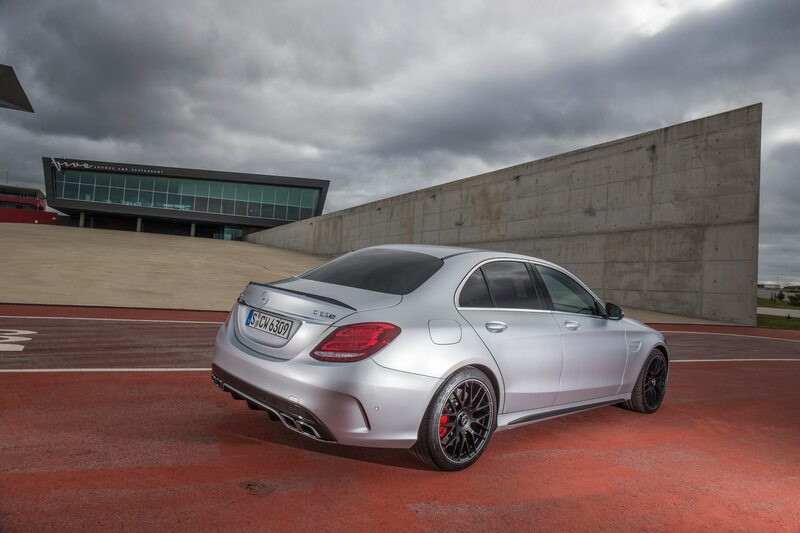 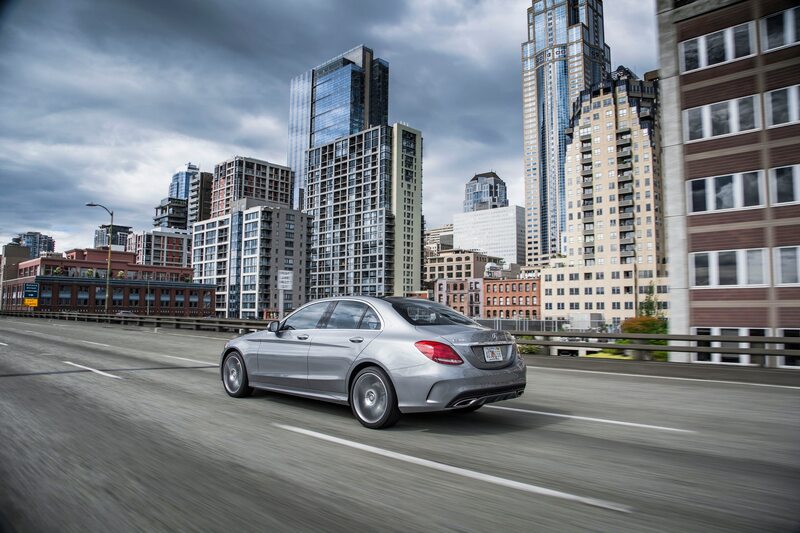 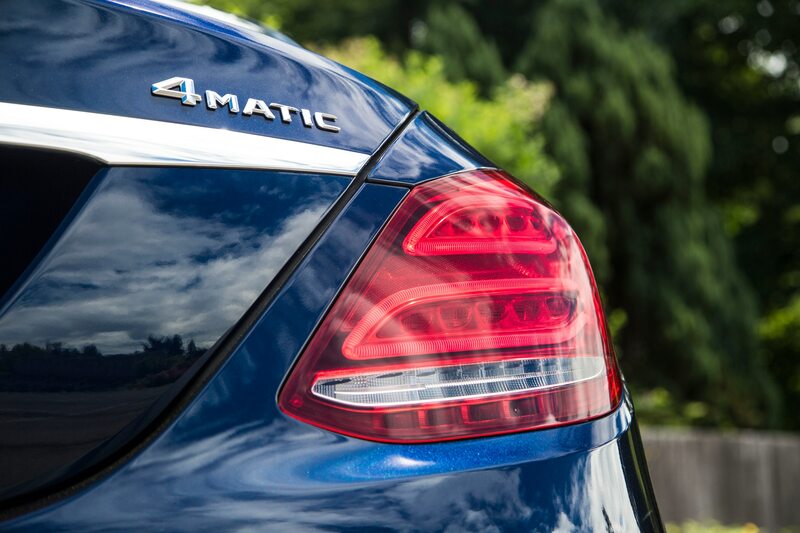 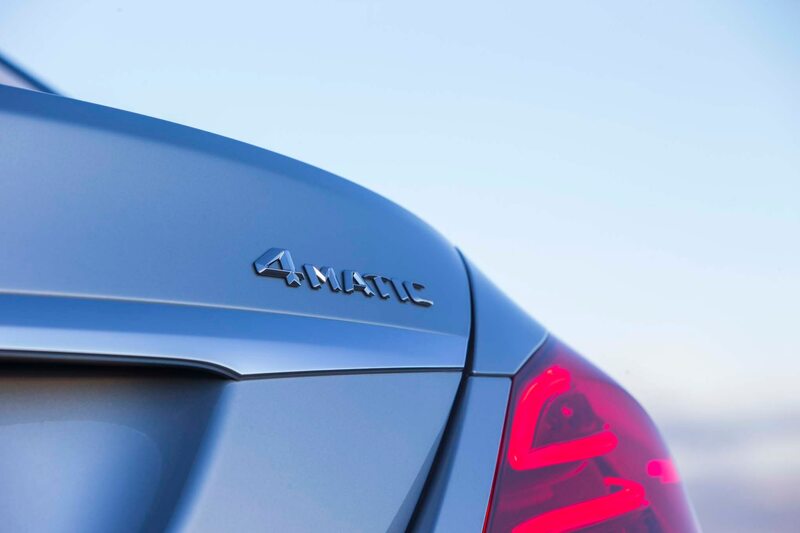 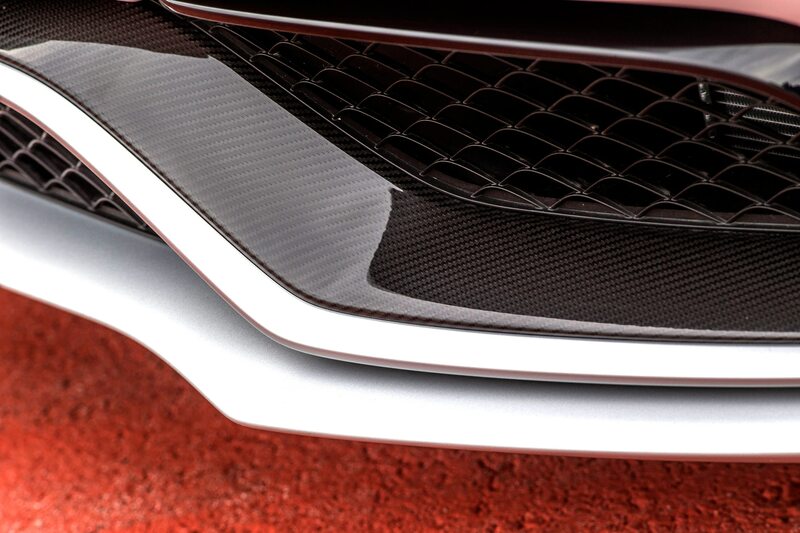 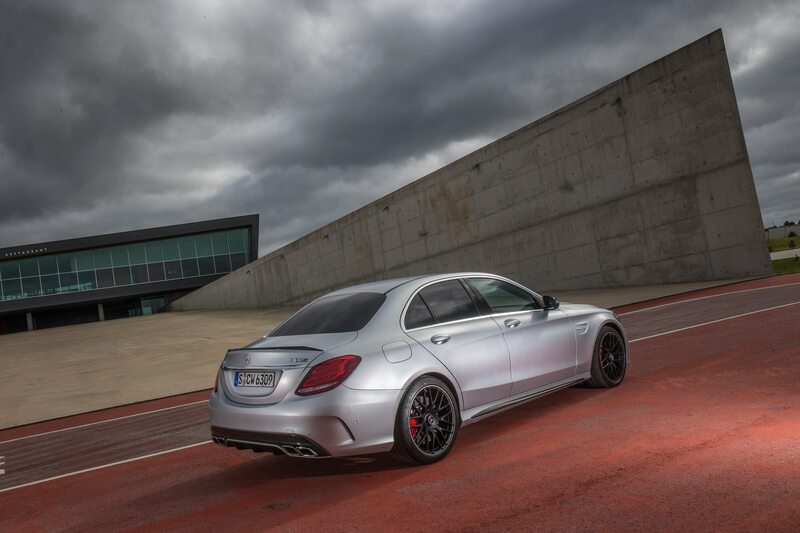 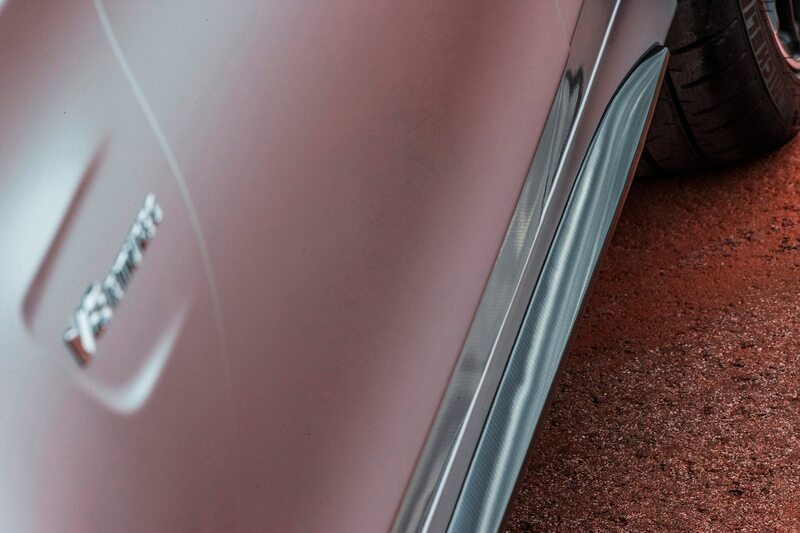 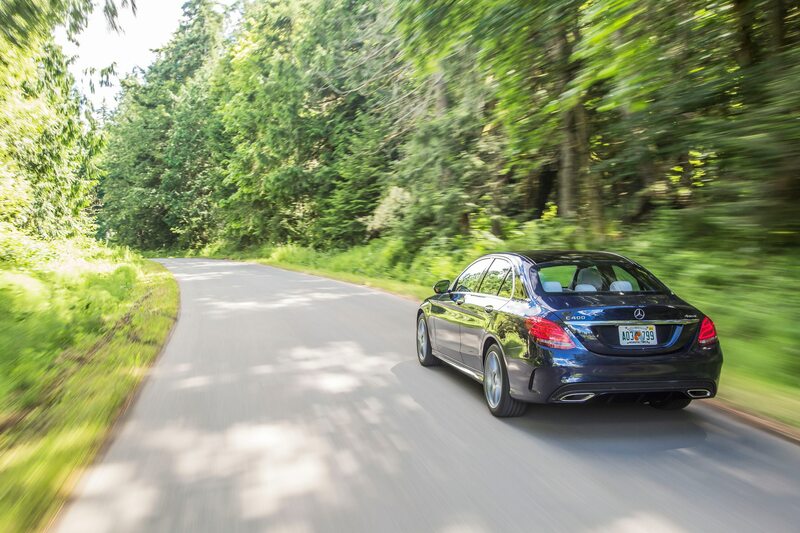 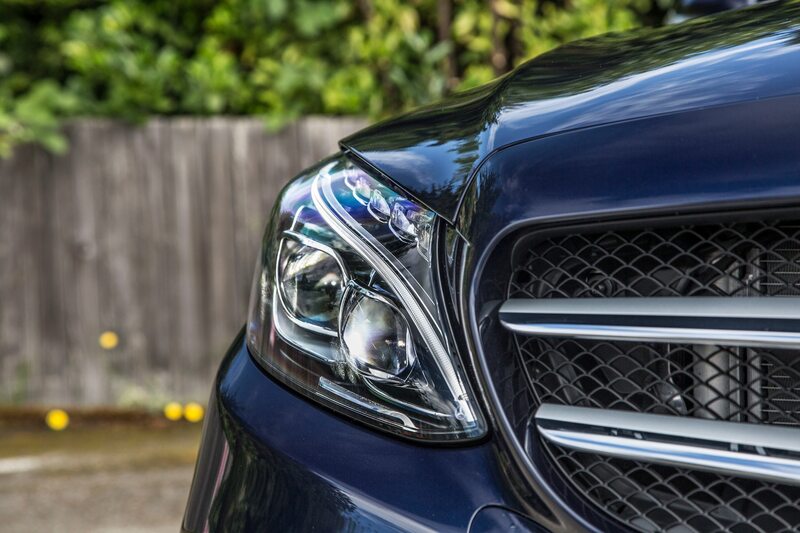 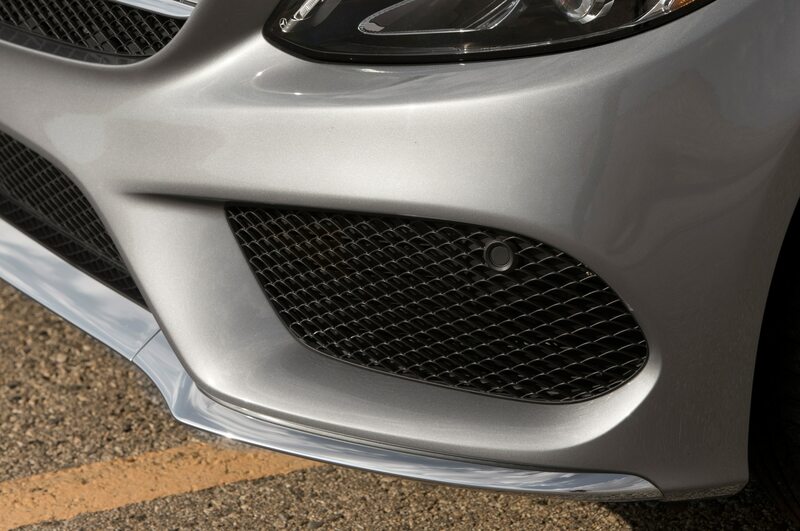 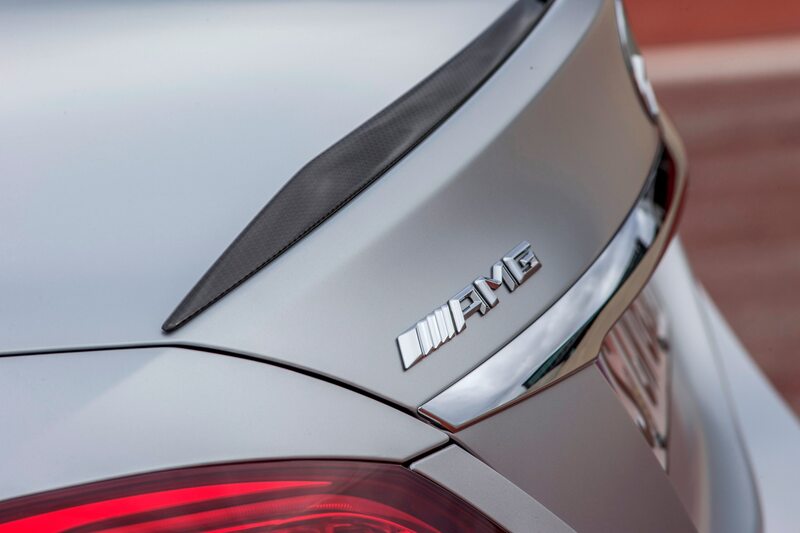 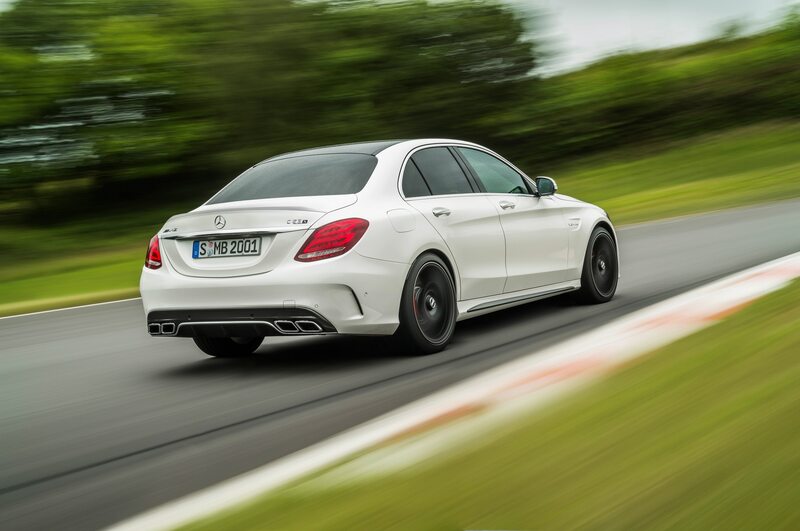 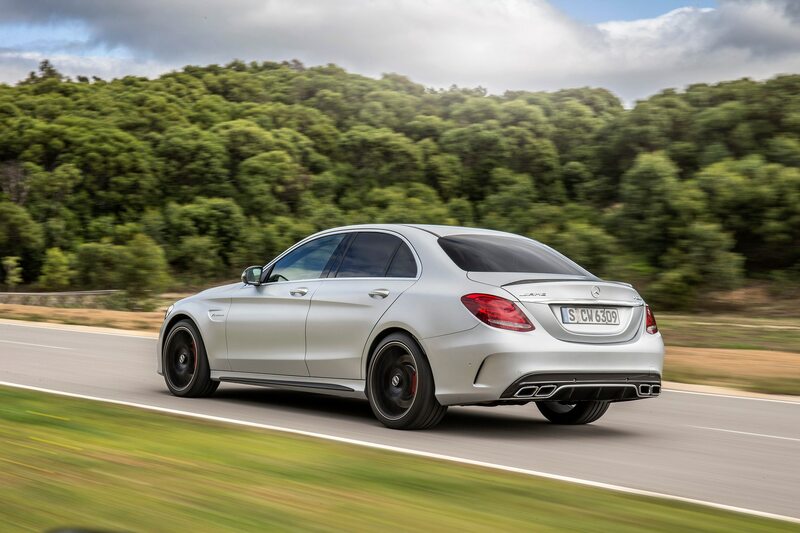 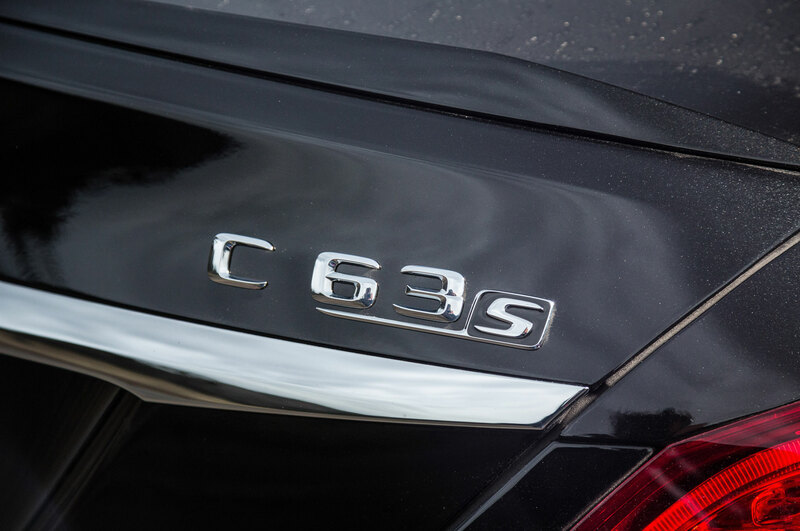 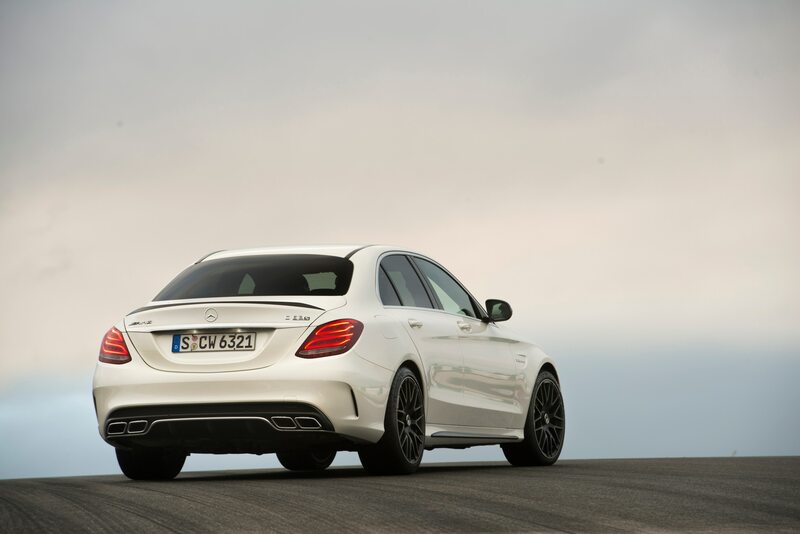 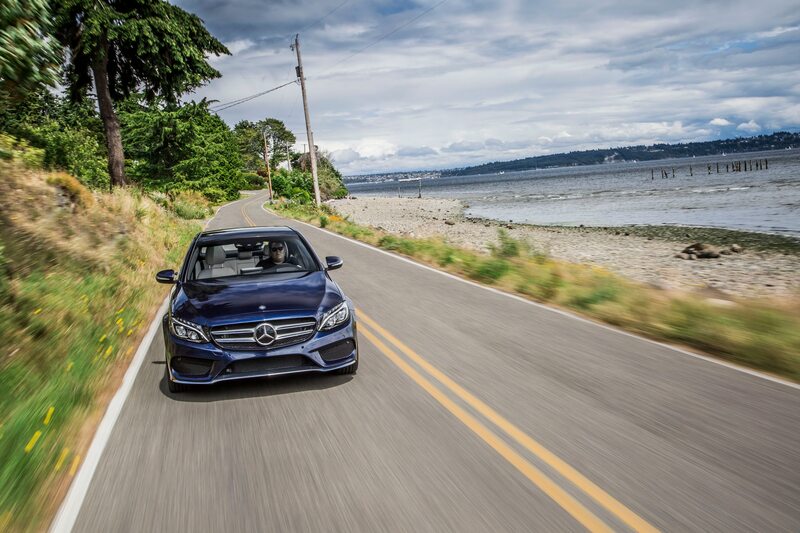 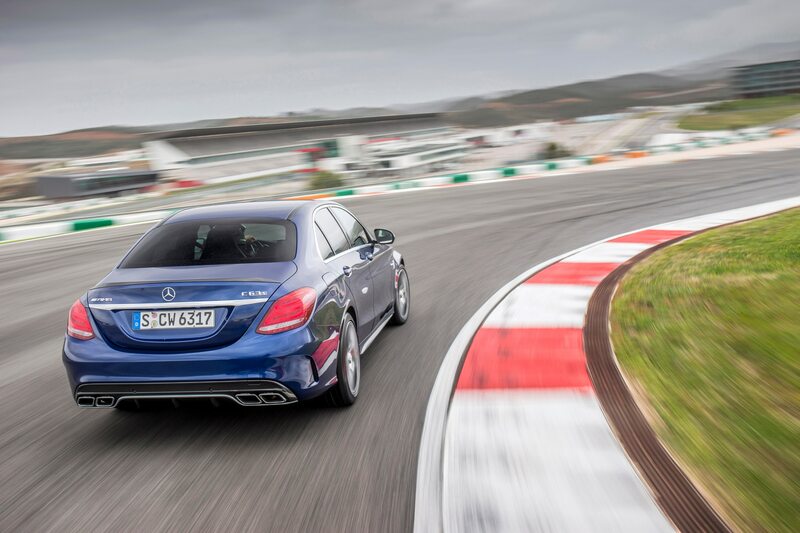 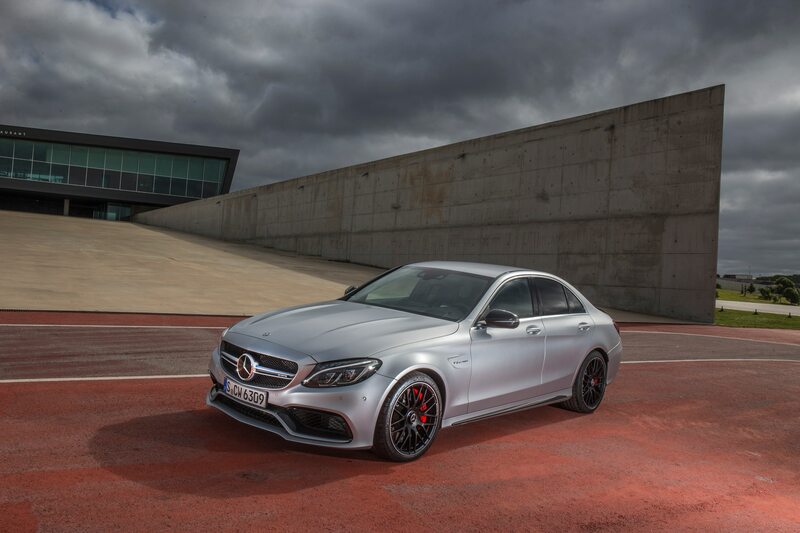 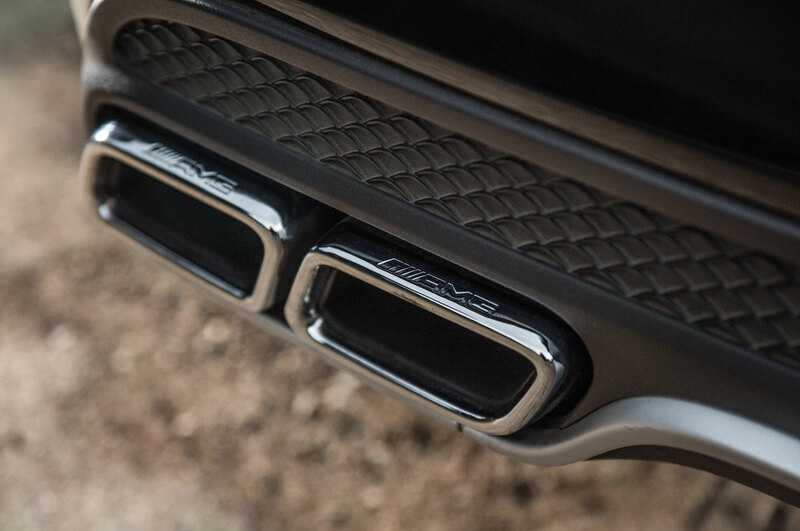 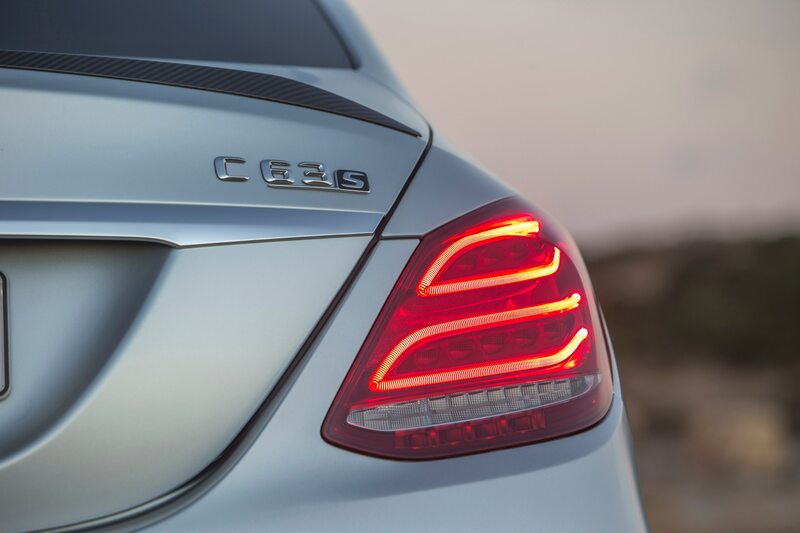 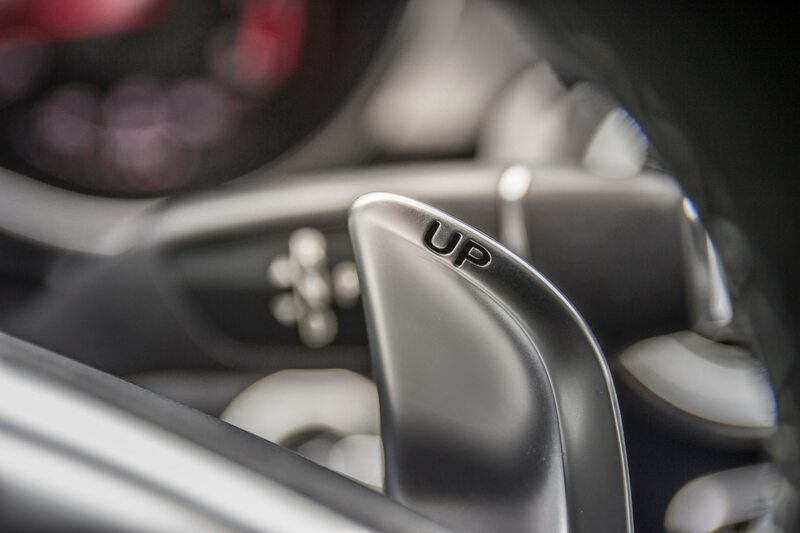 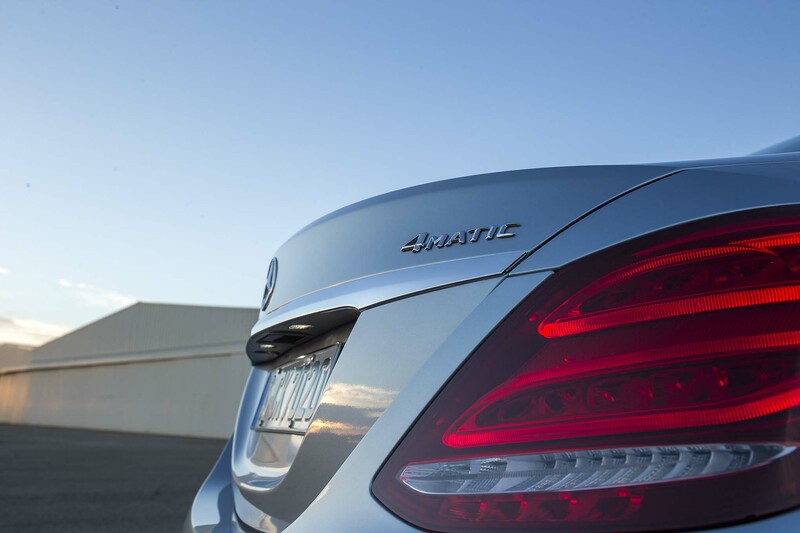 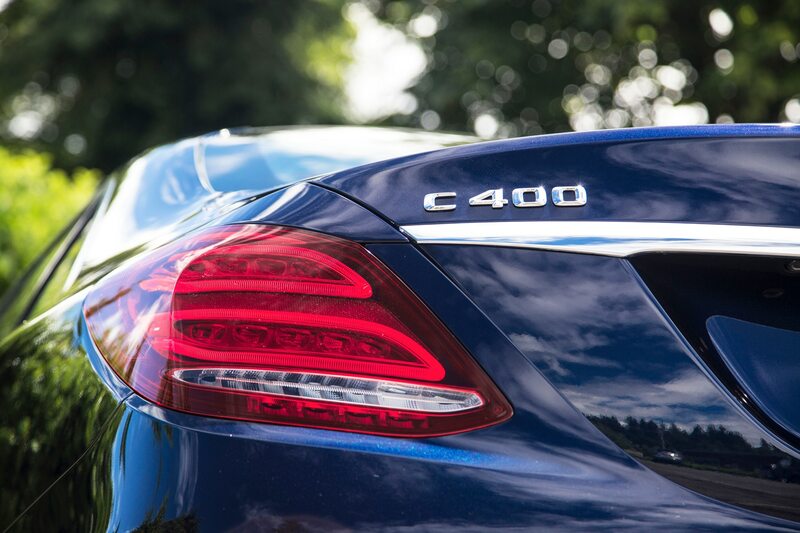 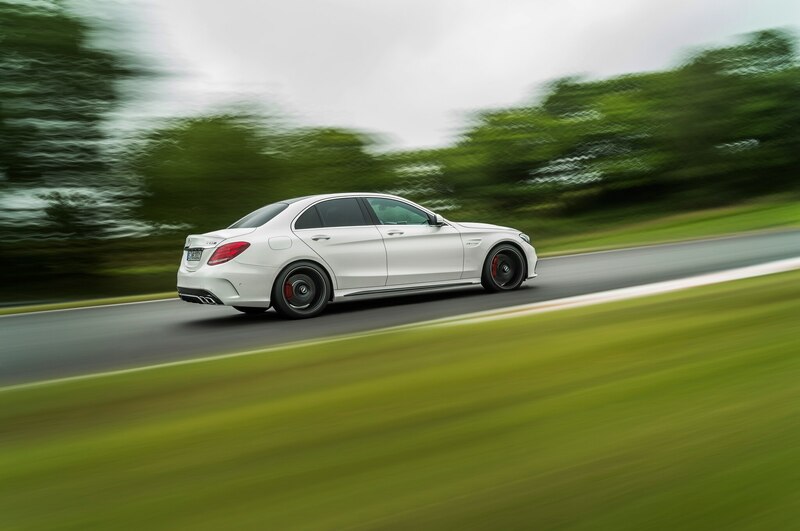 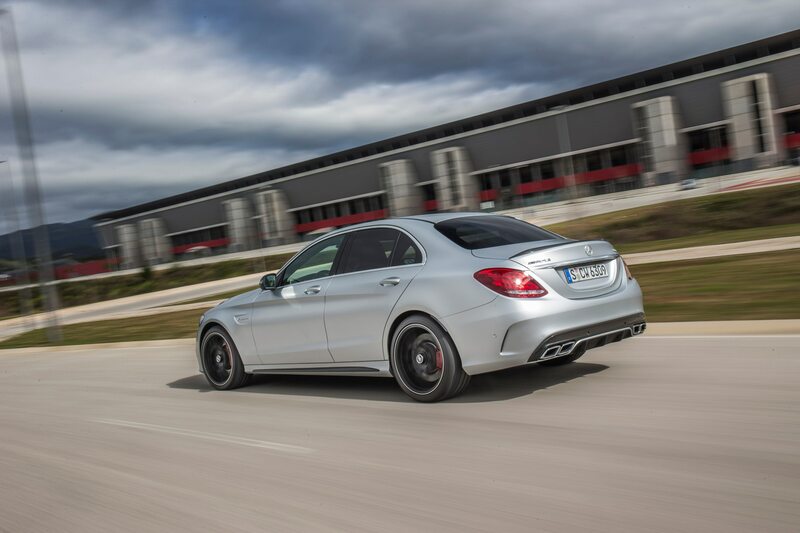 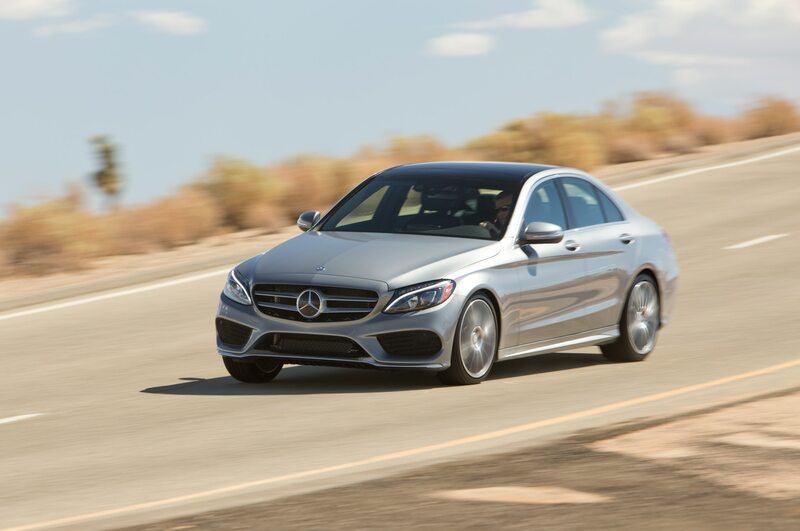 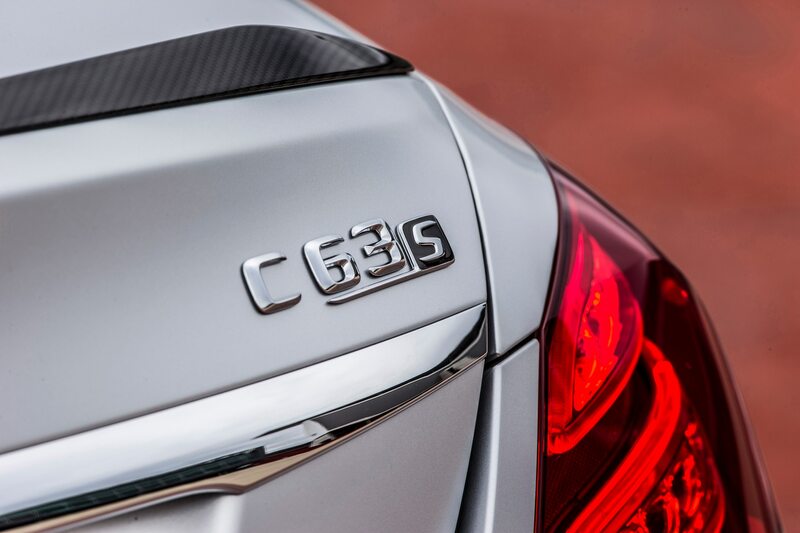 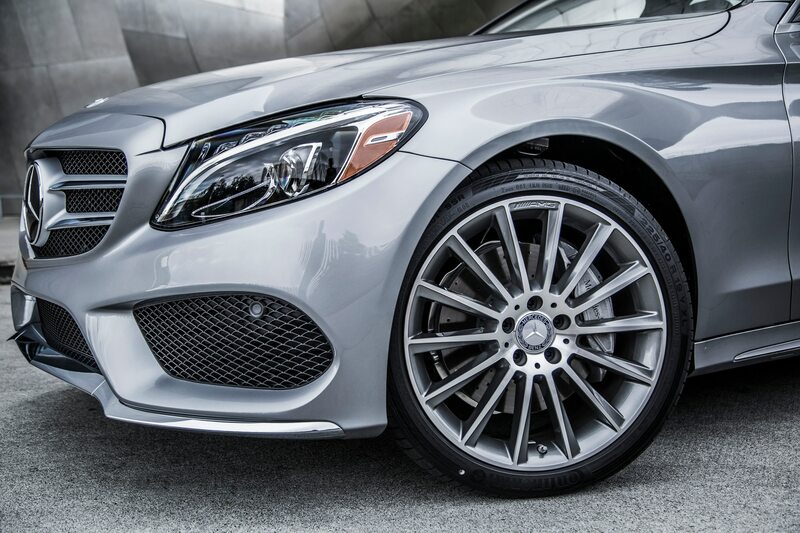 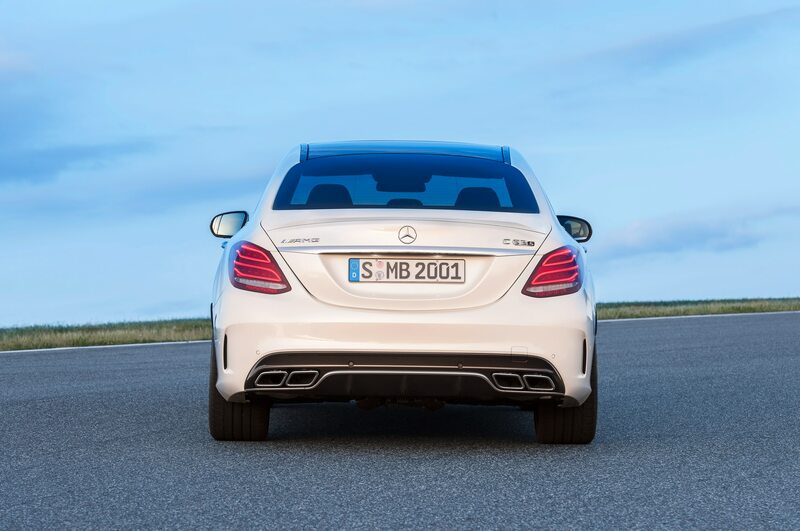 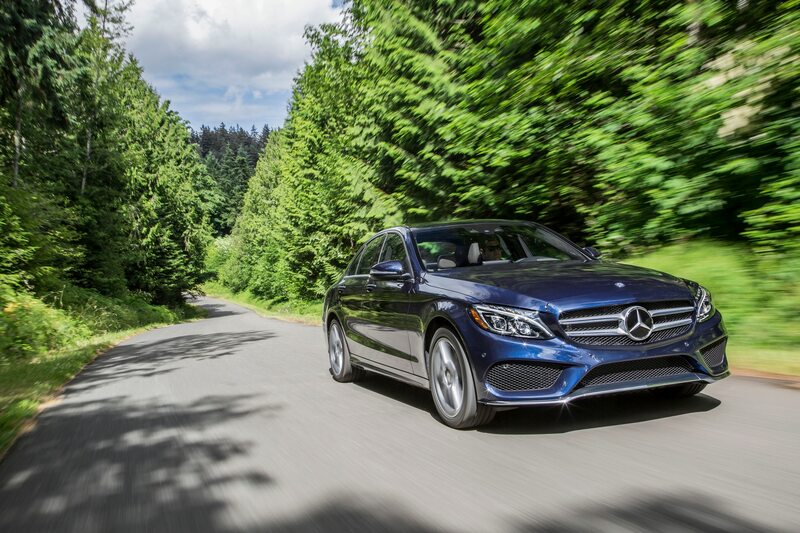 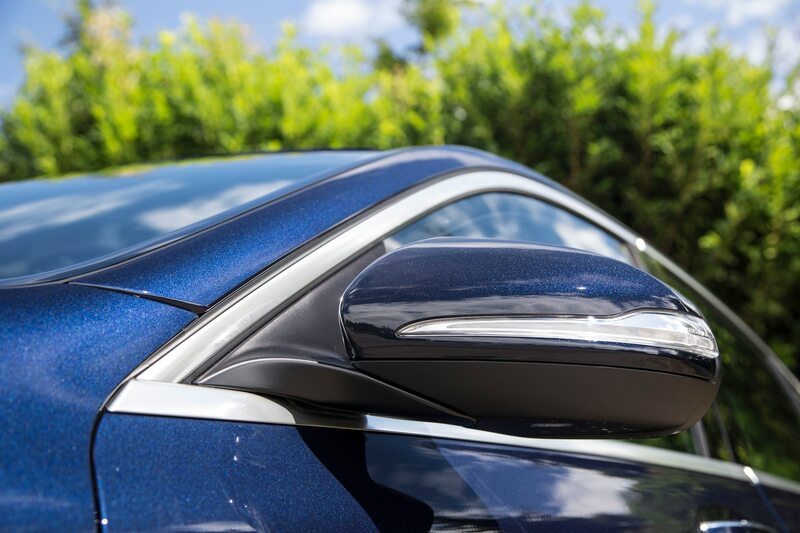 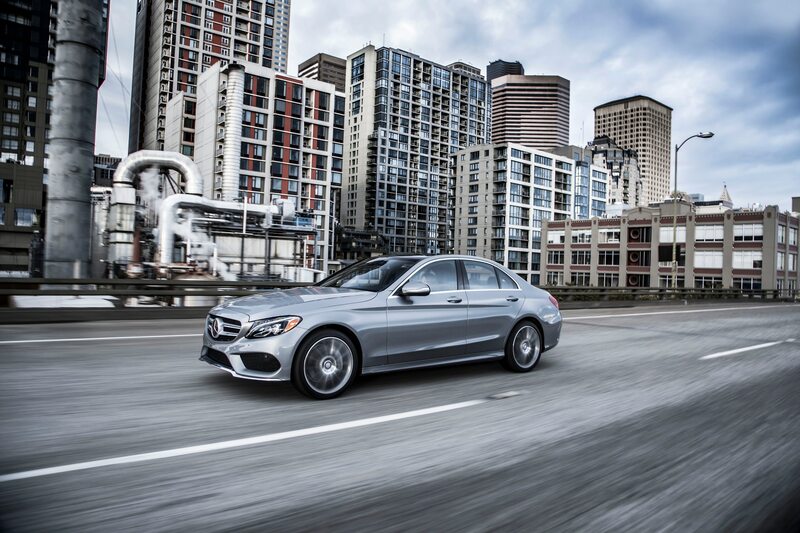 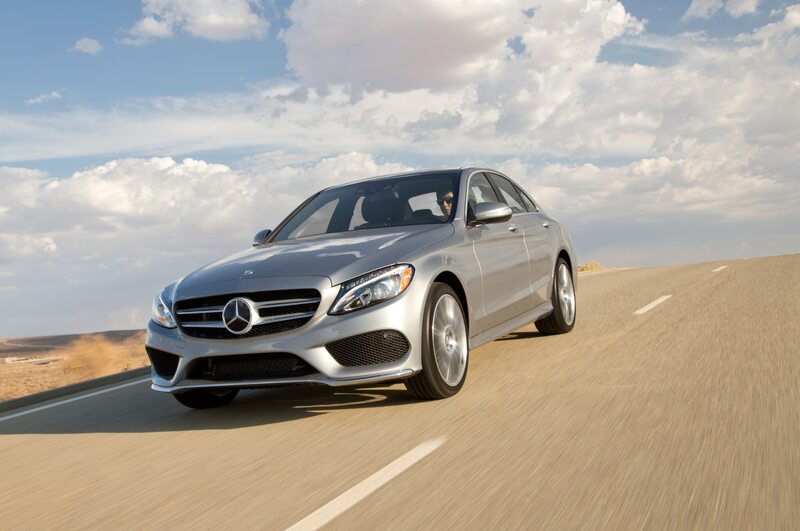 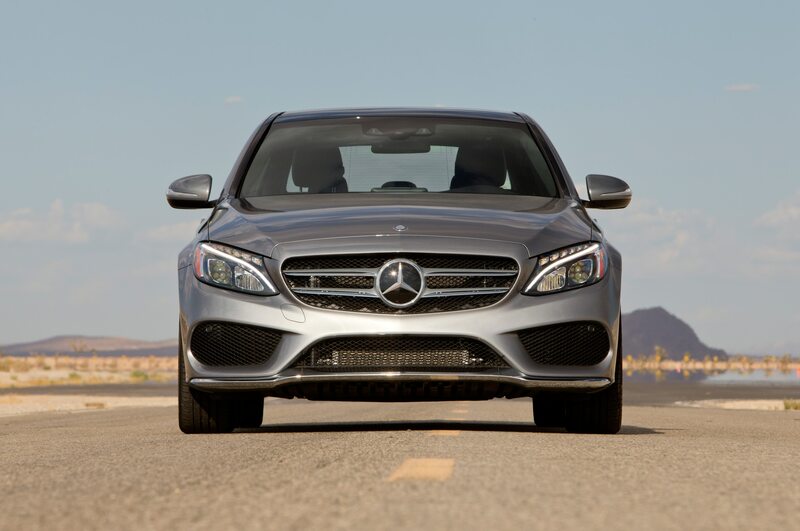 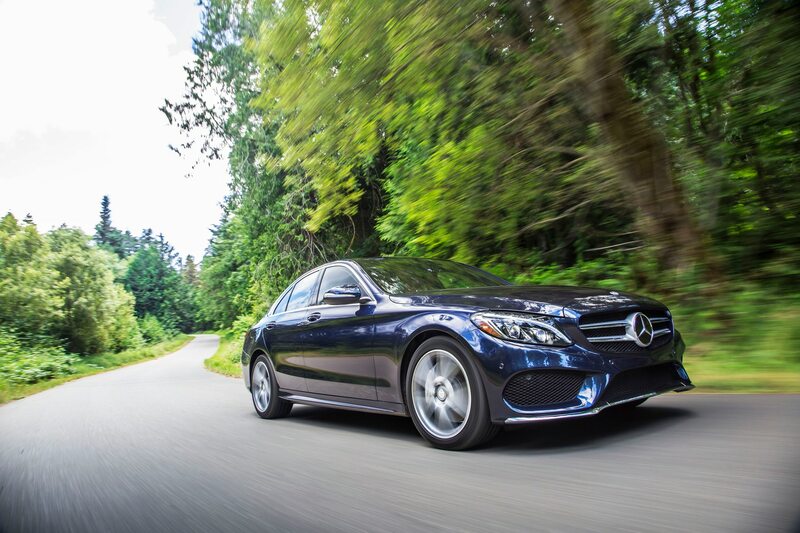 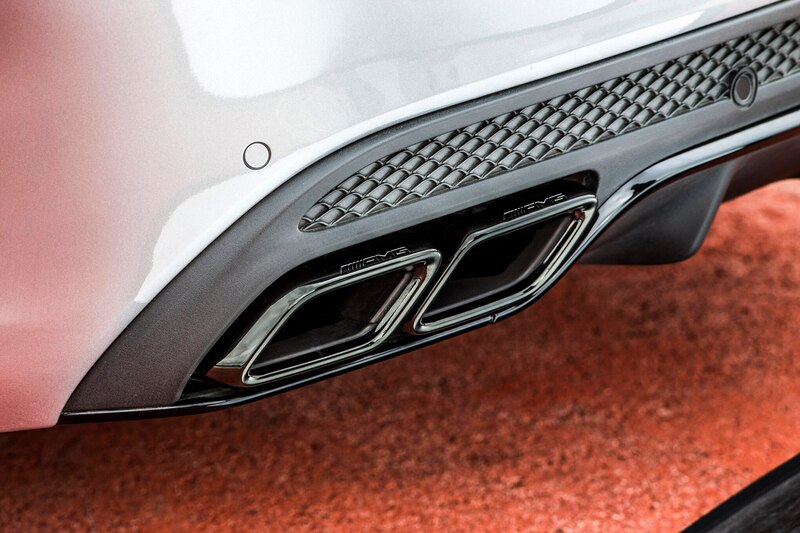 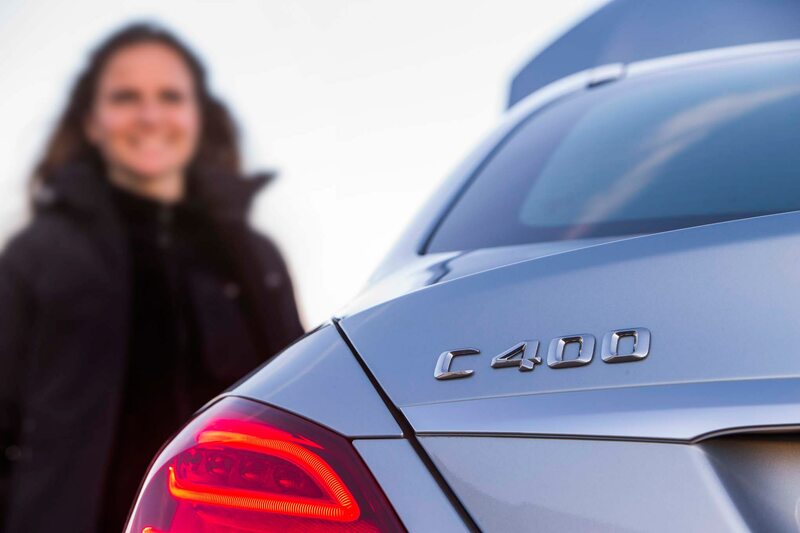 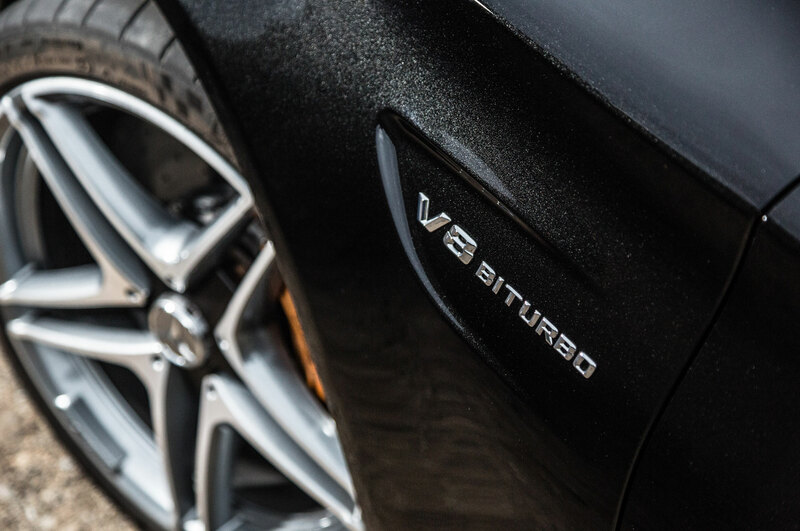 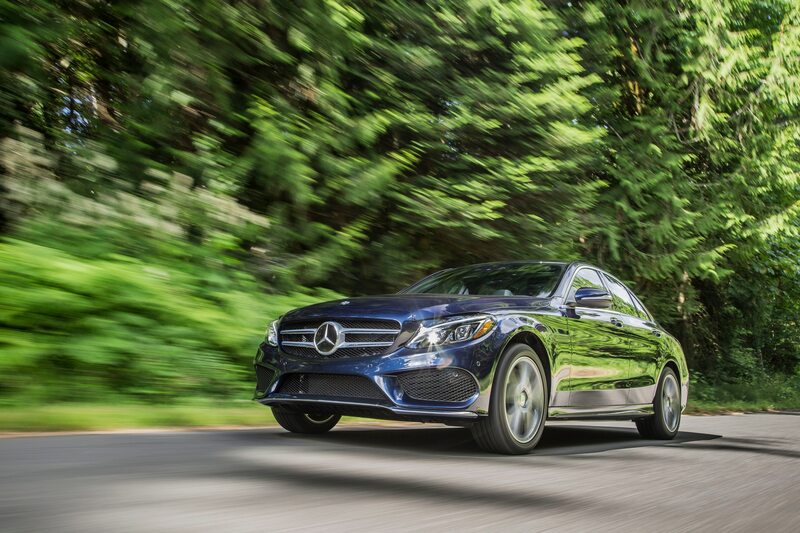 Upgrade to the higher “S” trim, and the same 4.0-liter spits out 503 hp and 516 lb-ft of torque. 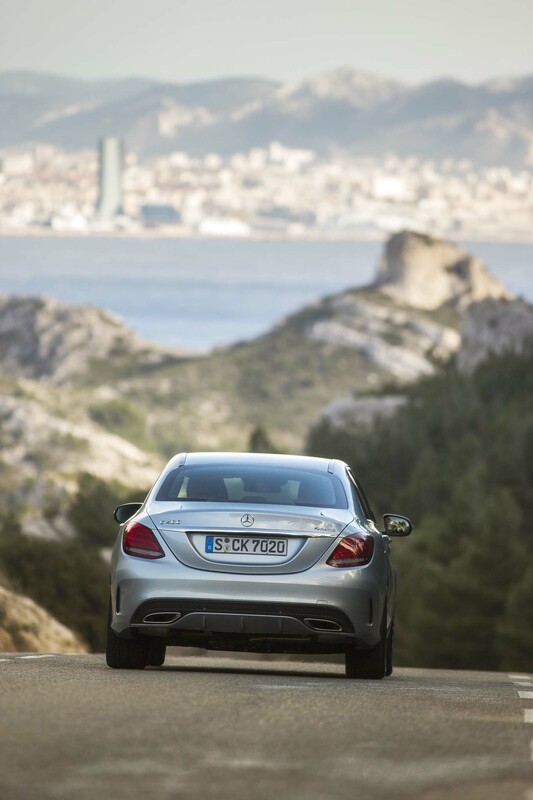 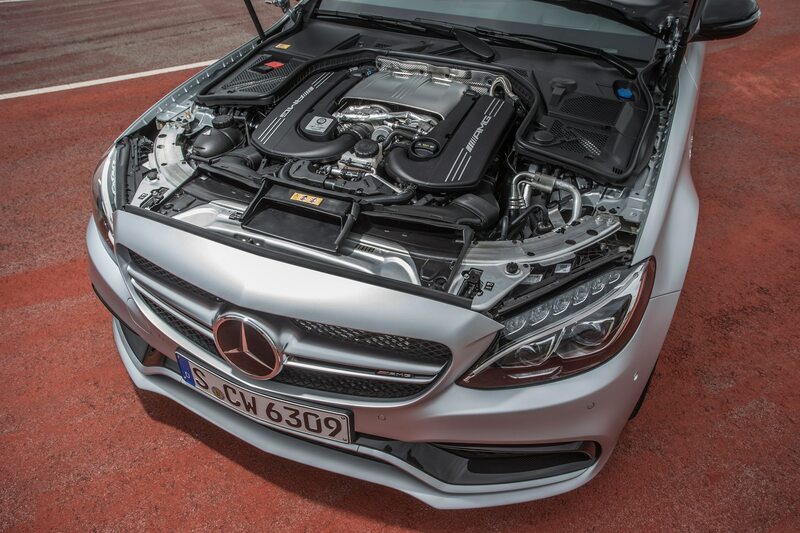 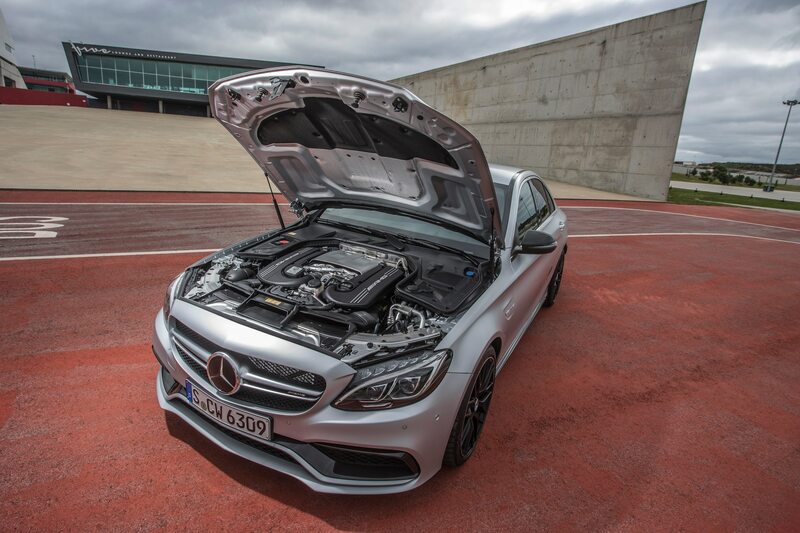 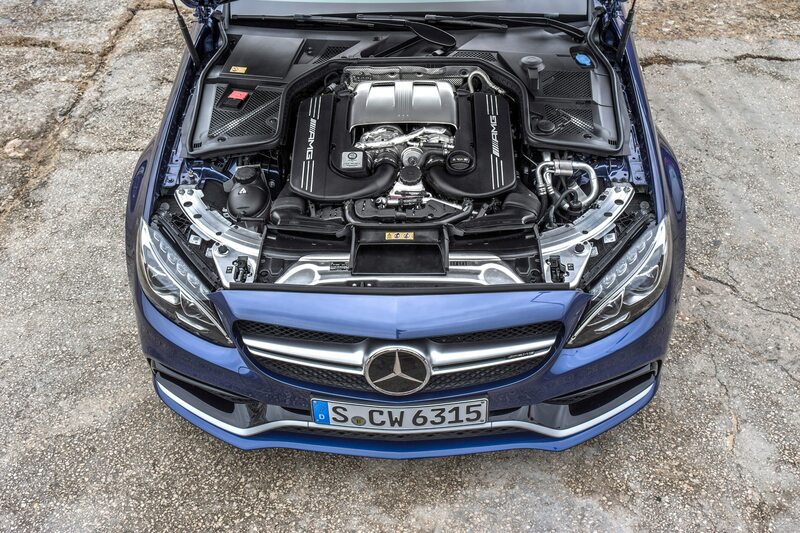 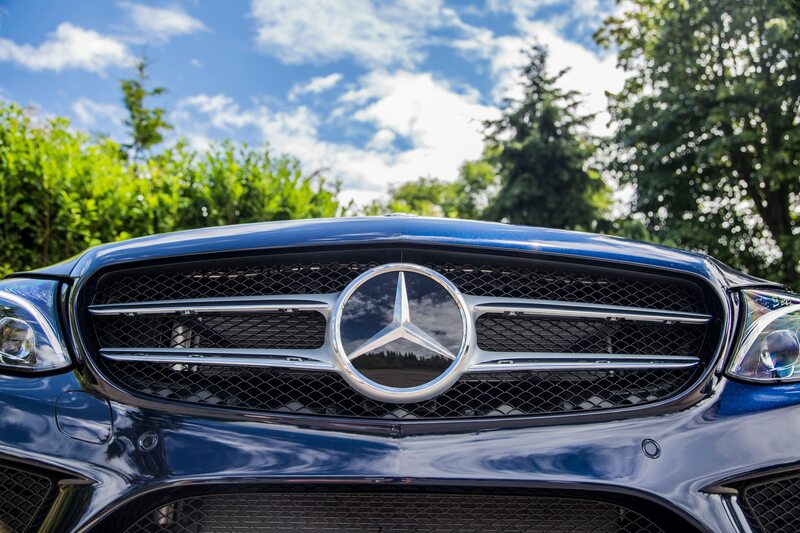 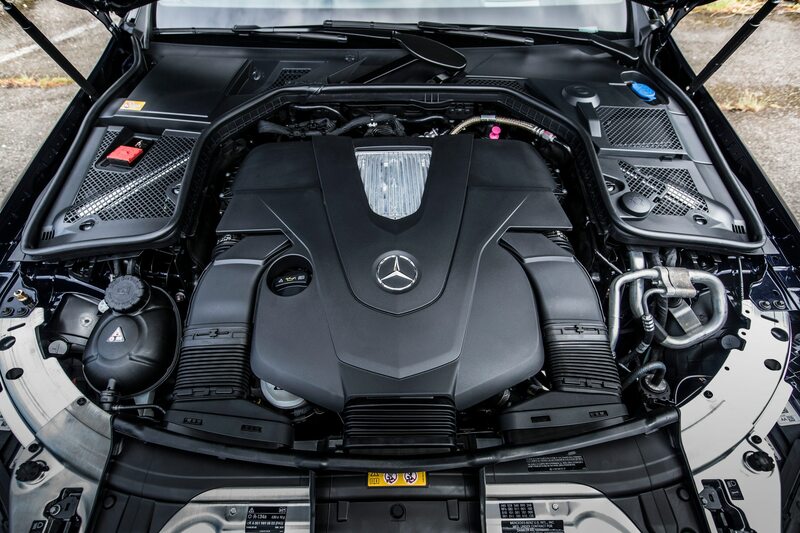 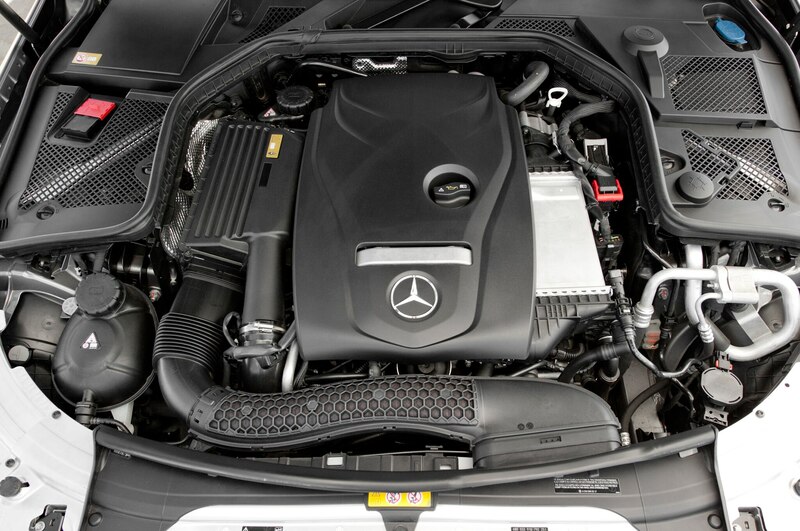 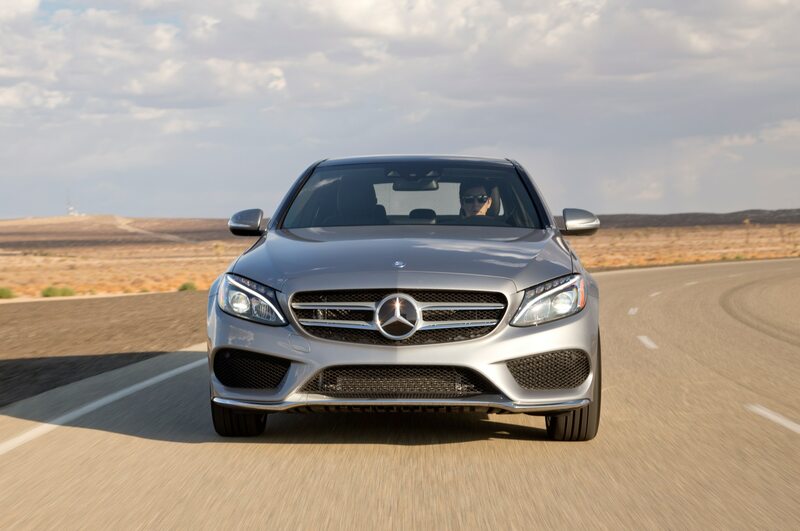 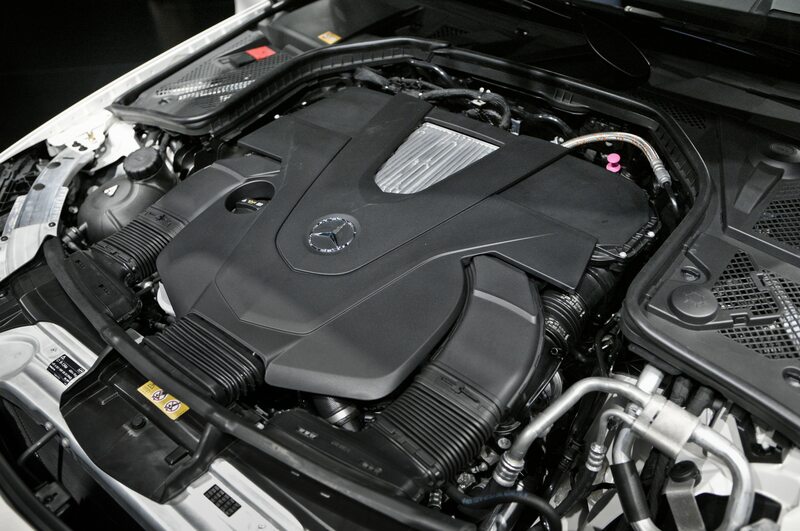 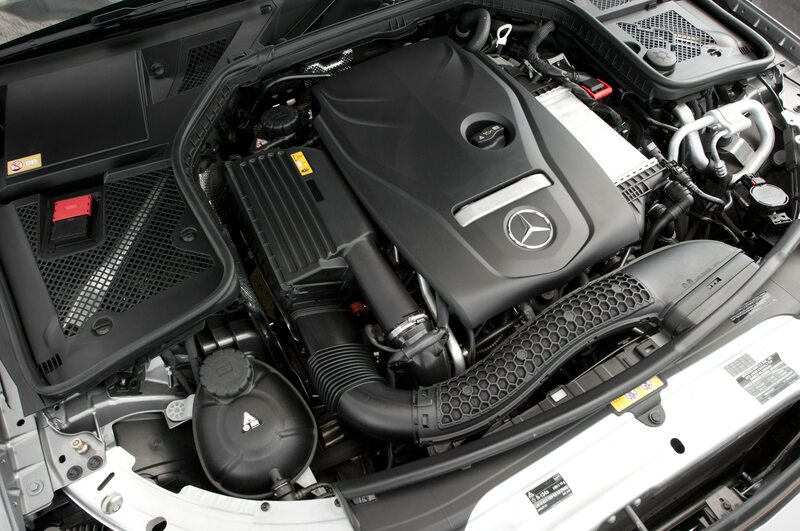 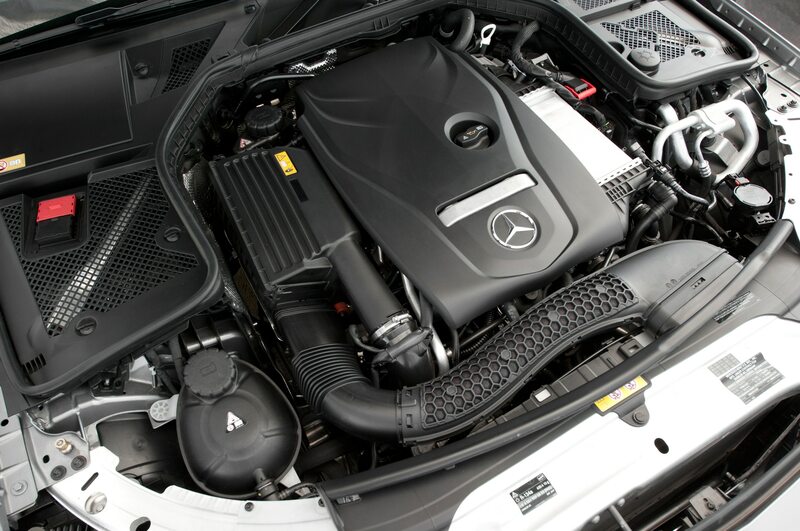 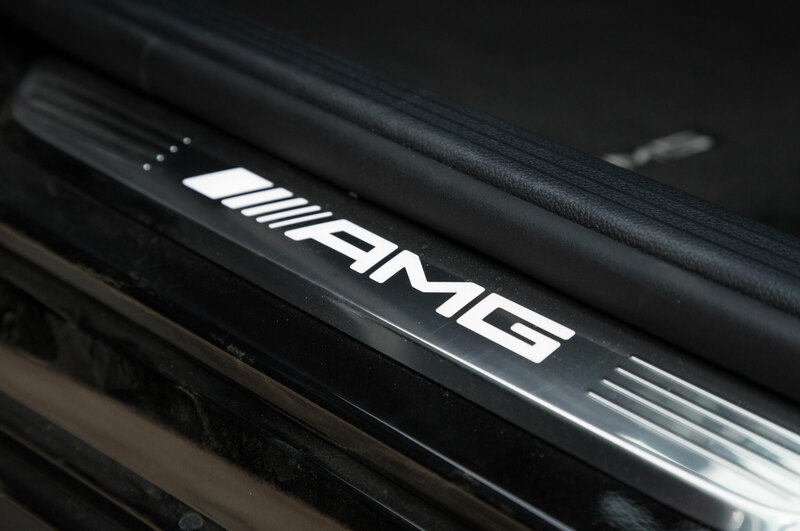 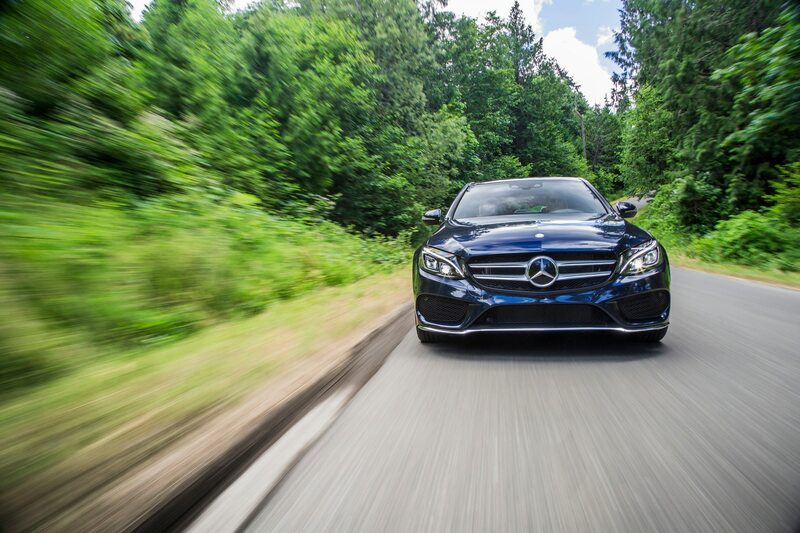 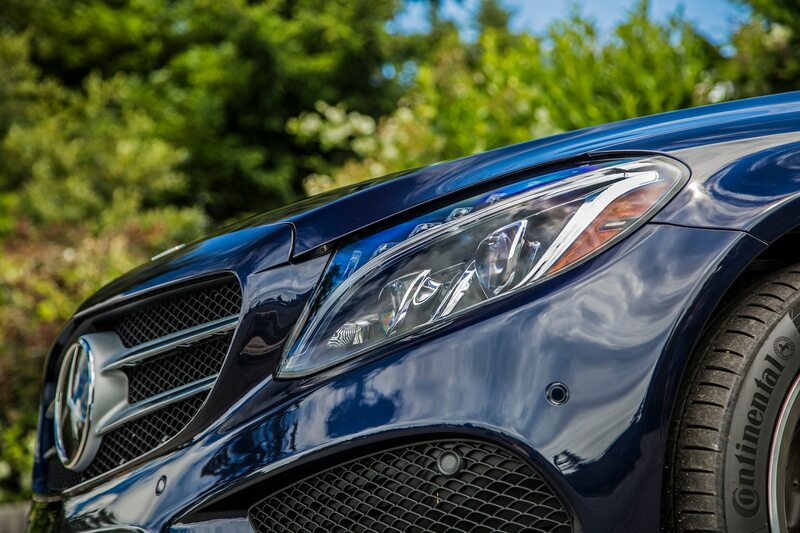 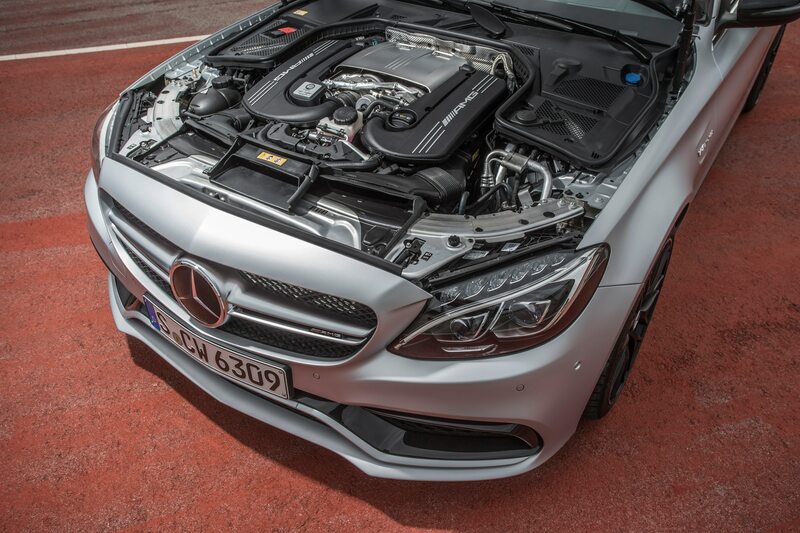 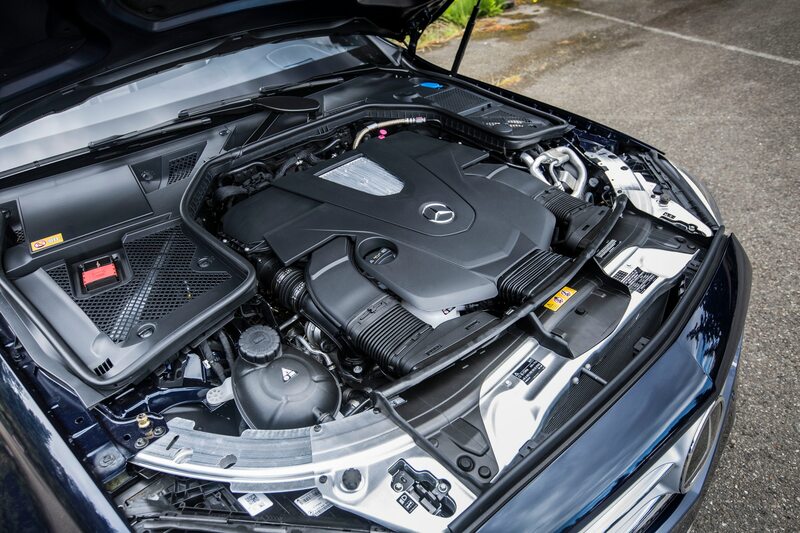 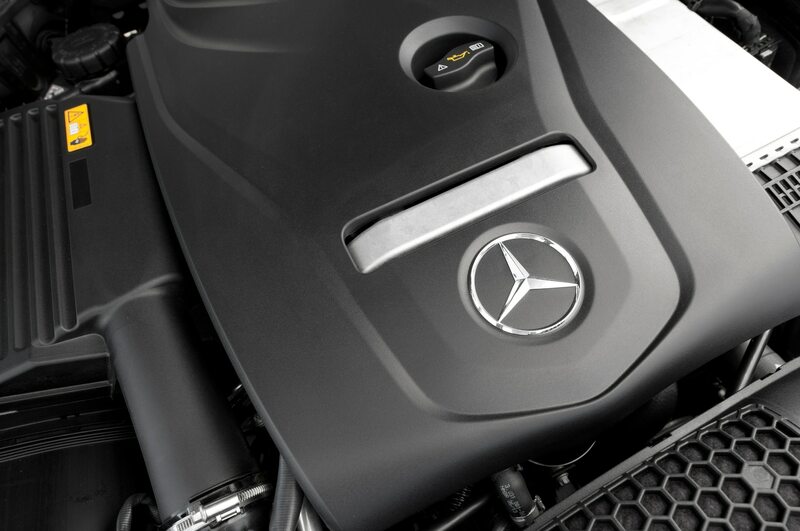 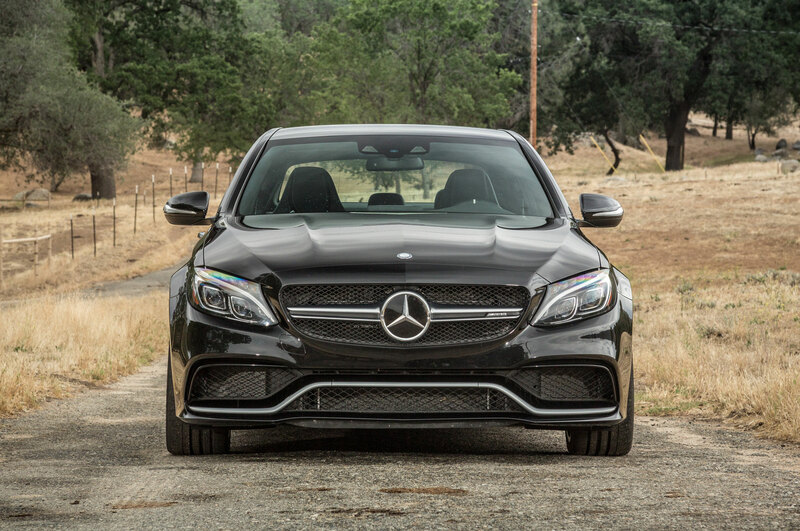 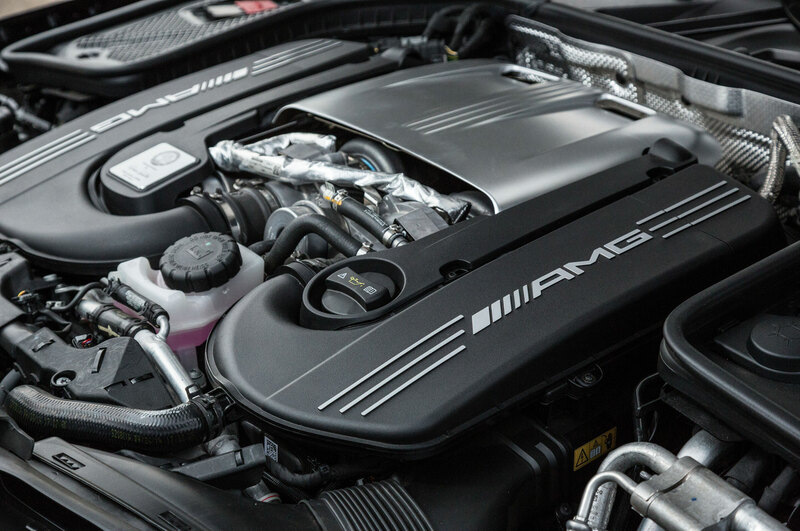 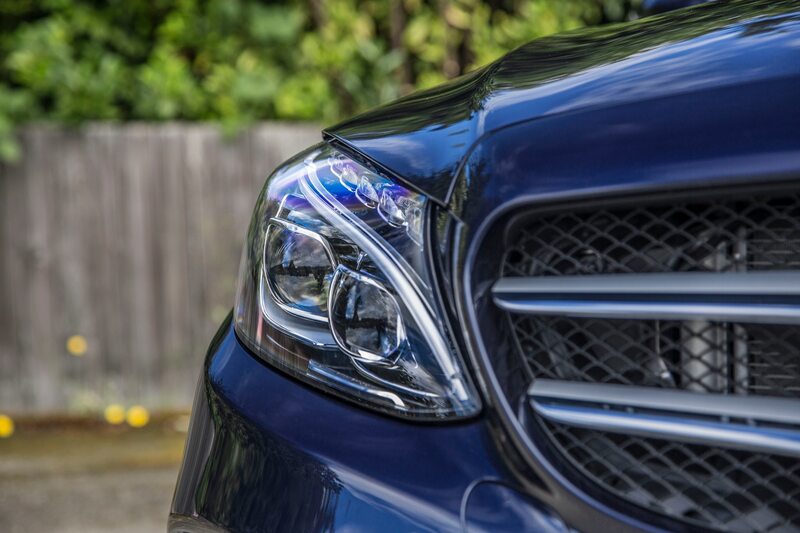 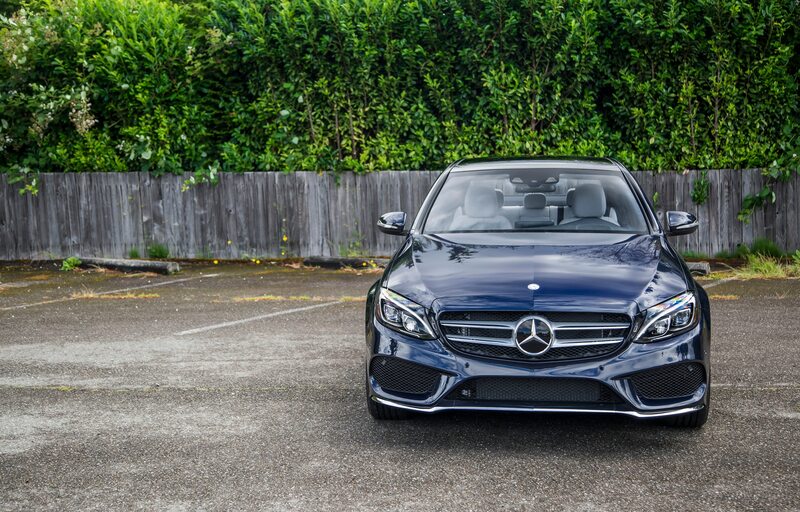 This engine is shared with both the four-door C63 and the Mercedes-AMG GT sports car. 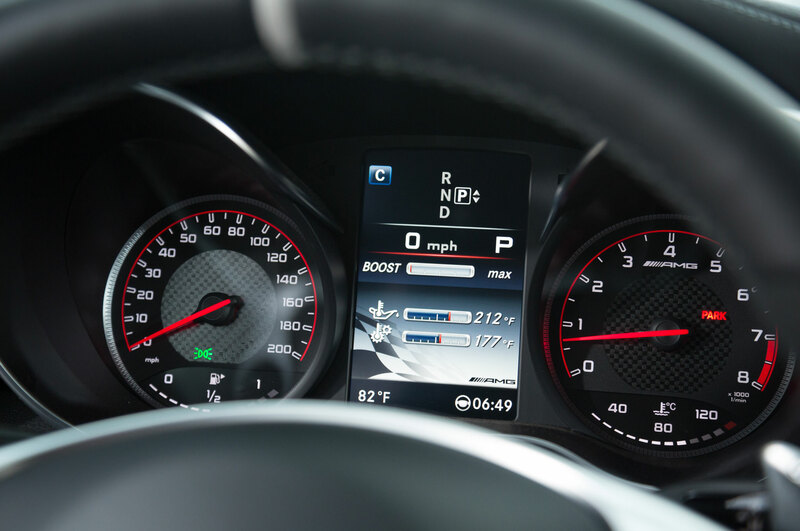 Want to hear all of this horsepower in action? 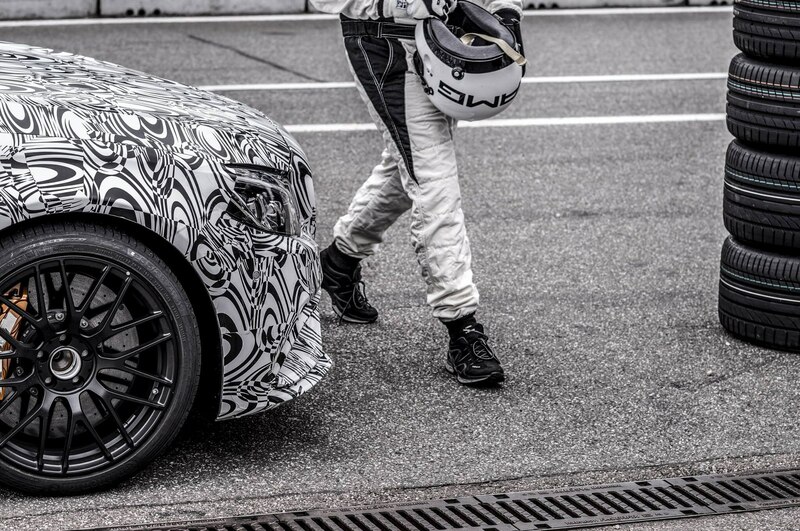 Take a listen to an earlier teaser video here. 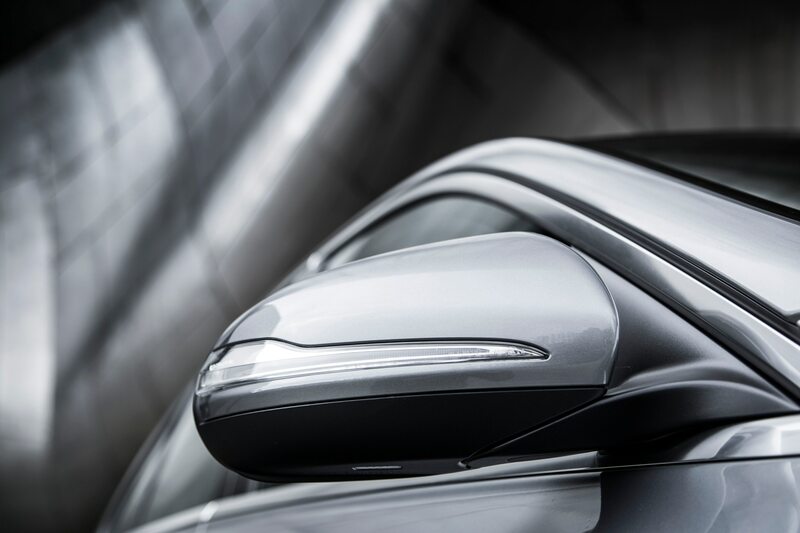 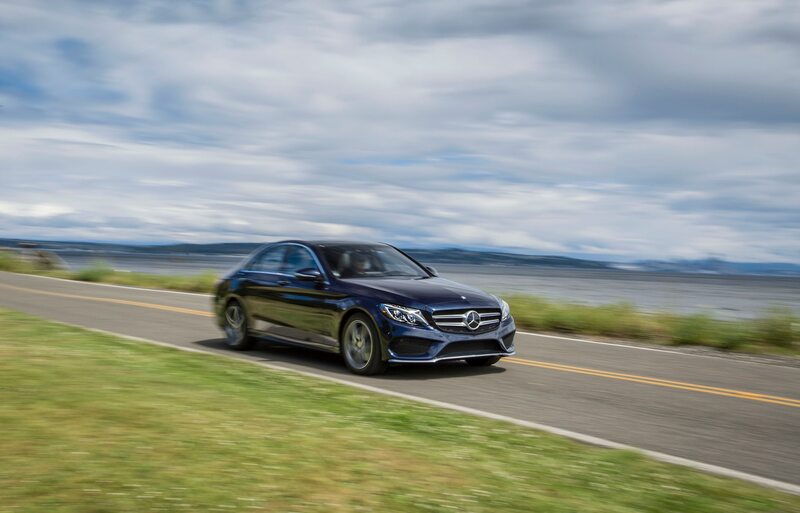 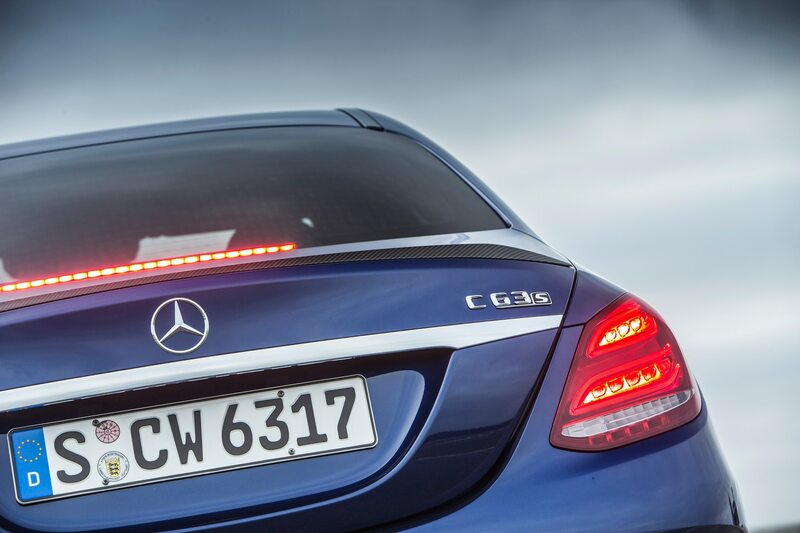 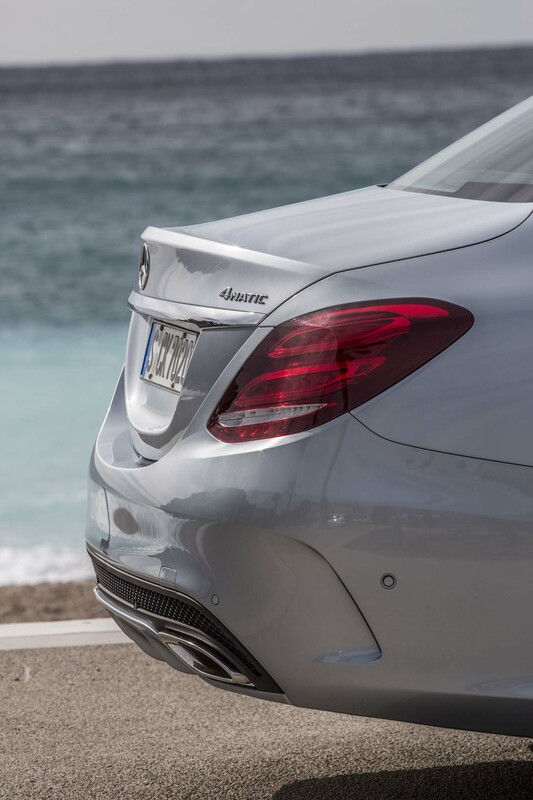 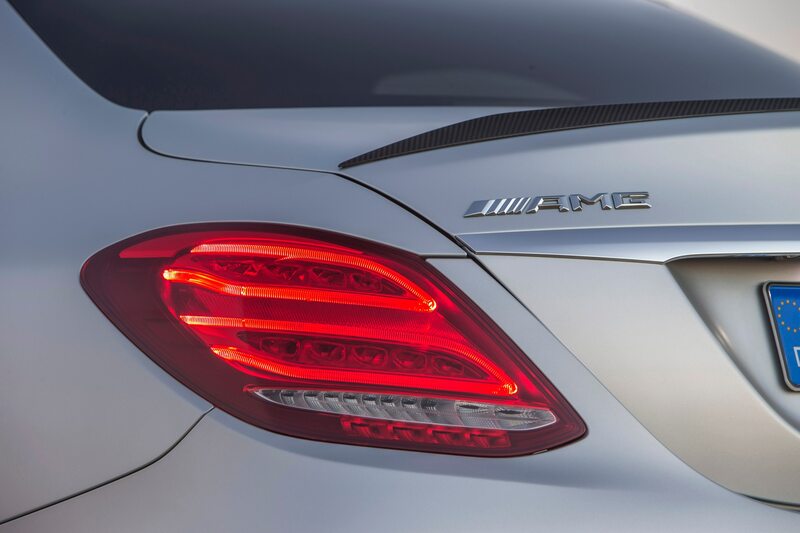 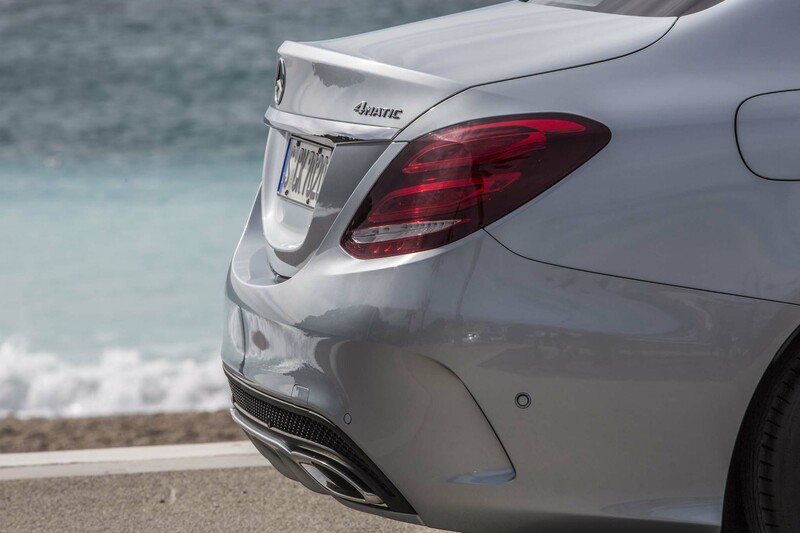 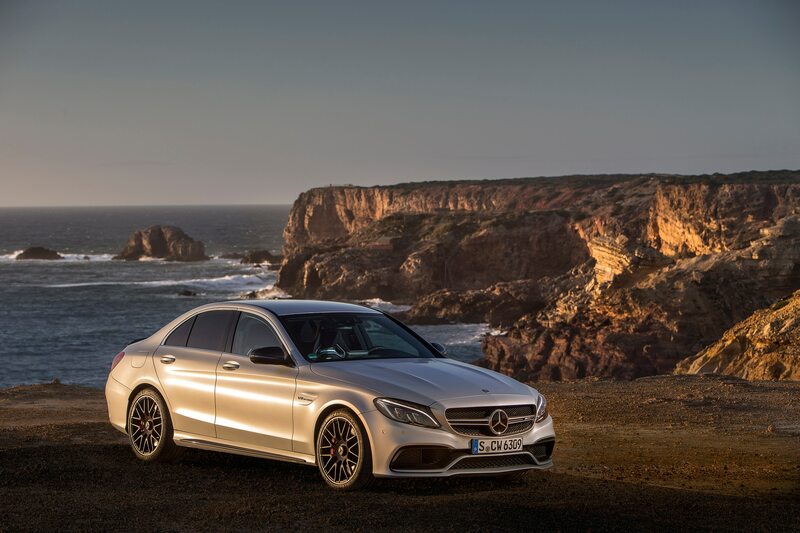 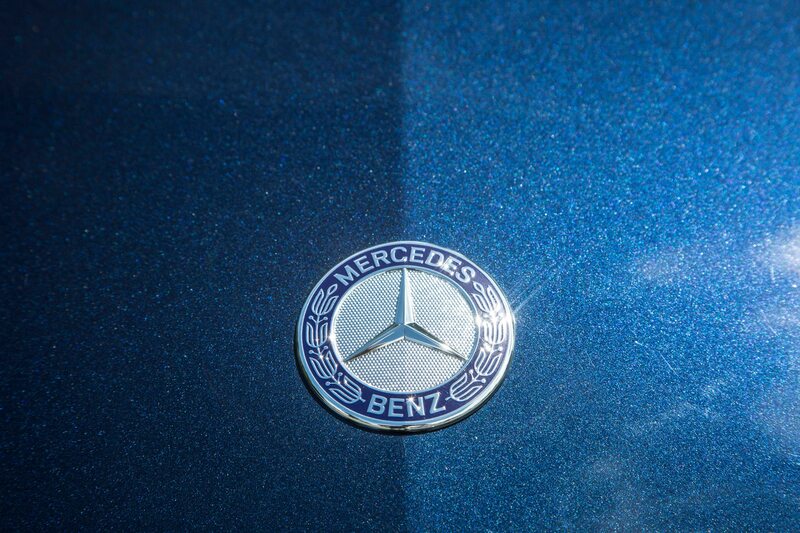 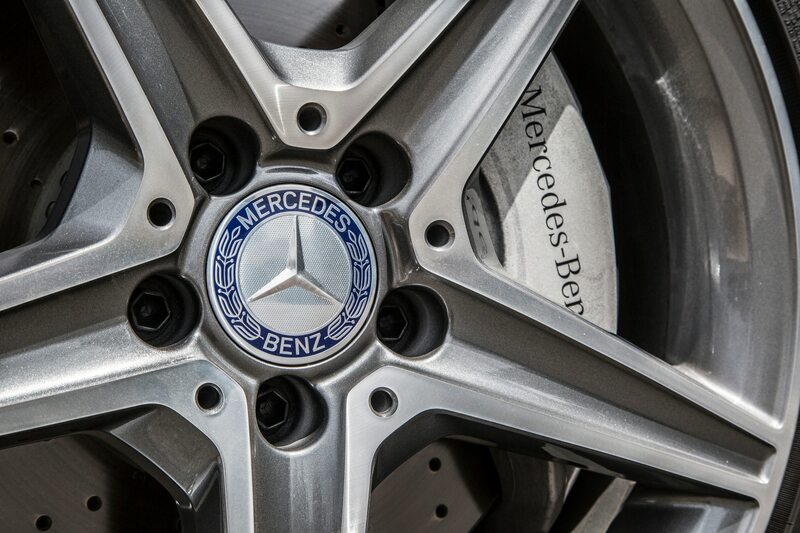 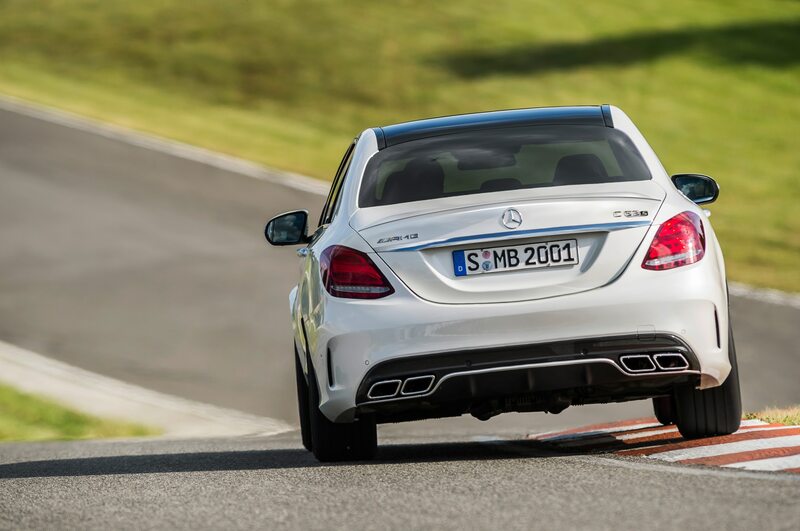 While there are no official specs or information on the coupe yet, expect the Mercedes-AMG C63 Coupe to bow its head — without camouflage — at the 2015 Frankfurt auto show in September. 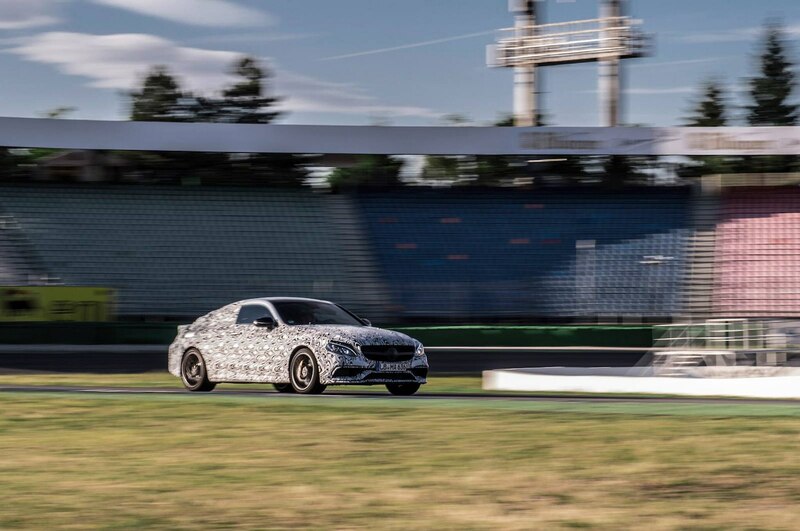 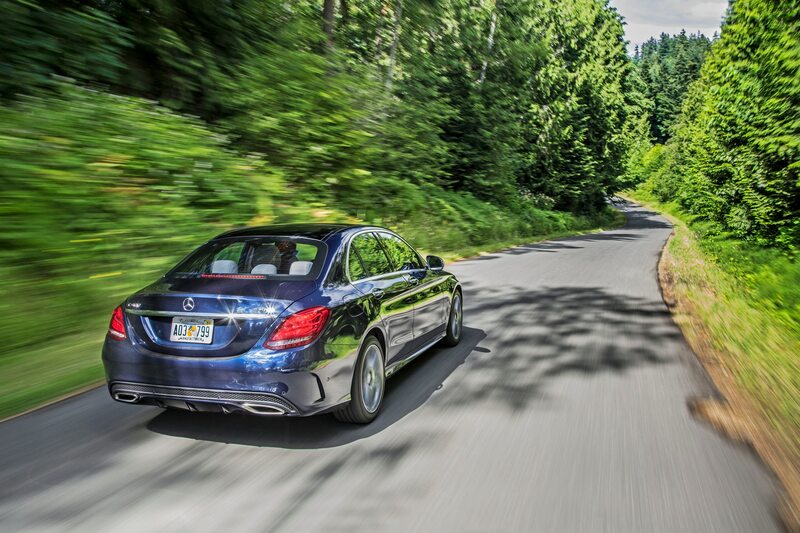 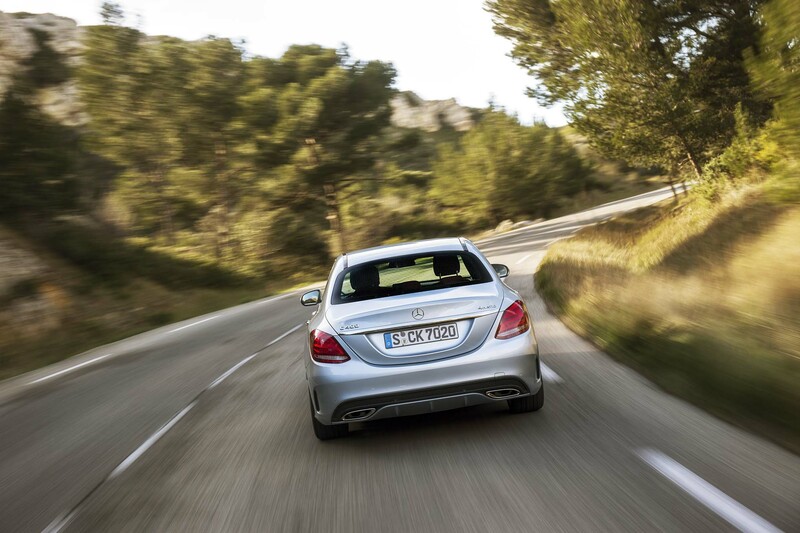 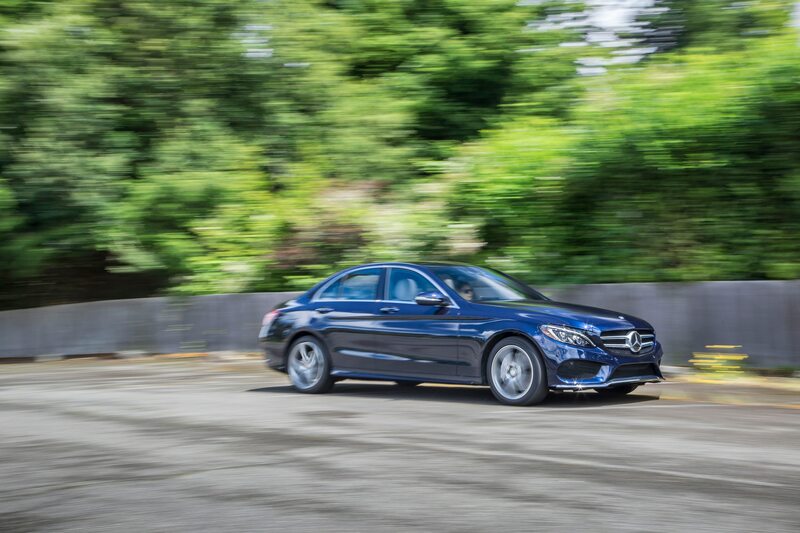 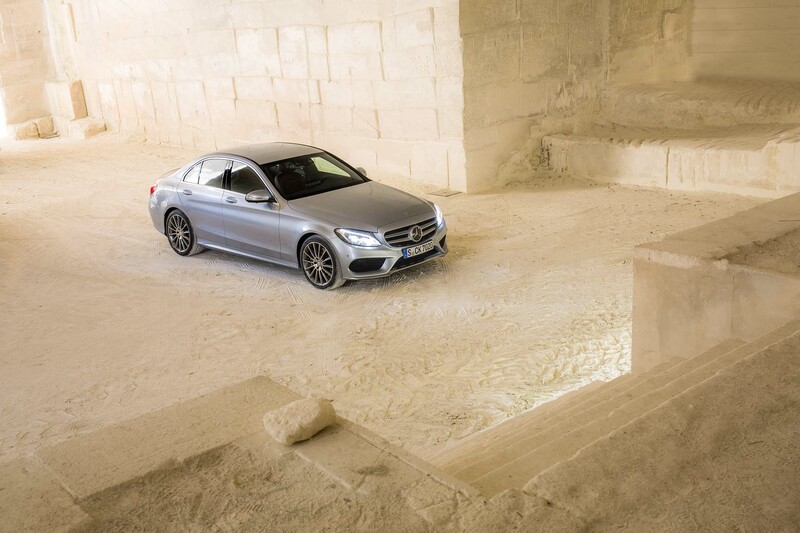 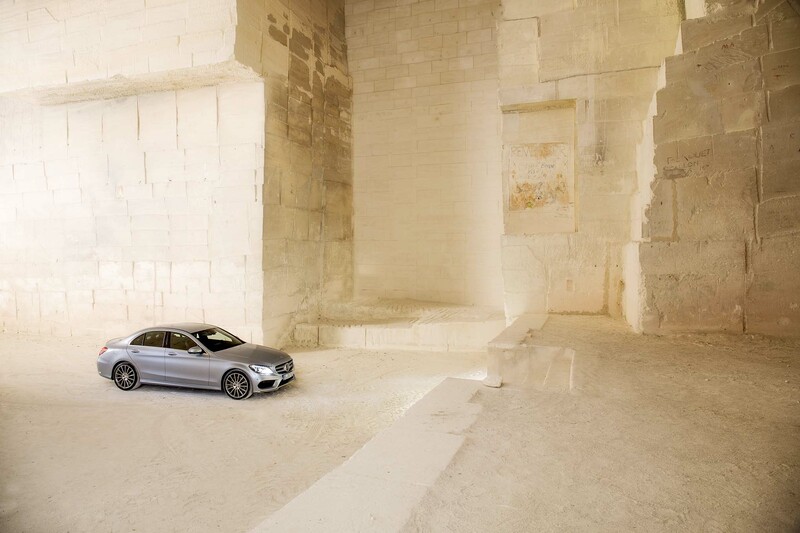 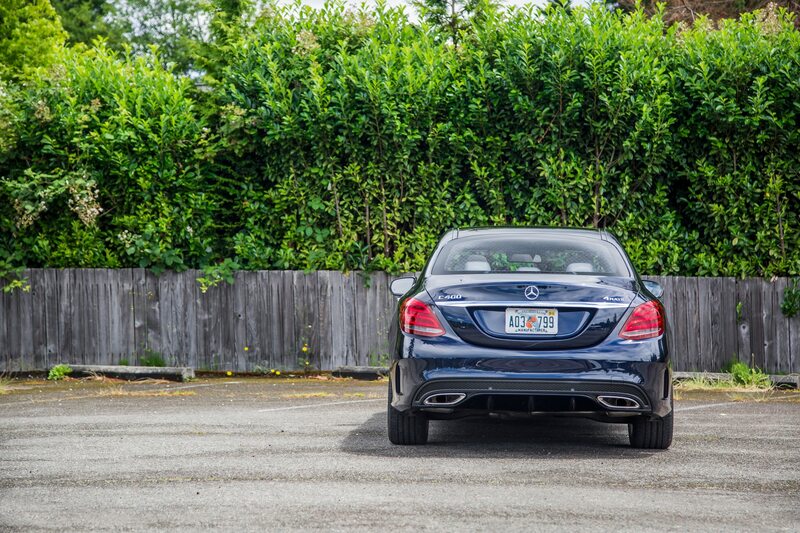 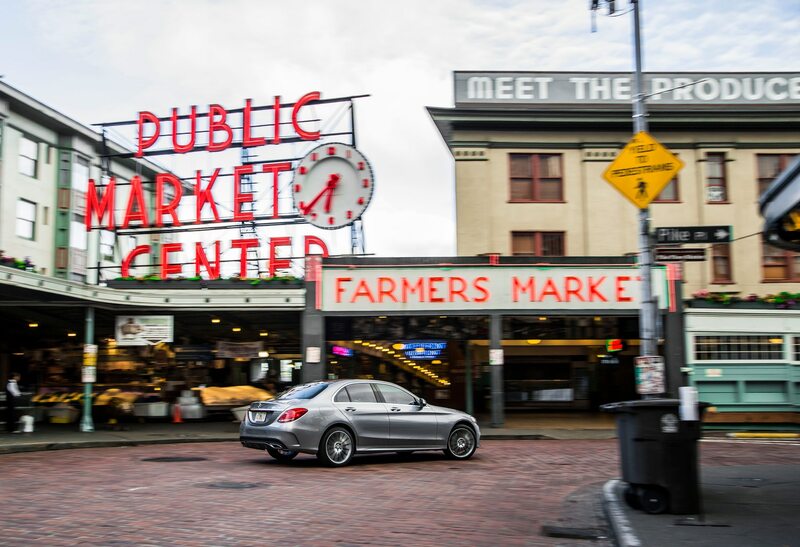 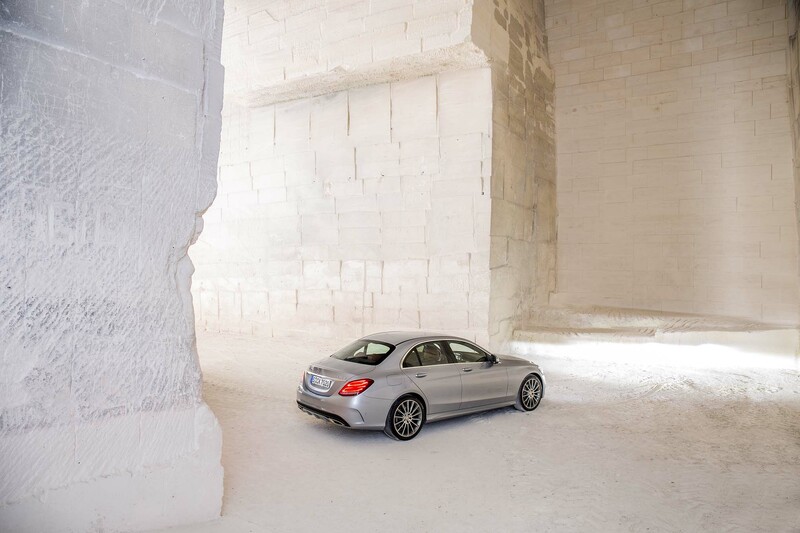 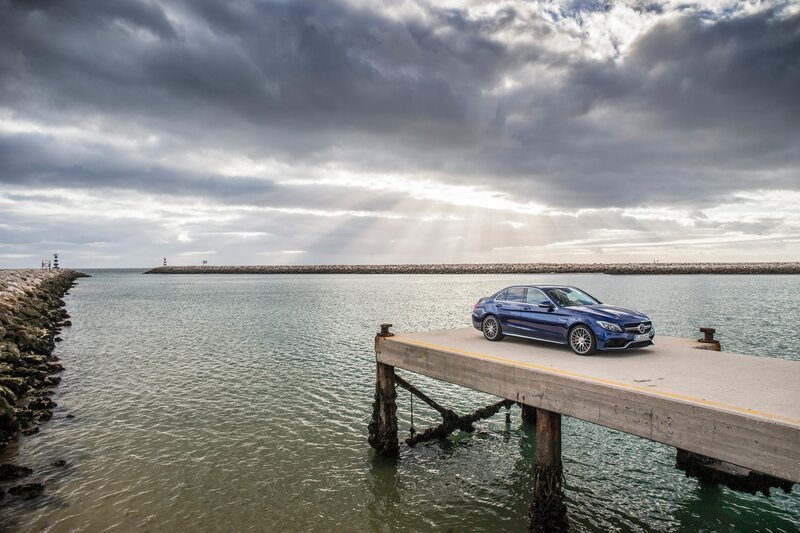 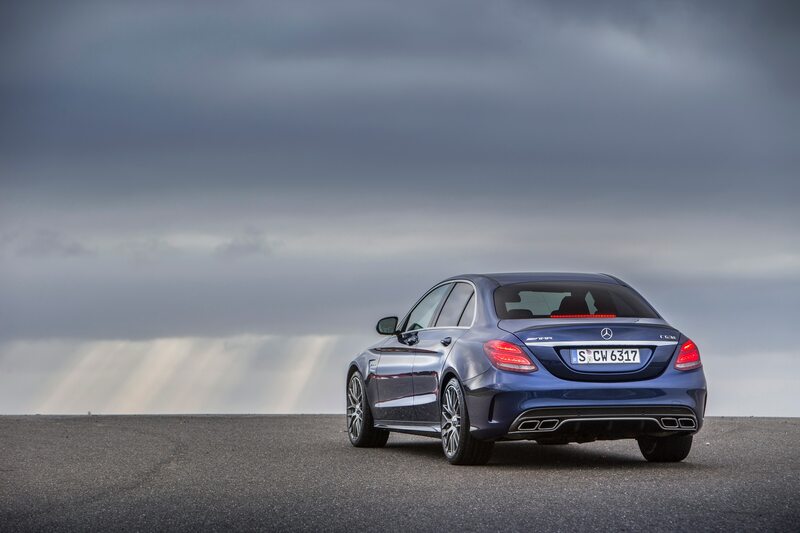 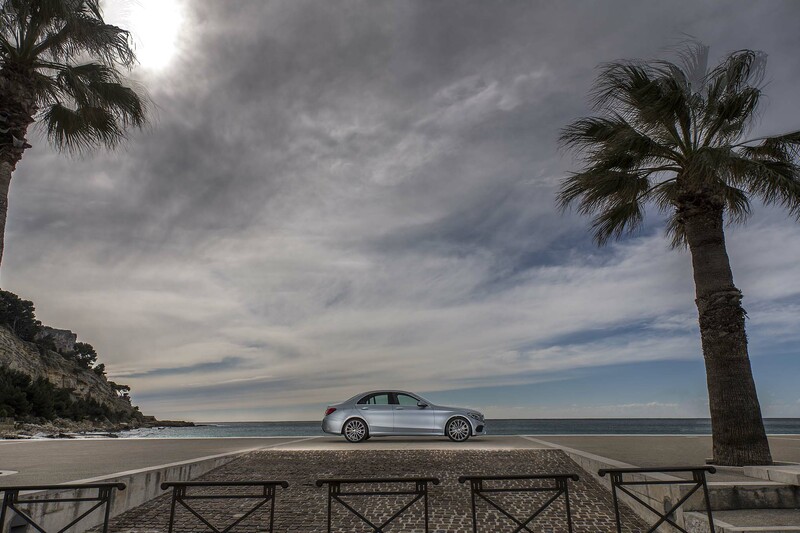 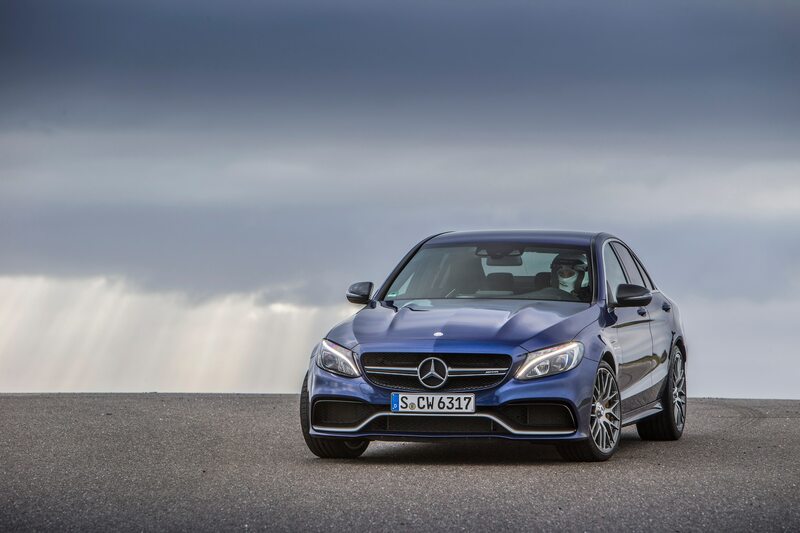 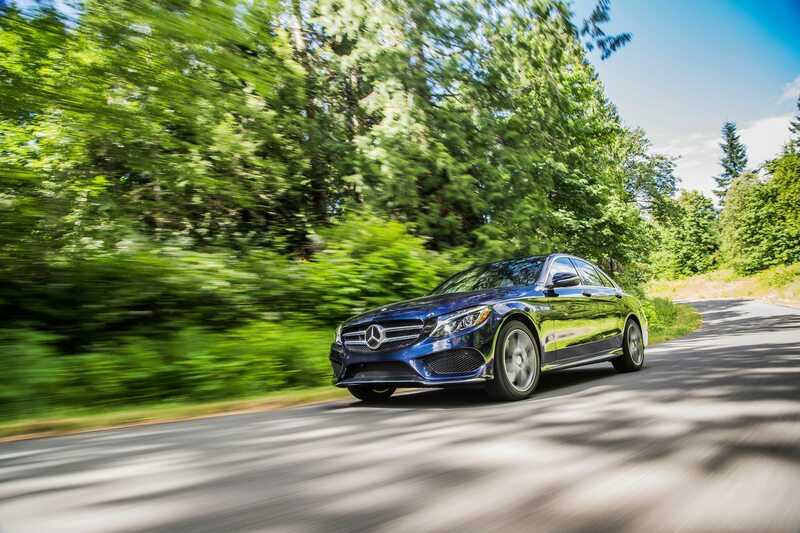 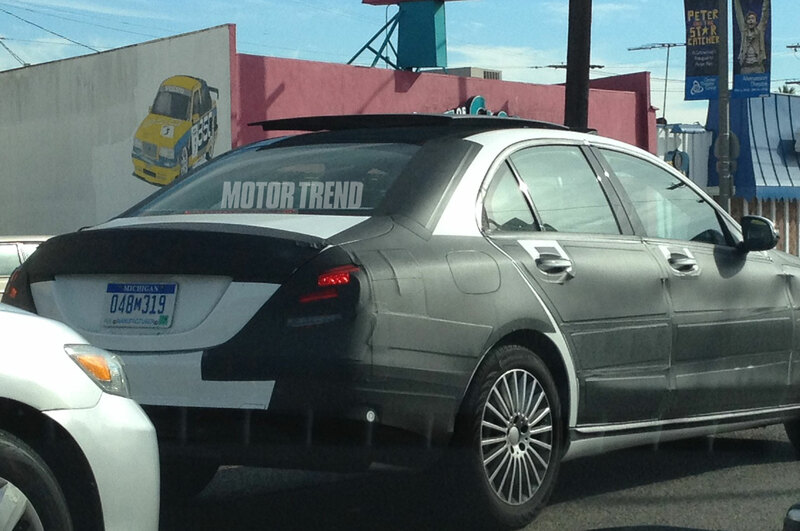 In the meantime, check out these camouflaged photos for our closest look yet at the C63 Coupe.